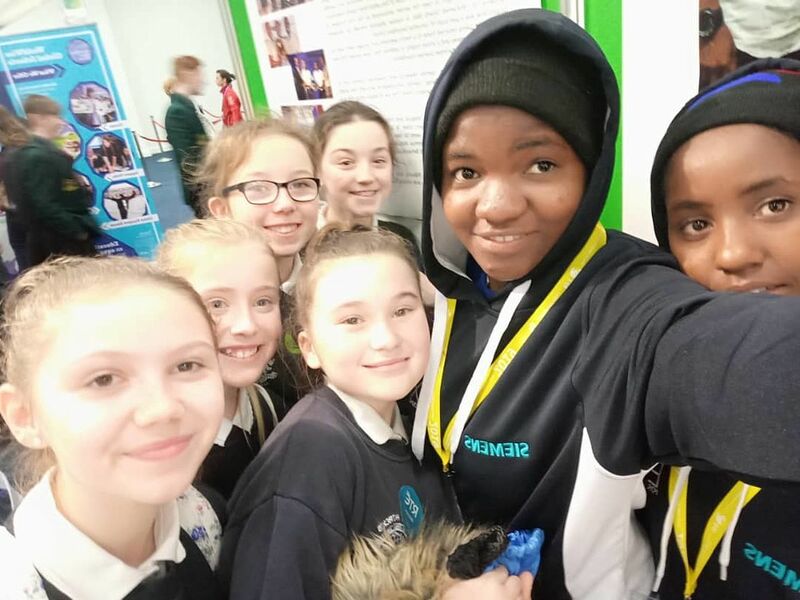 At BT YSTE in Dublin, Ireland on 10th January 2018. 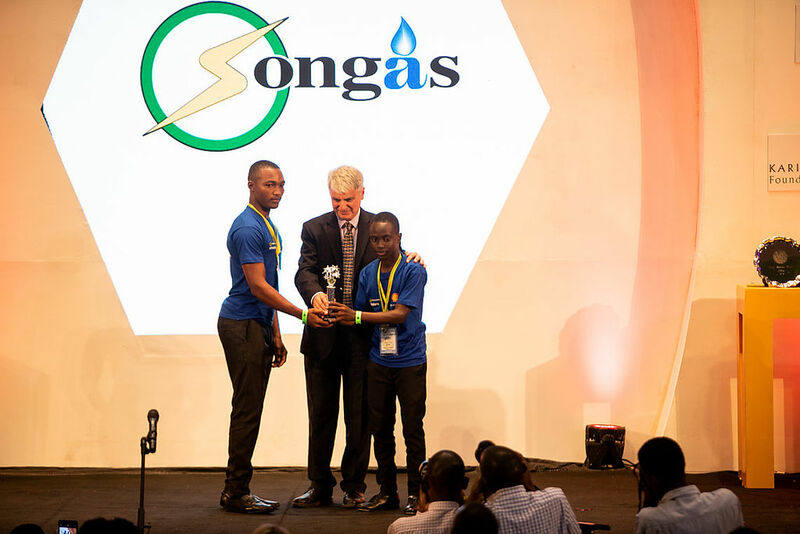 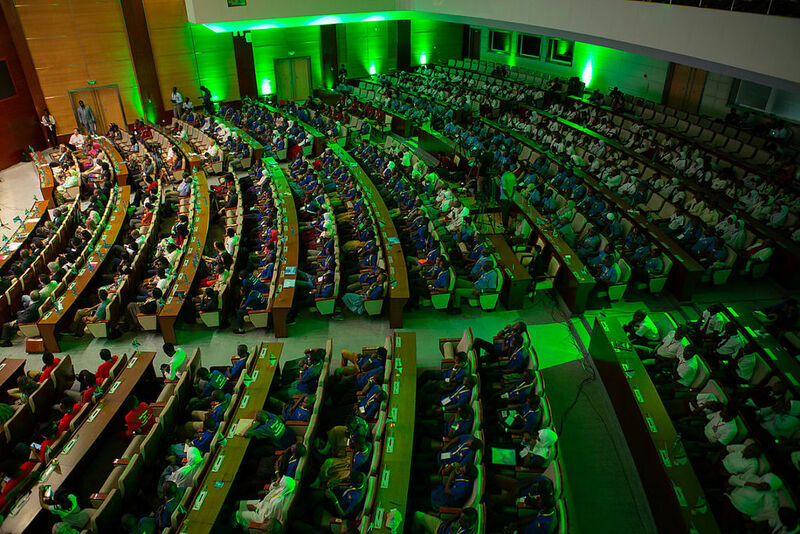 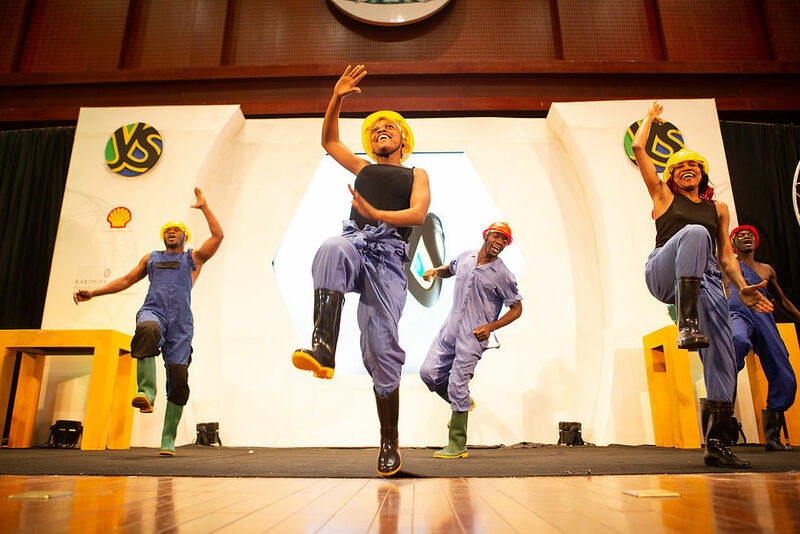 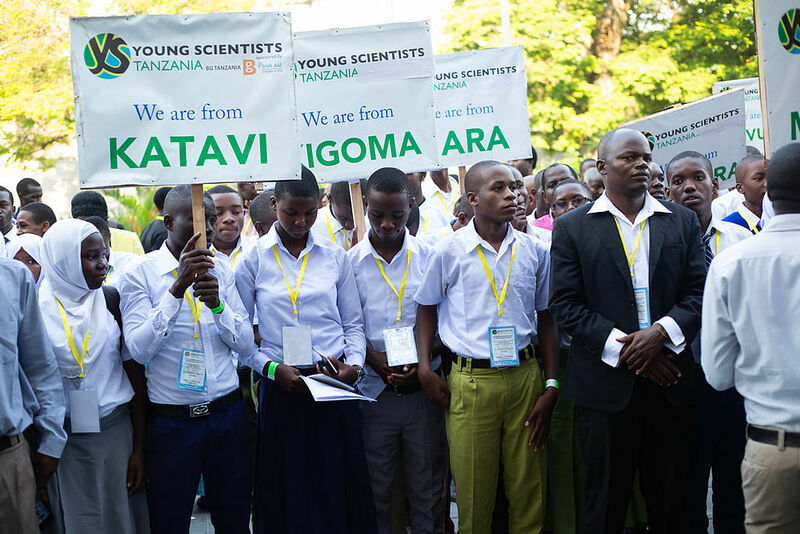 What is Young Scientists Tanzania? 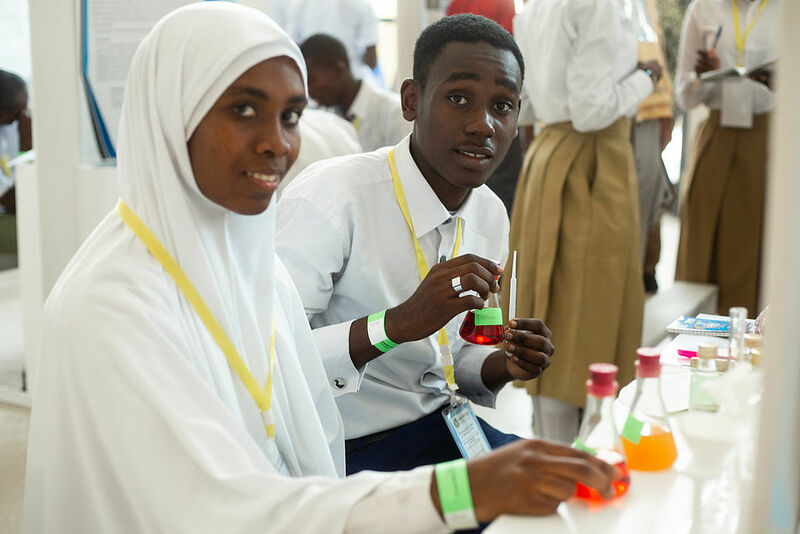 Young Scientists Tanzania is a unique and innovative programme in Africa, delivering two integrated and complimentary events in the Tanzanian secondary school academic year. 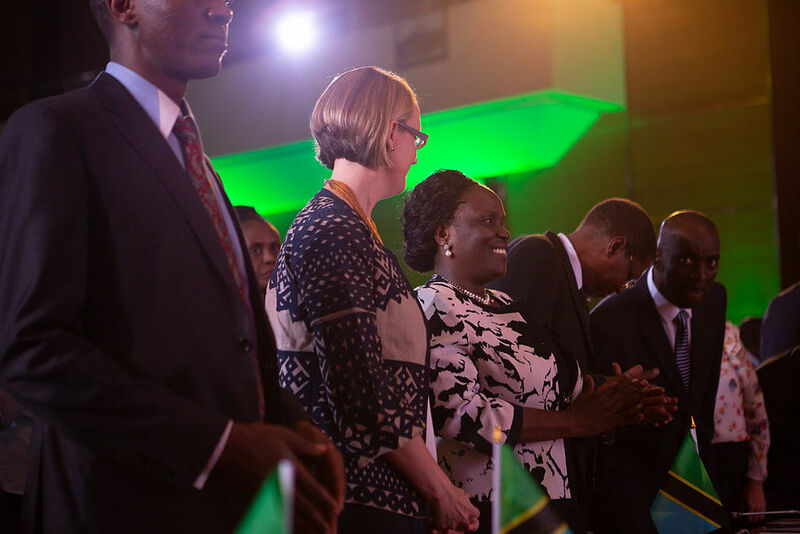 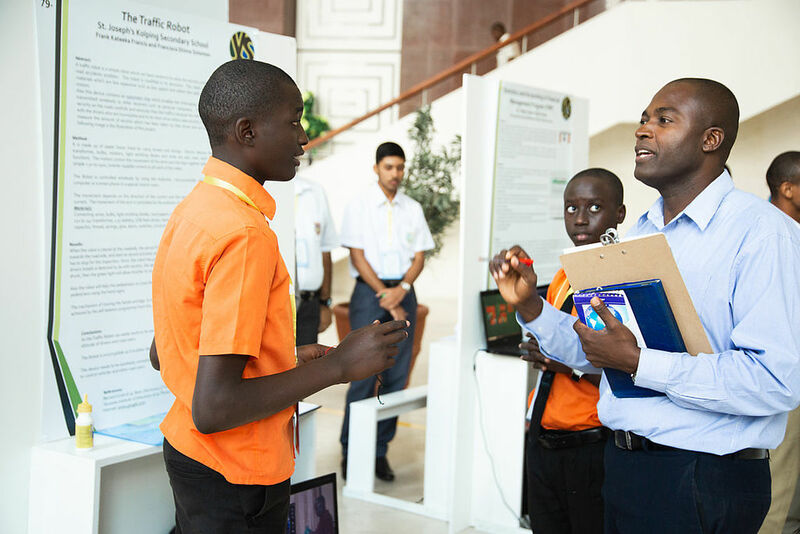 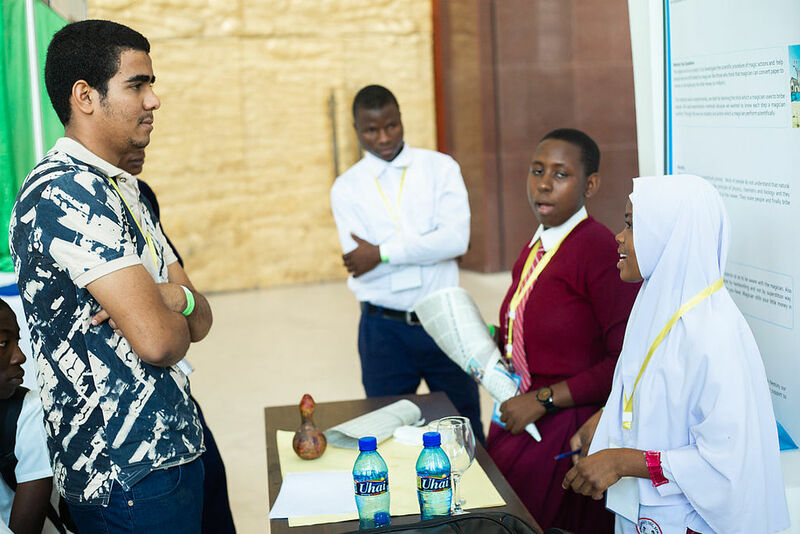 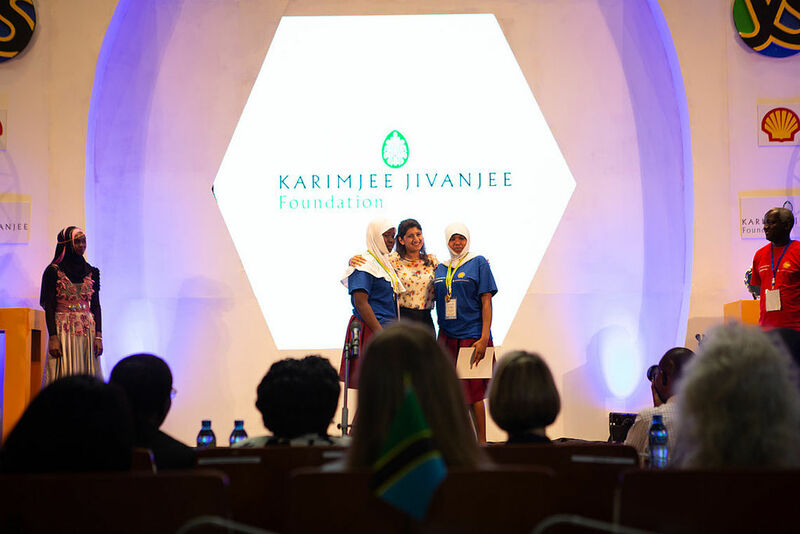 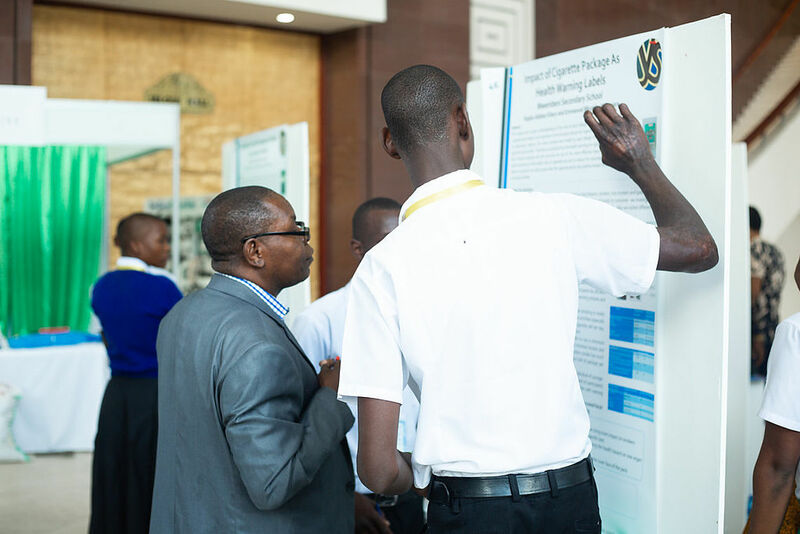 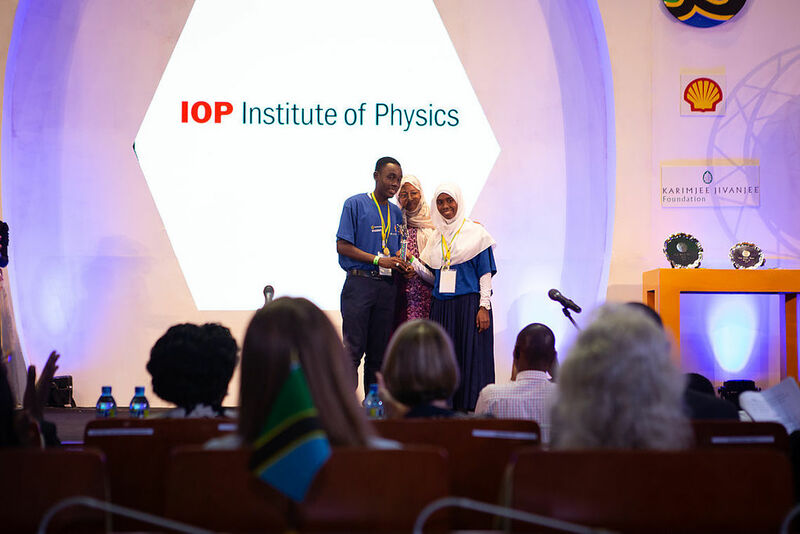 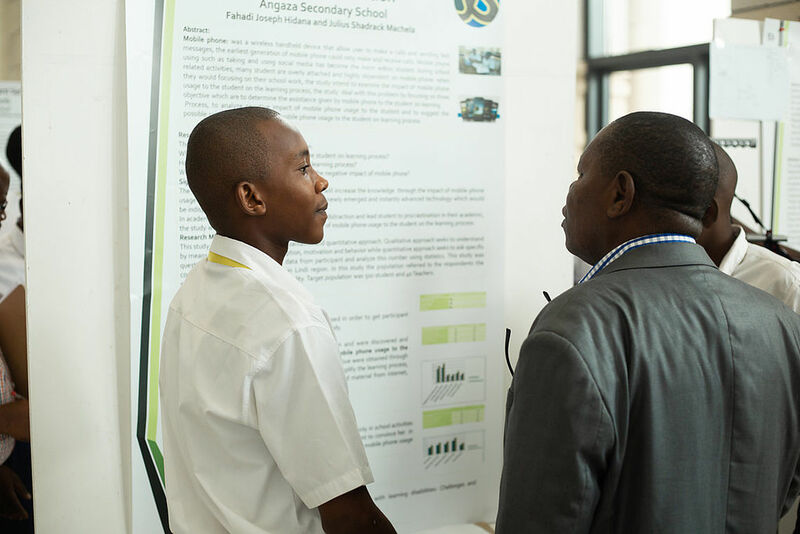 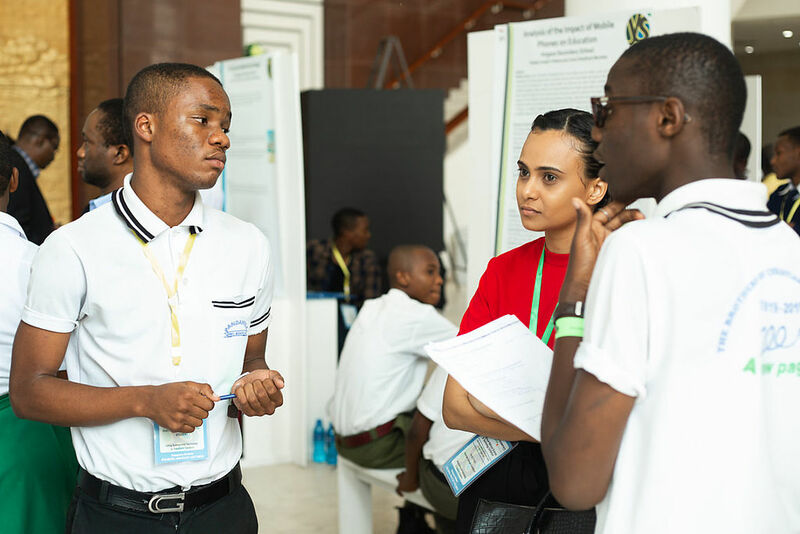 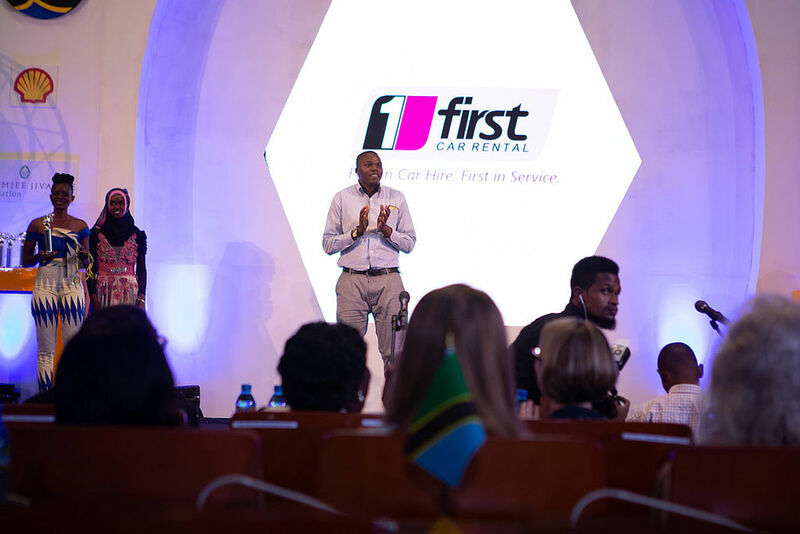 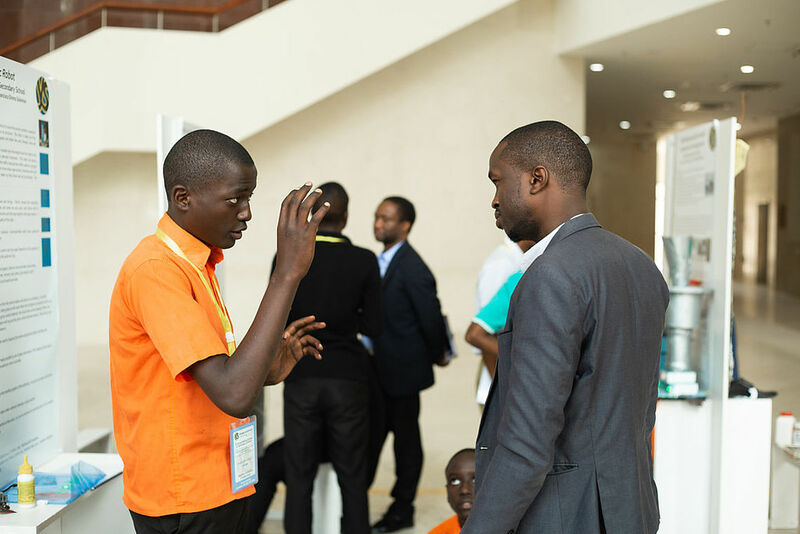 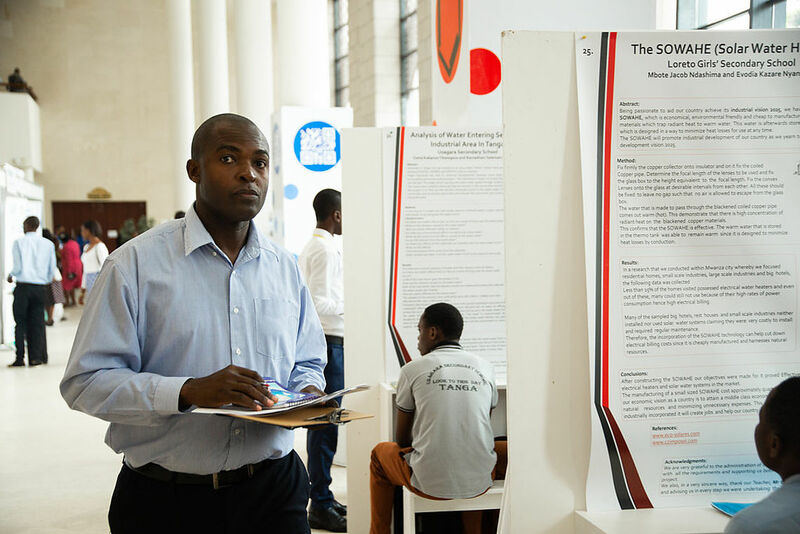 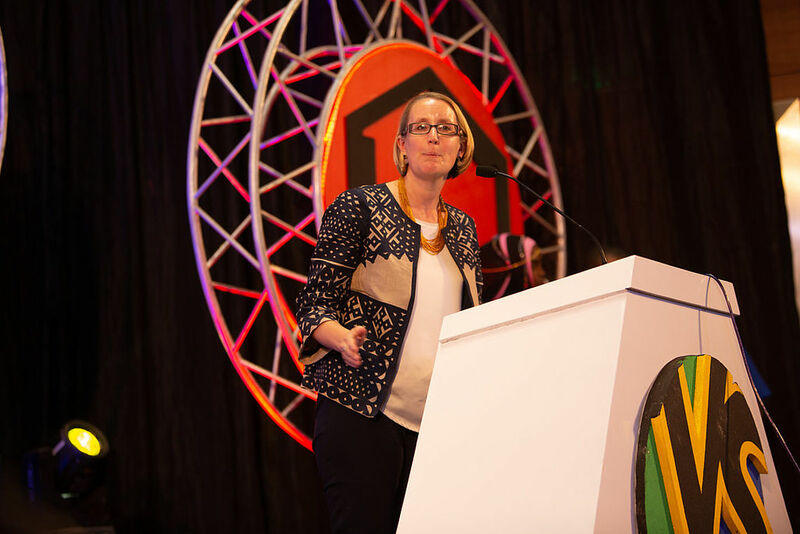 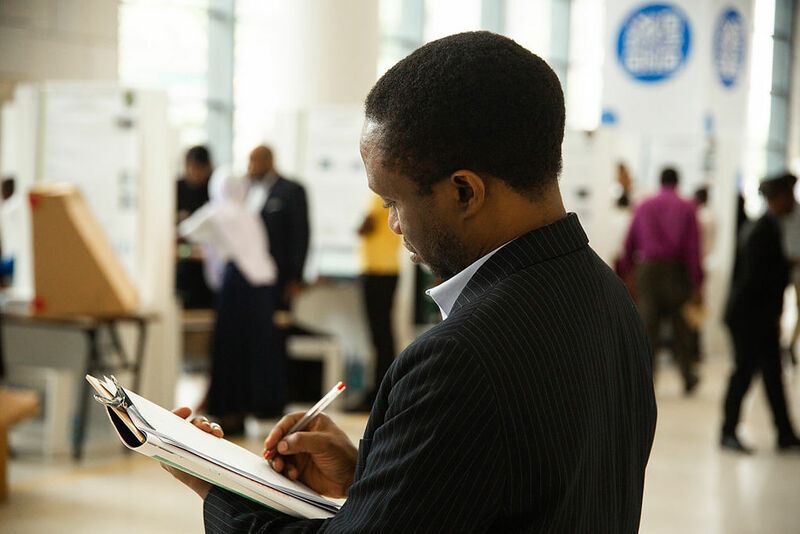 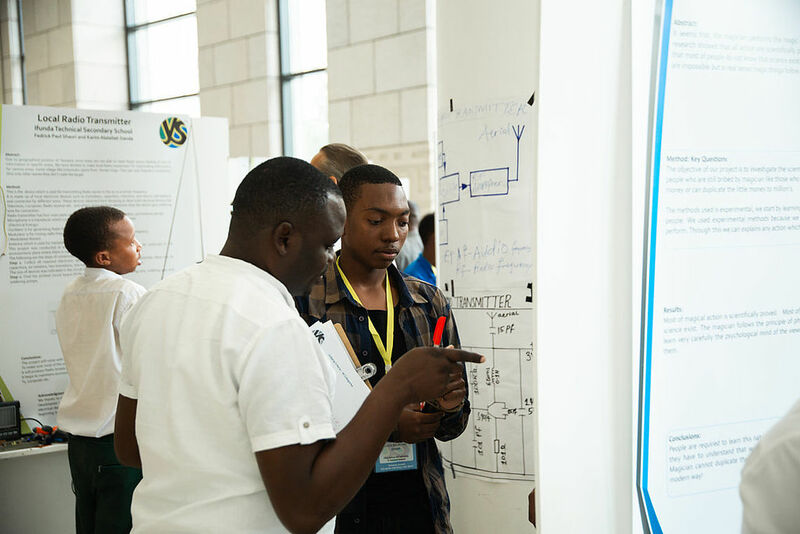 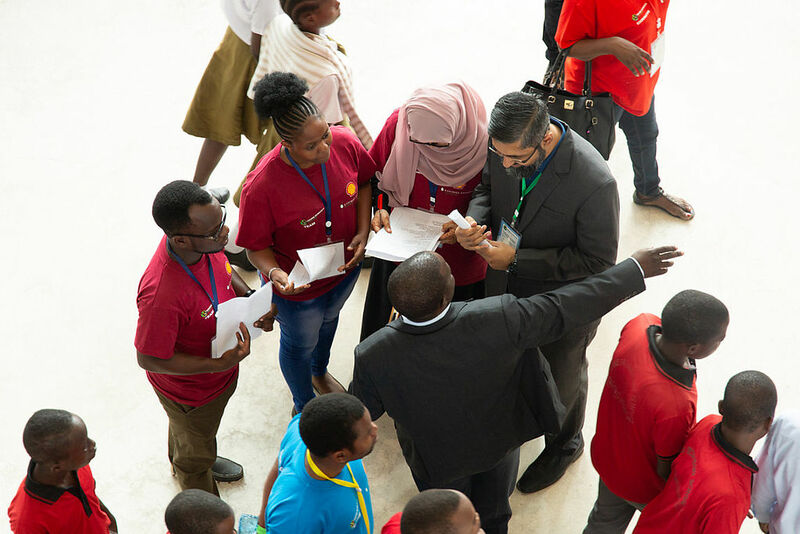 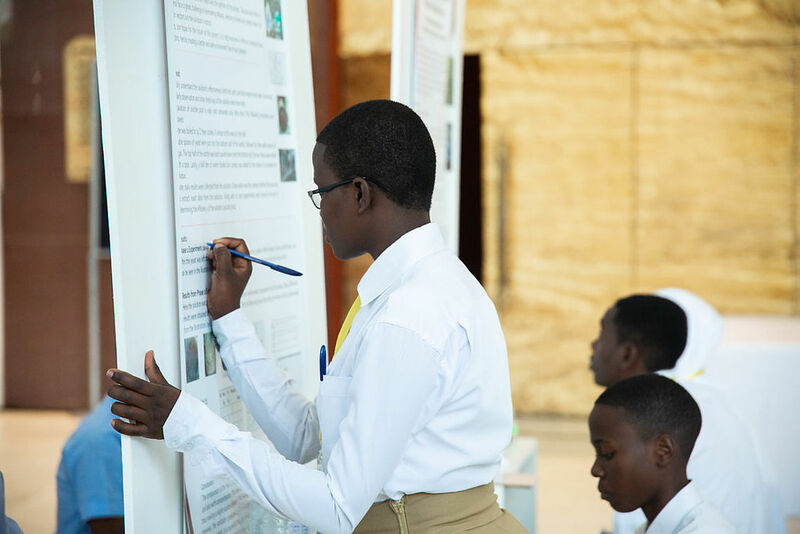 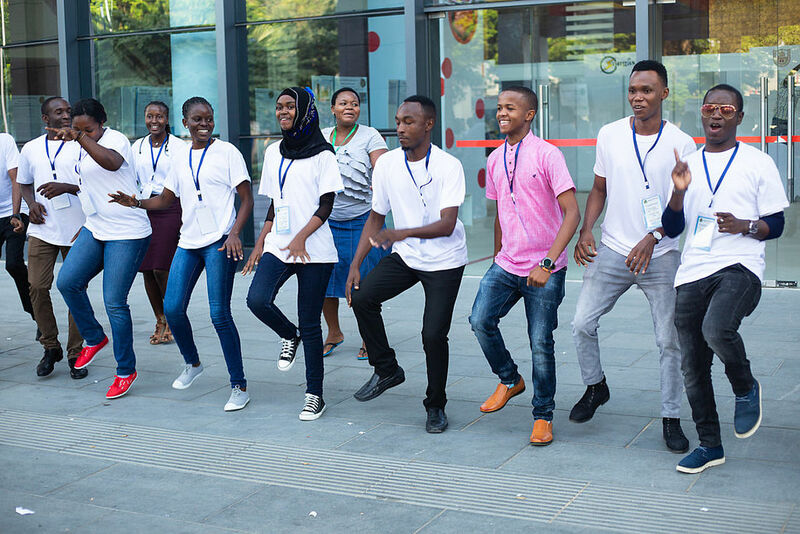 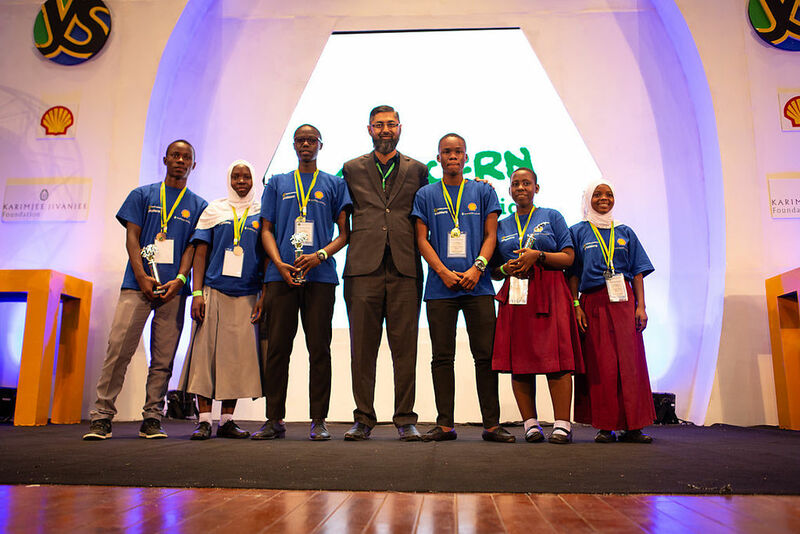 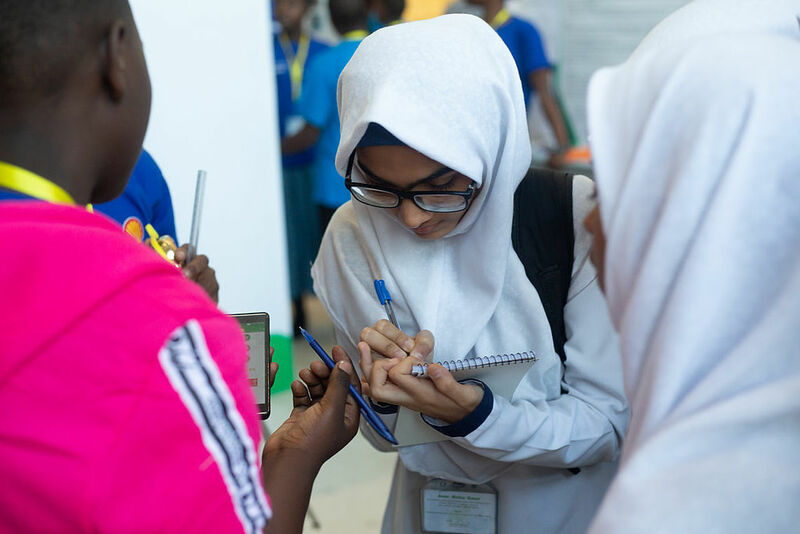 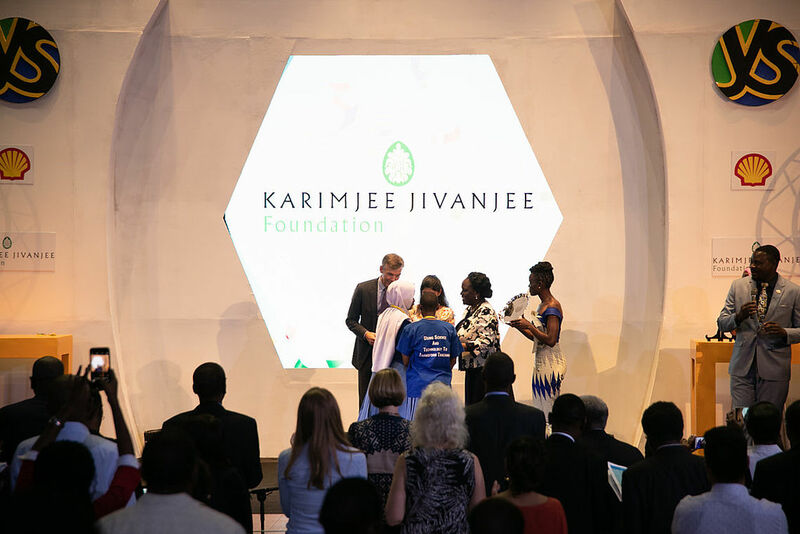 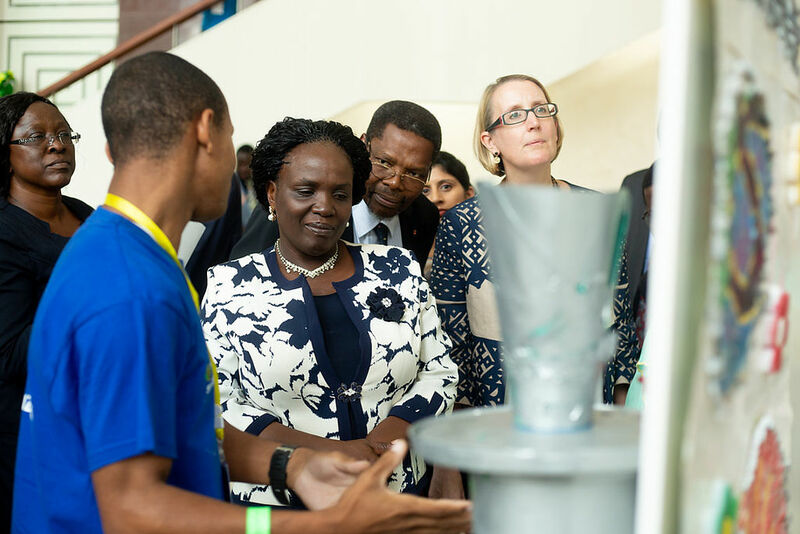 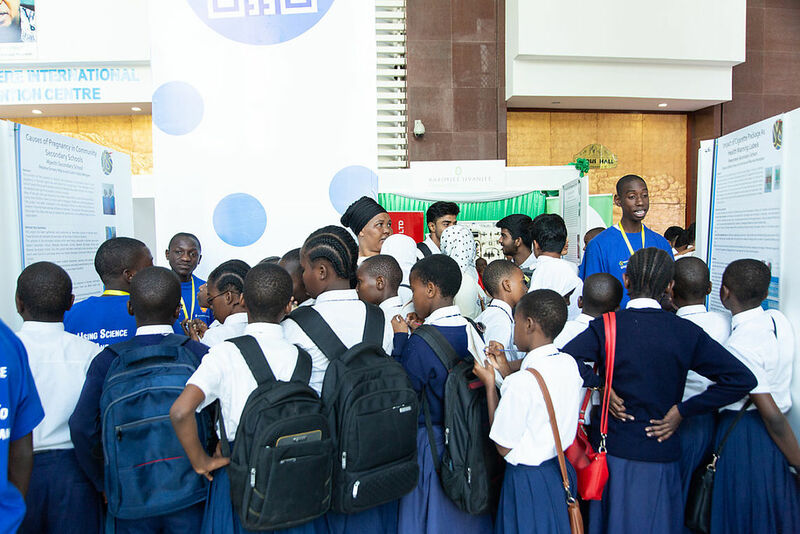 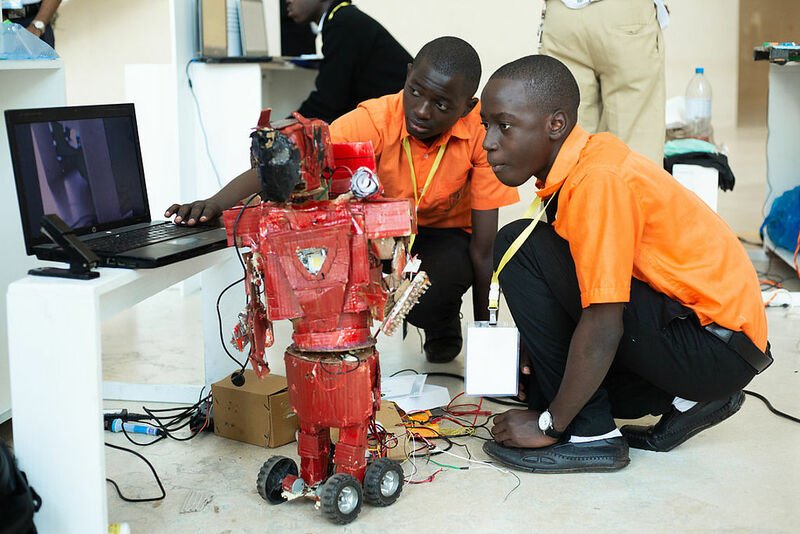 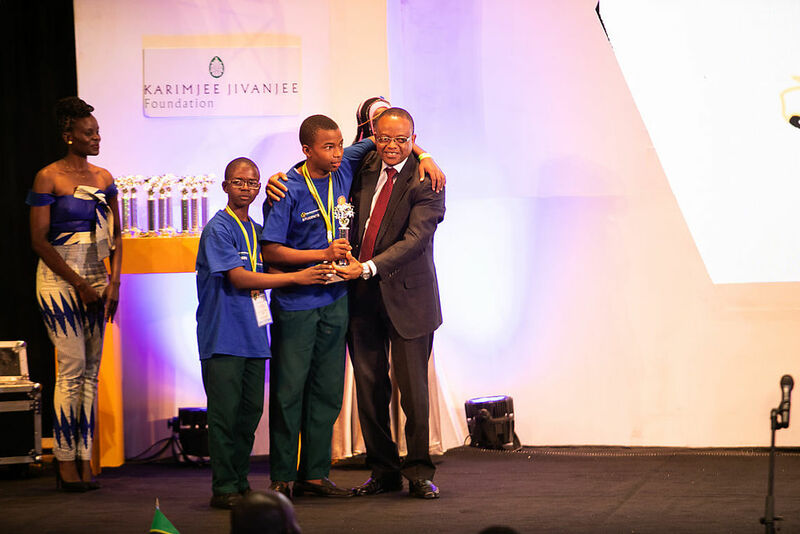 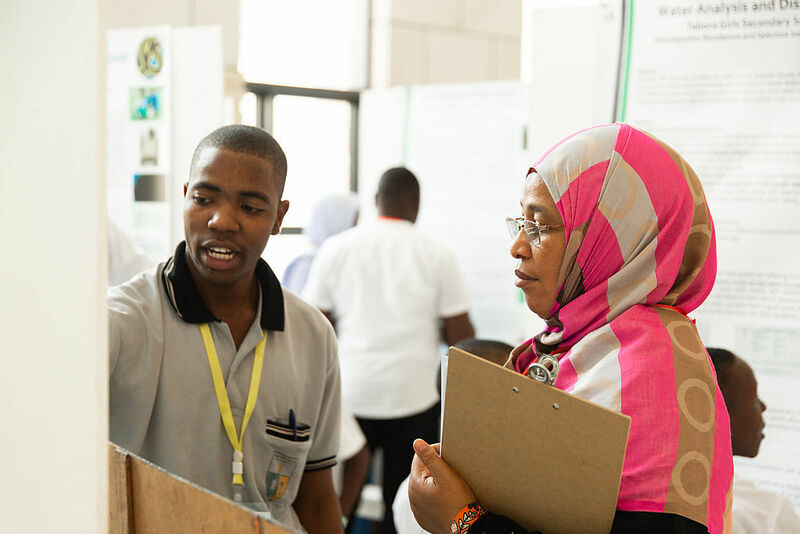 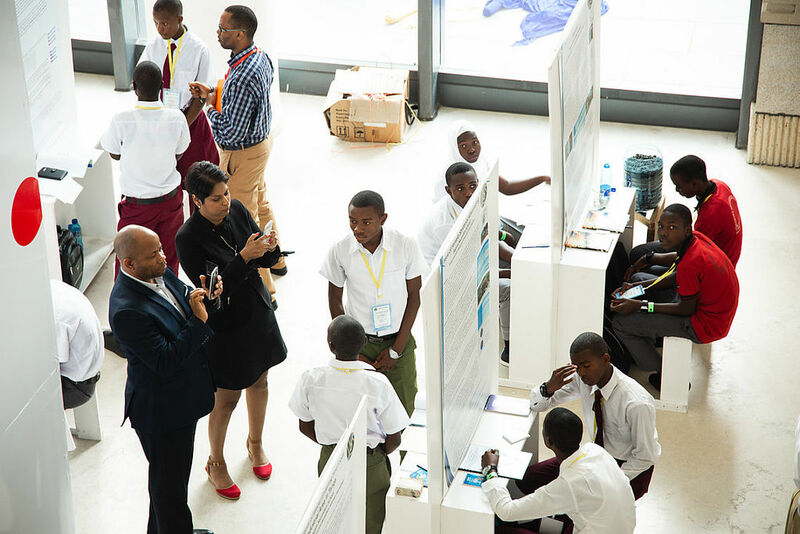 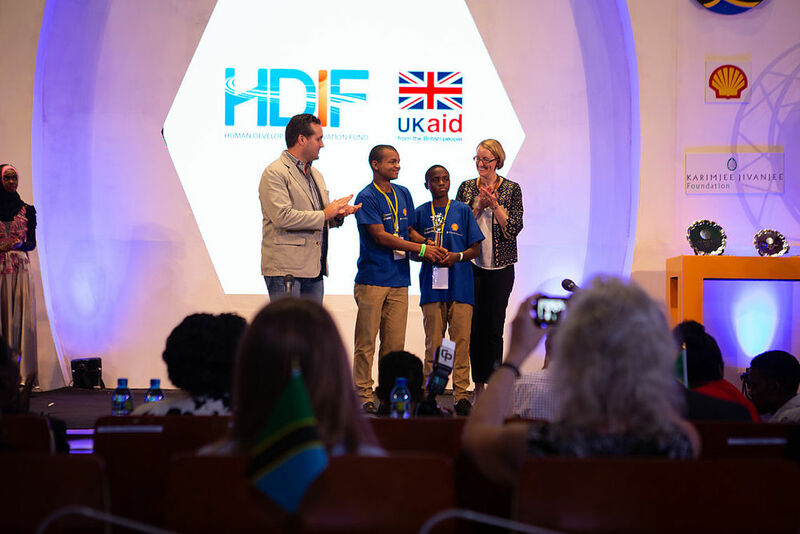 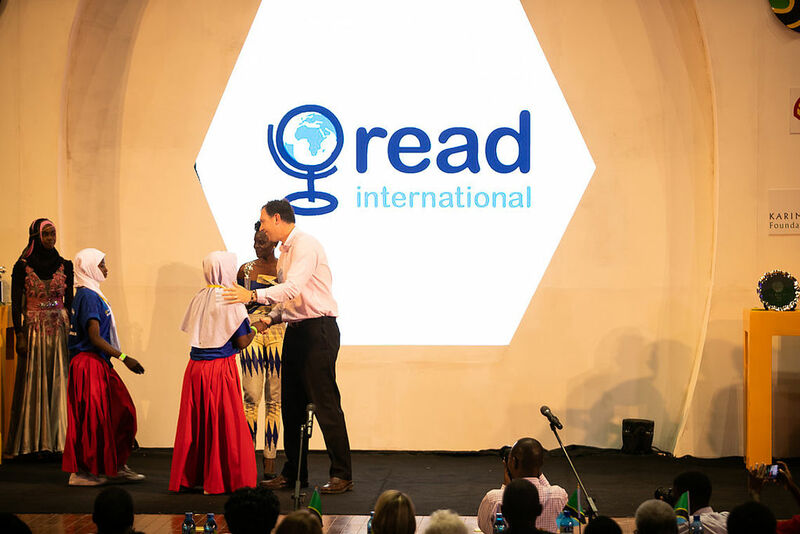 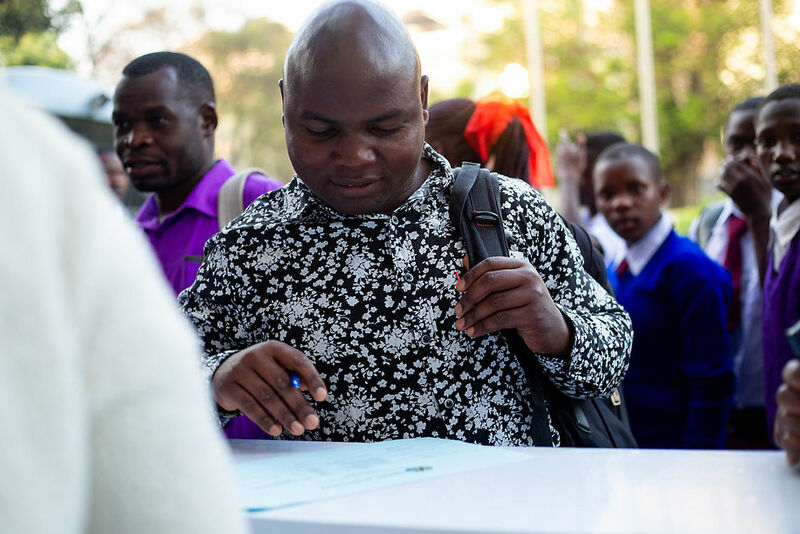 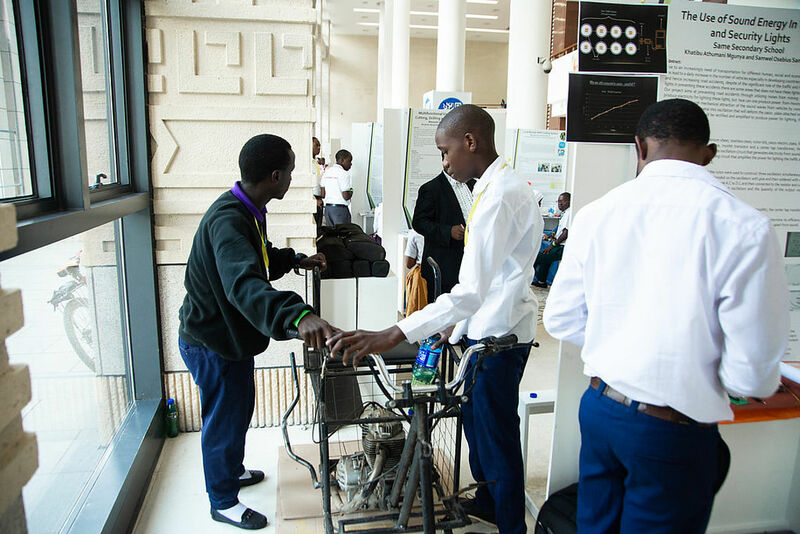 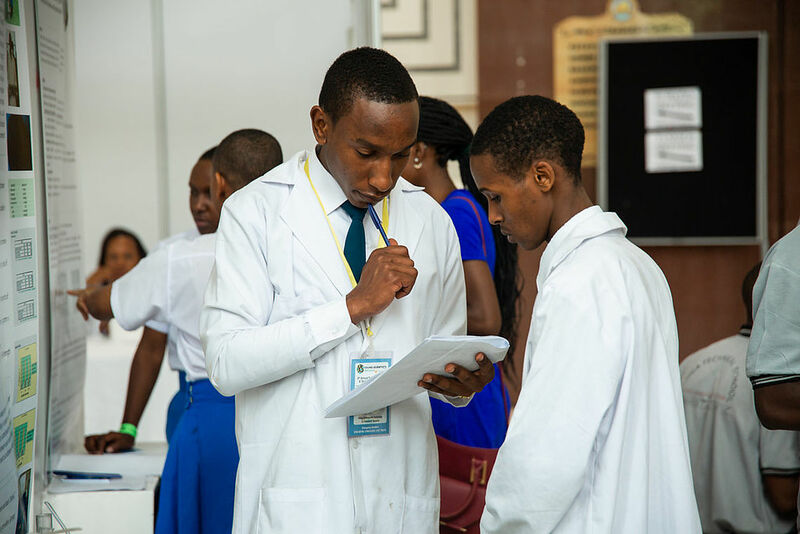 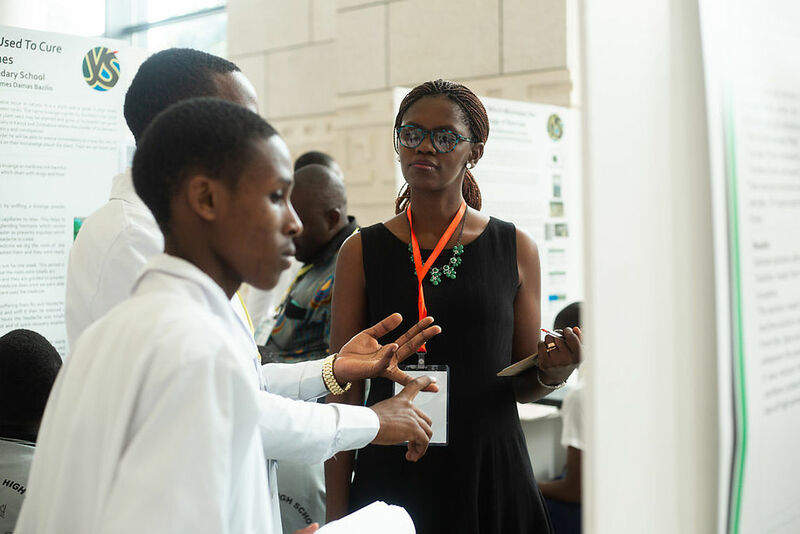 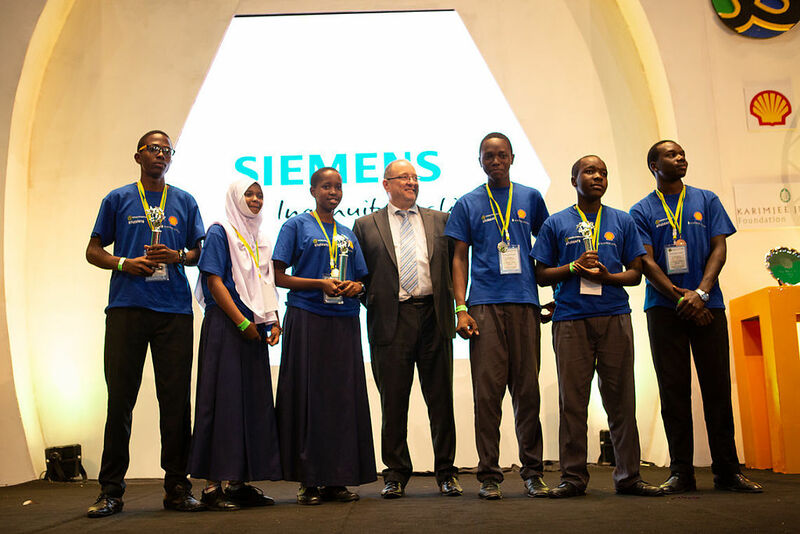 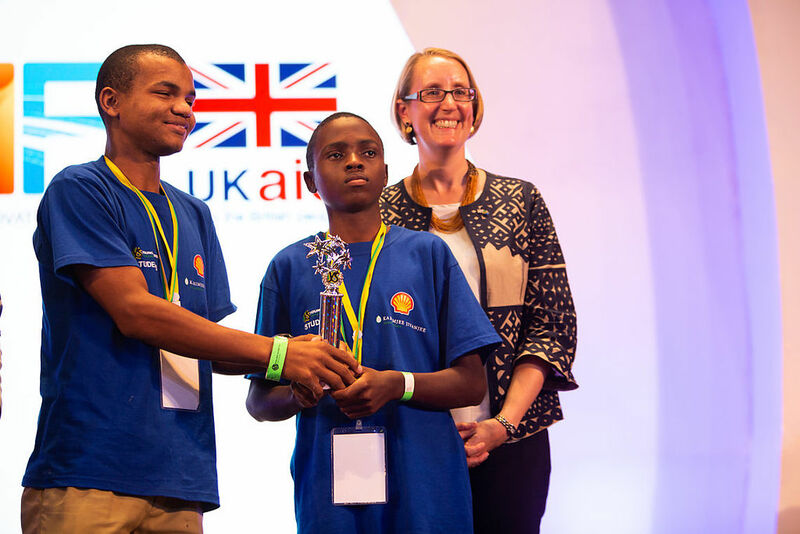 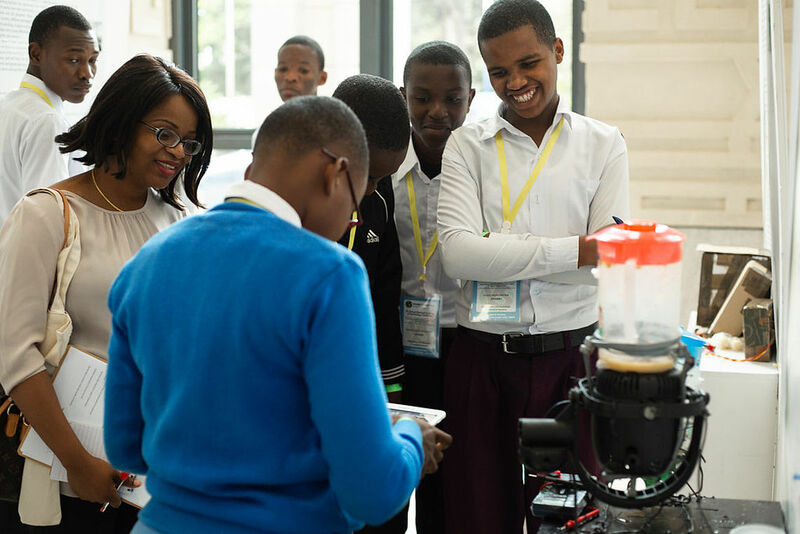 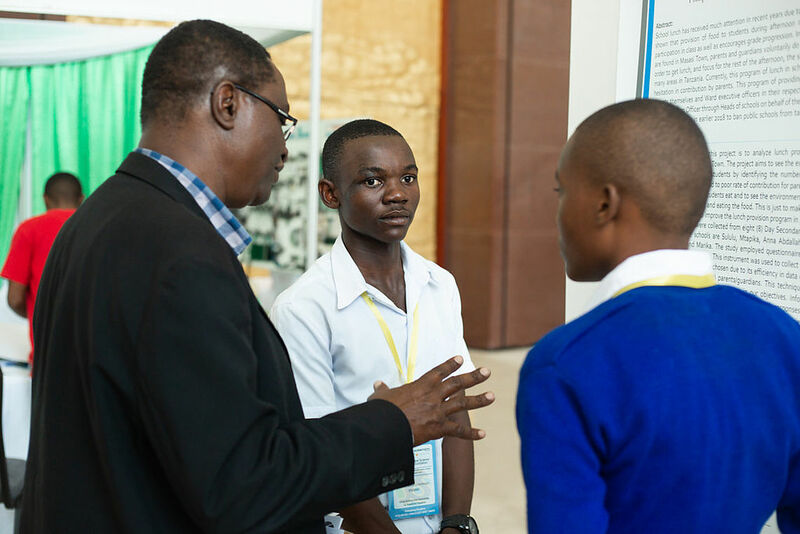 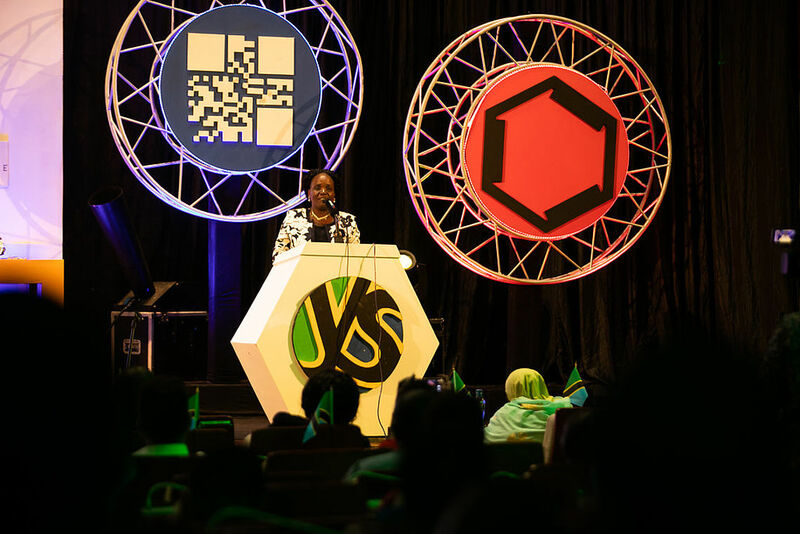 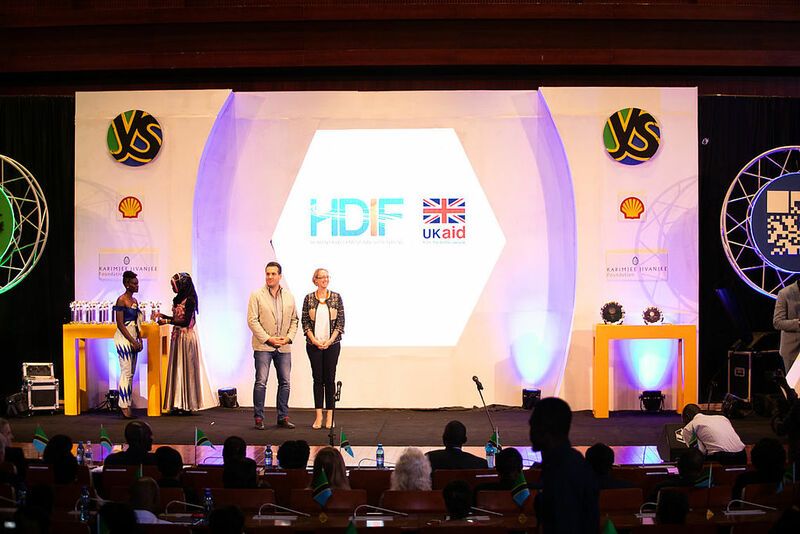 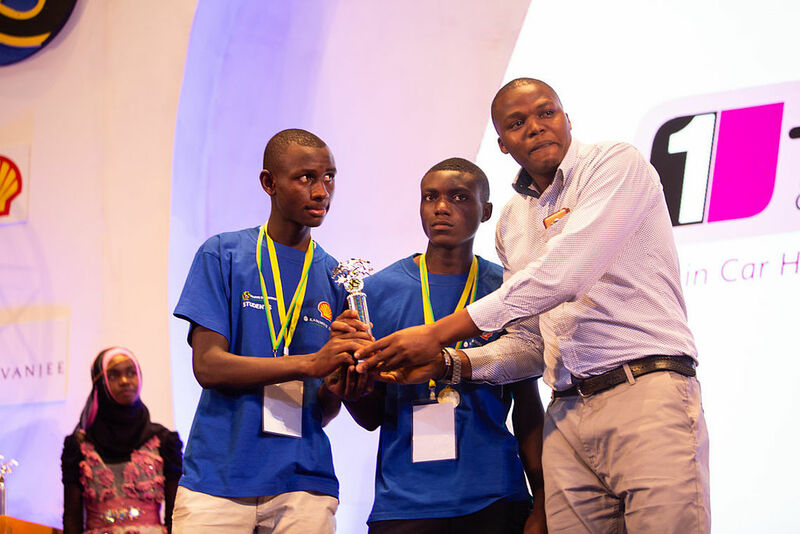 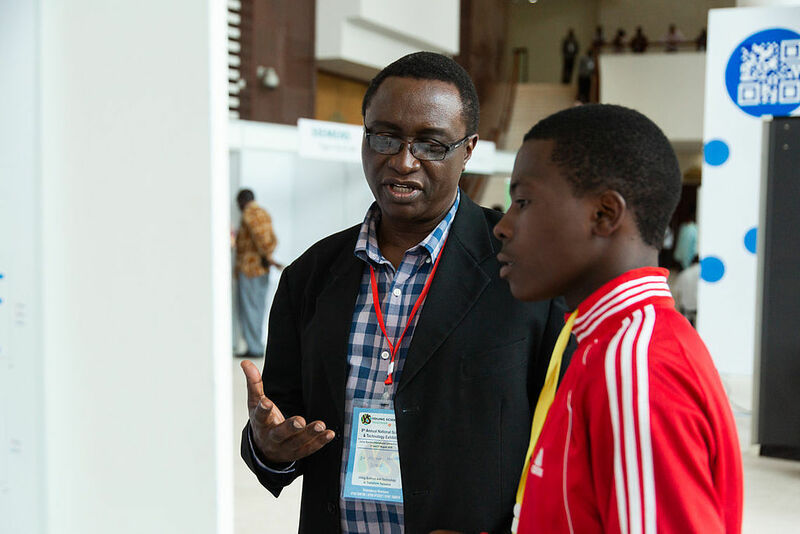 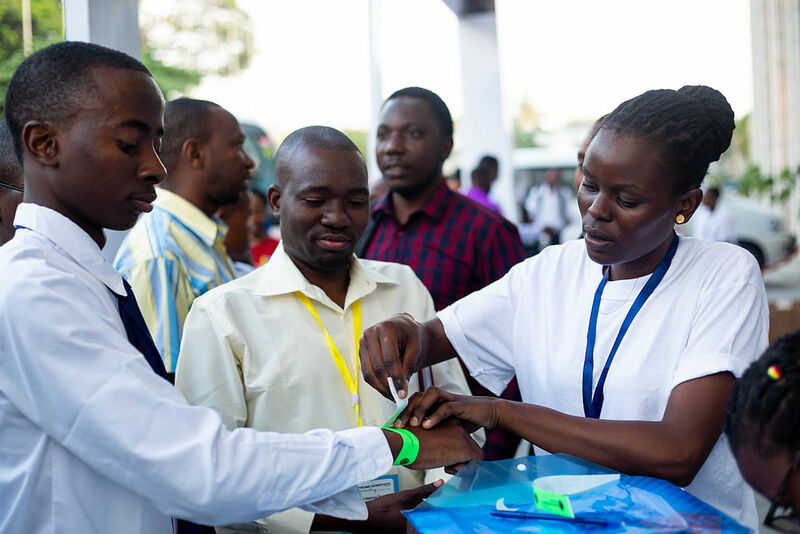 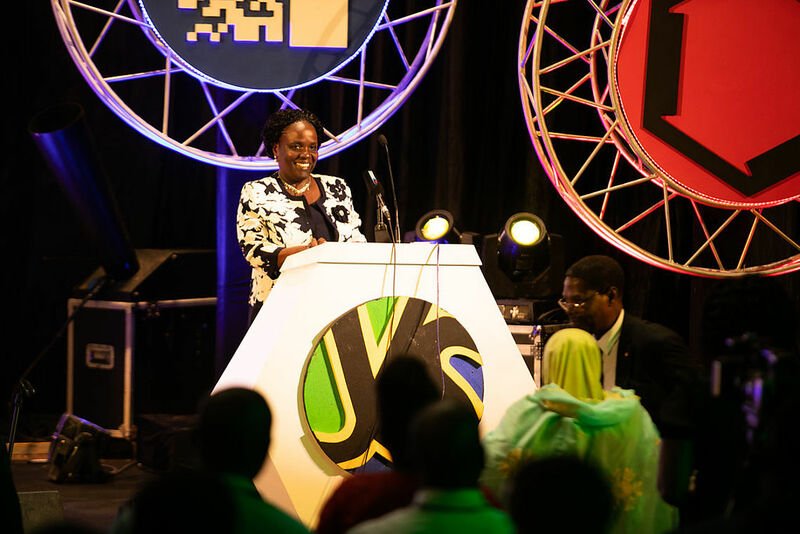 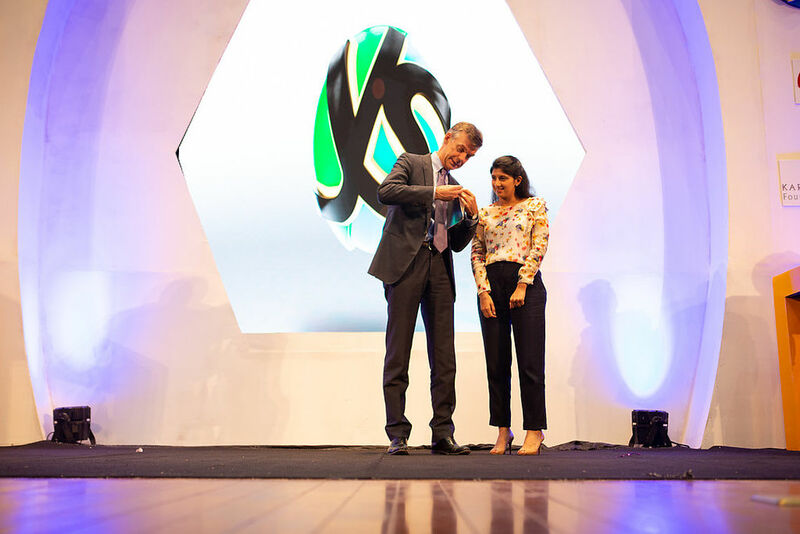 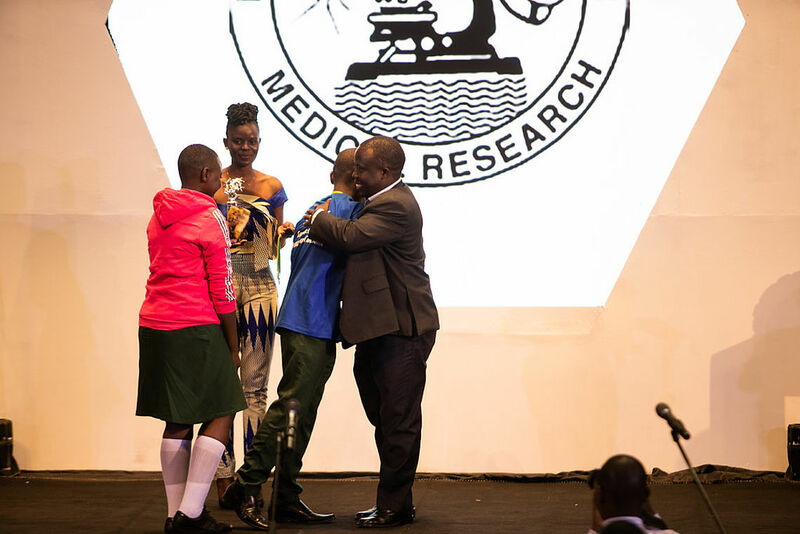 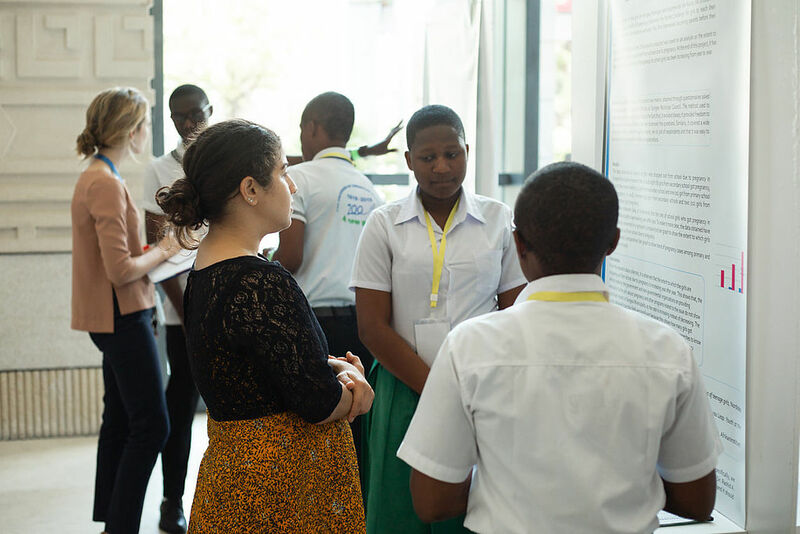 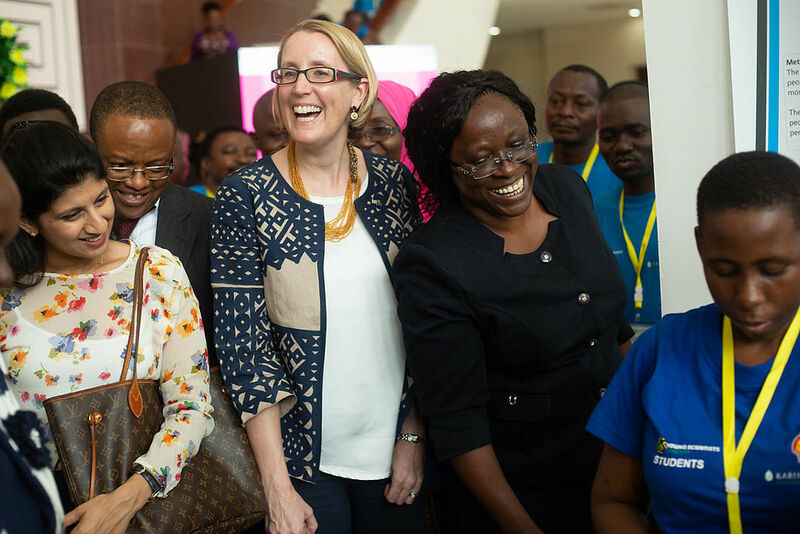 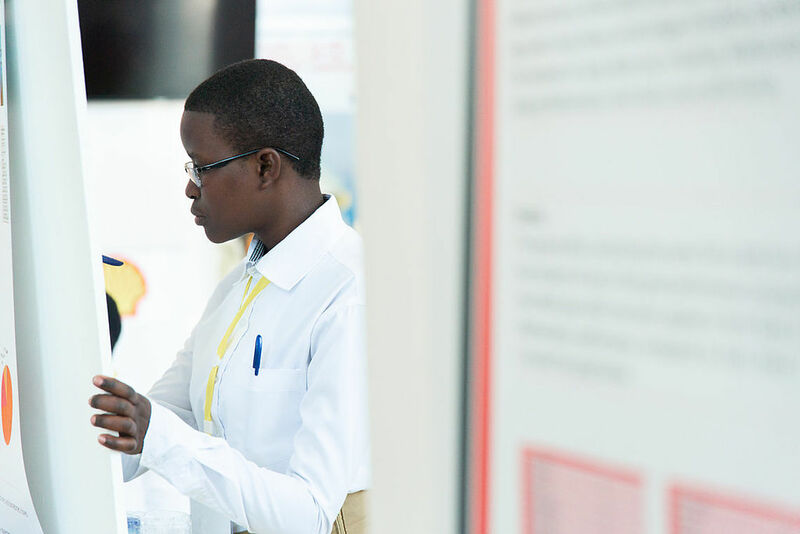 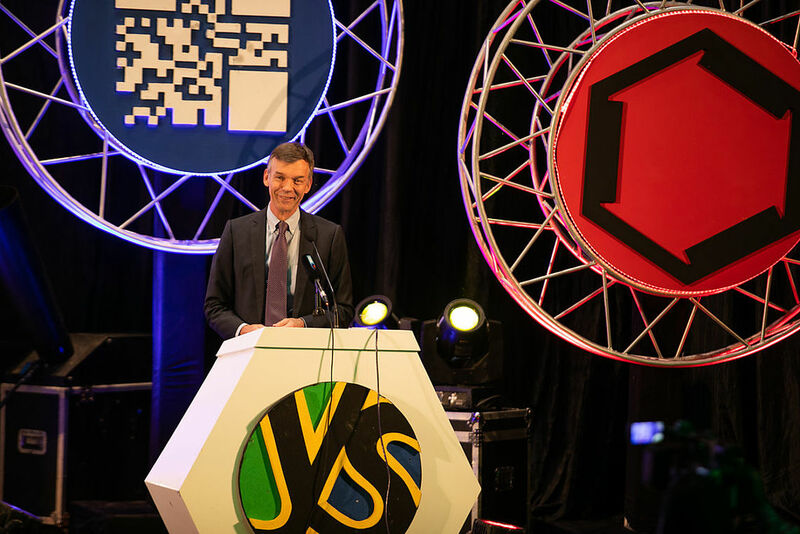 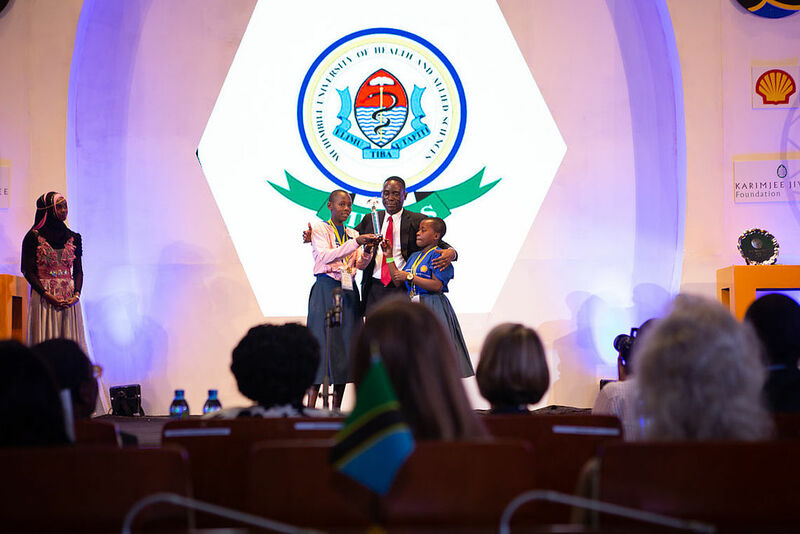 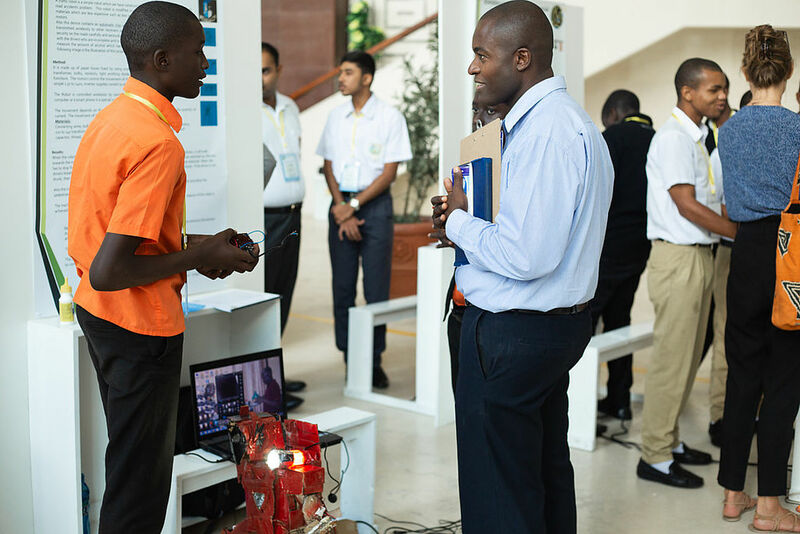 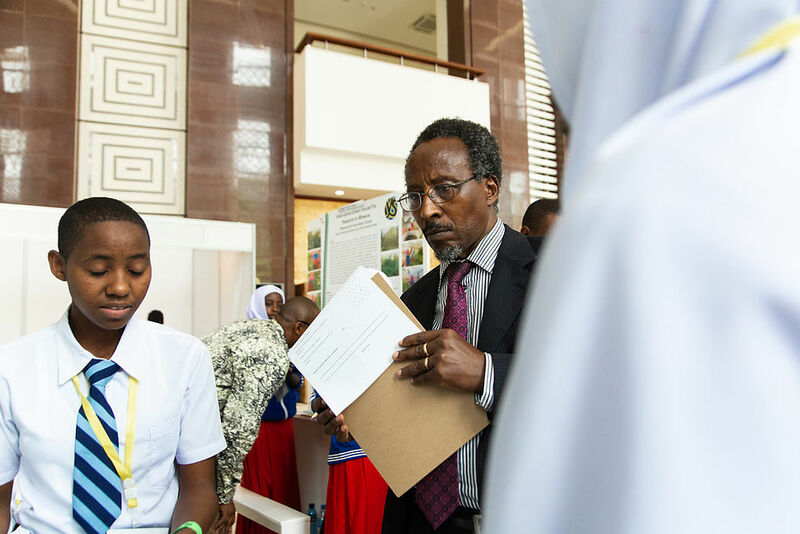 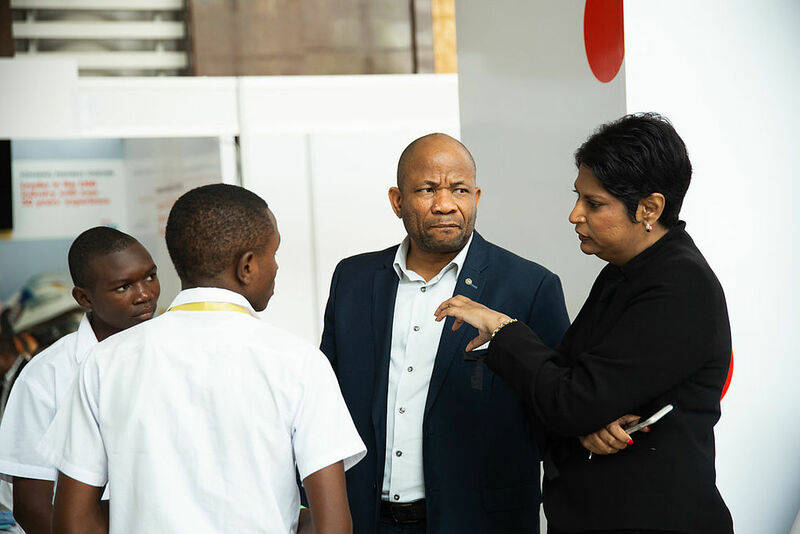 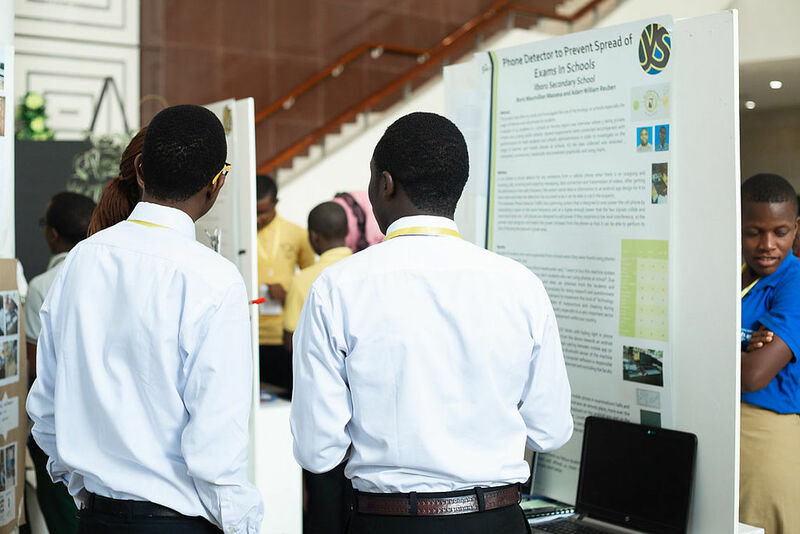 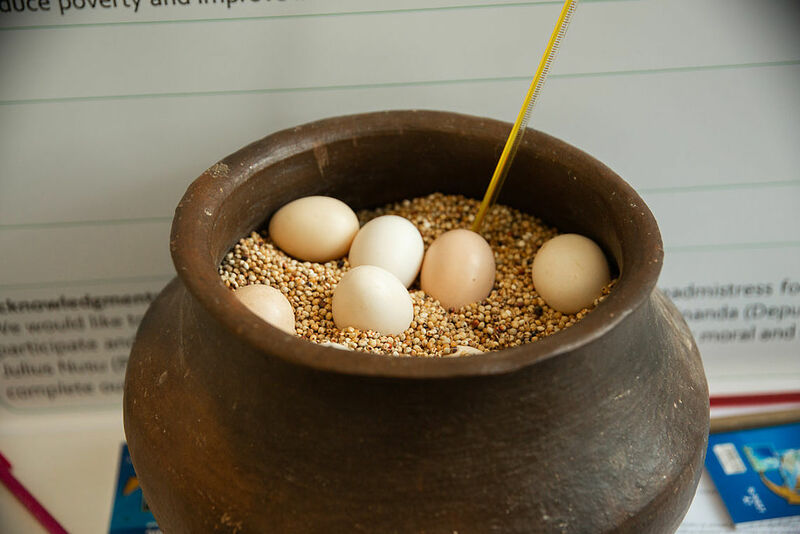 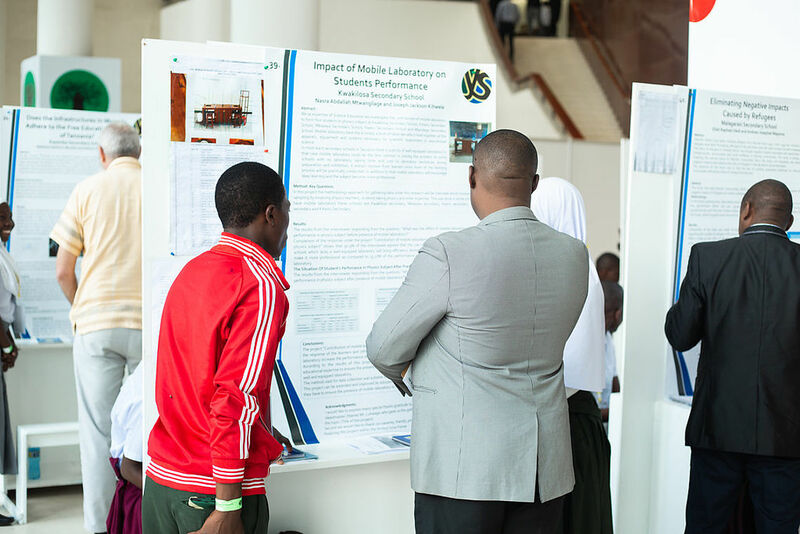 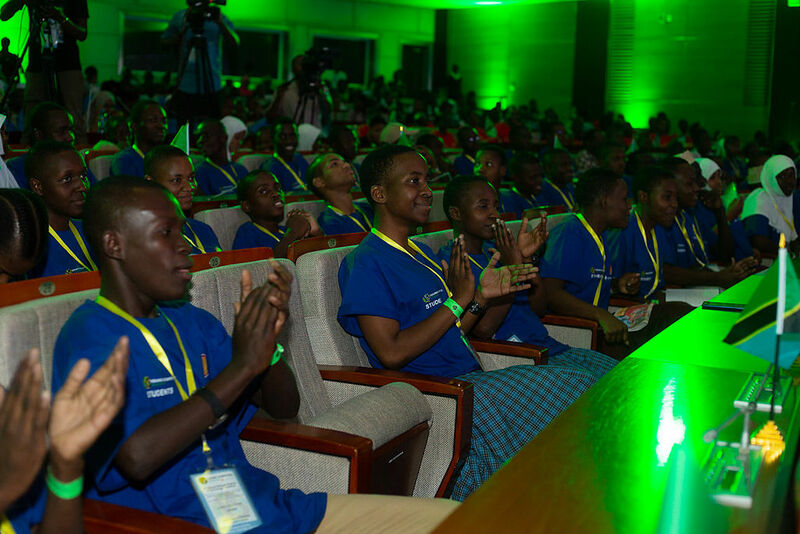 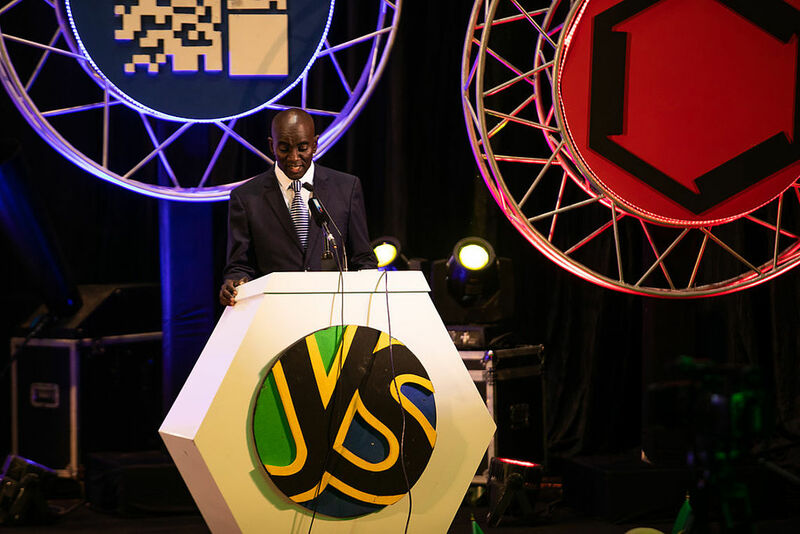 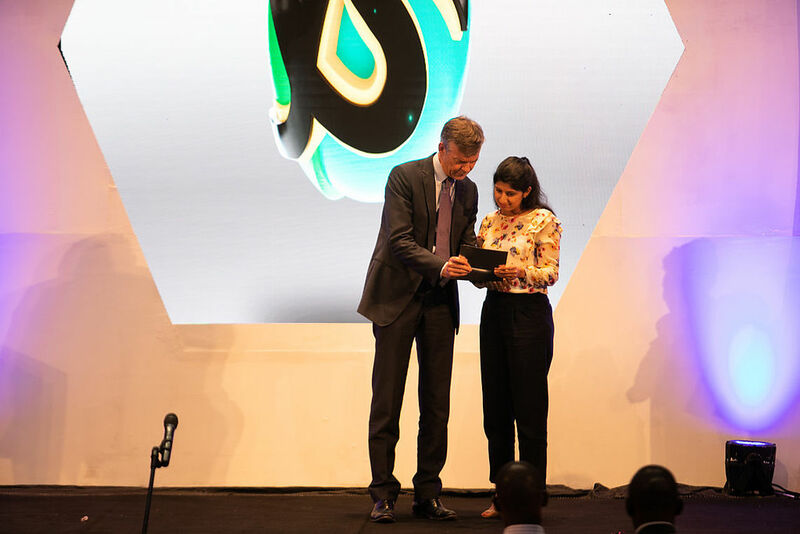 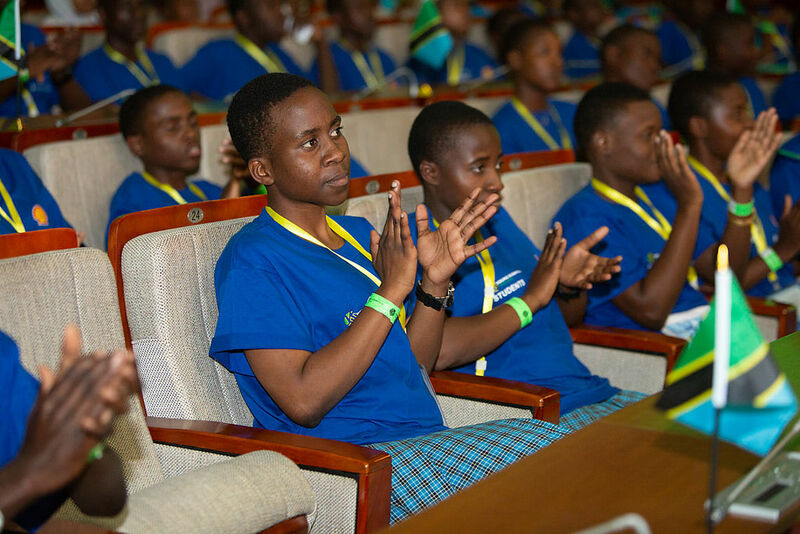 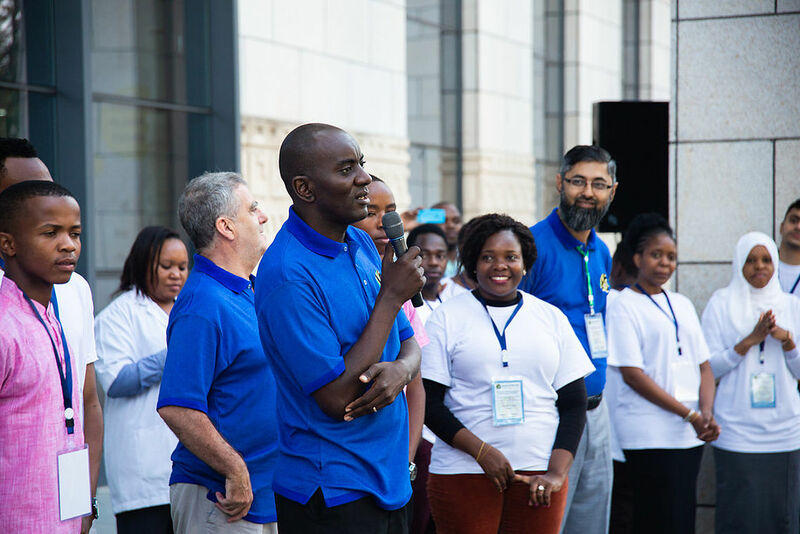 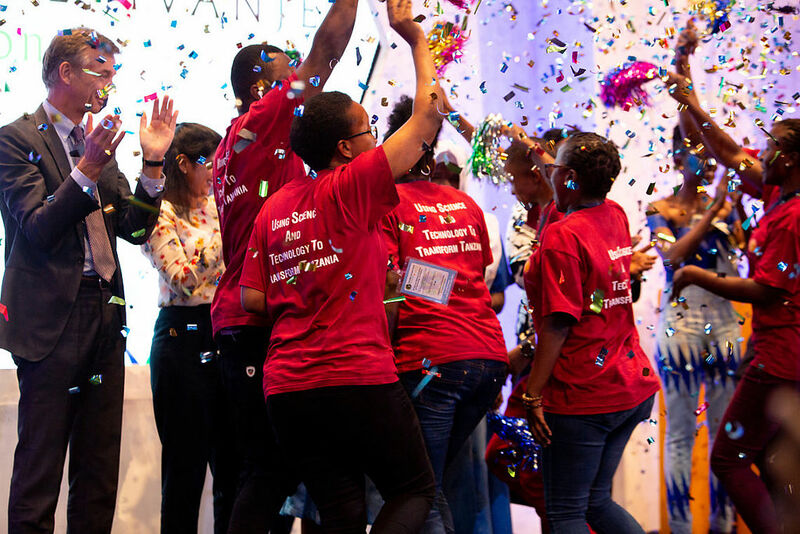 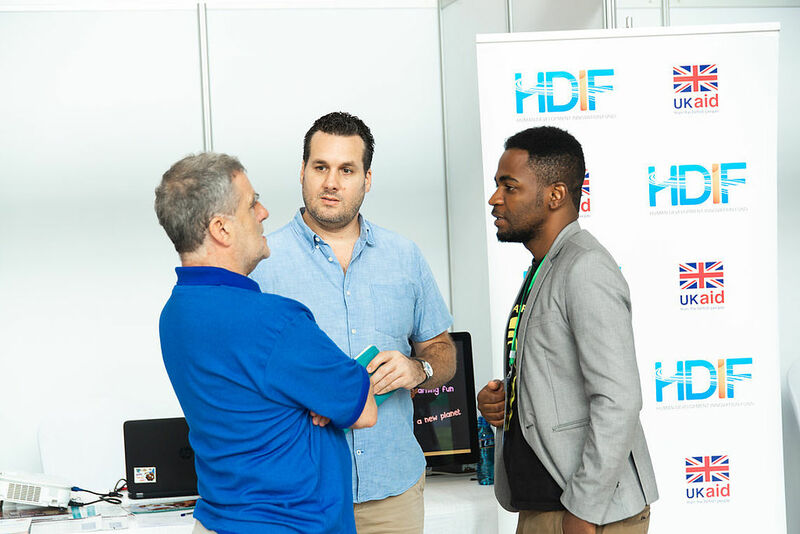 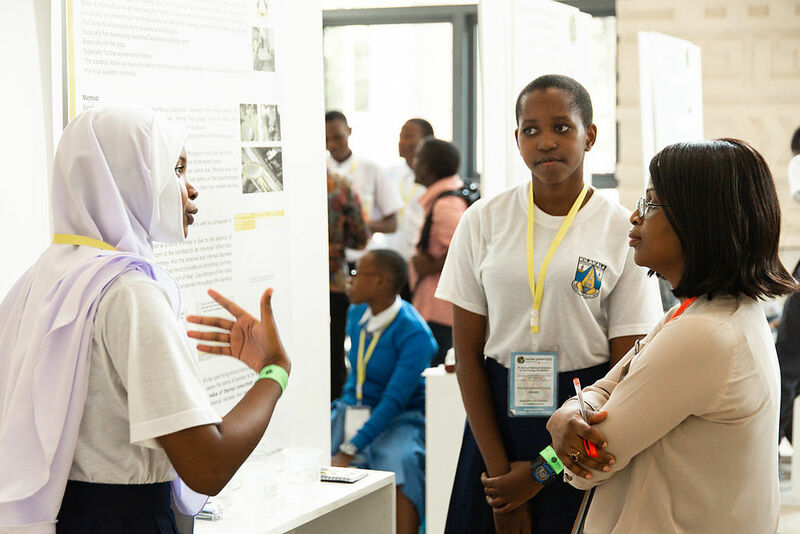 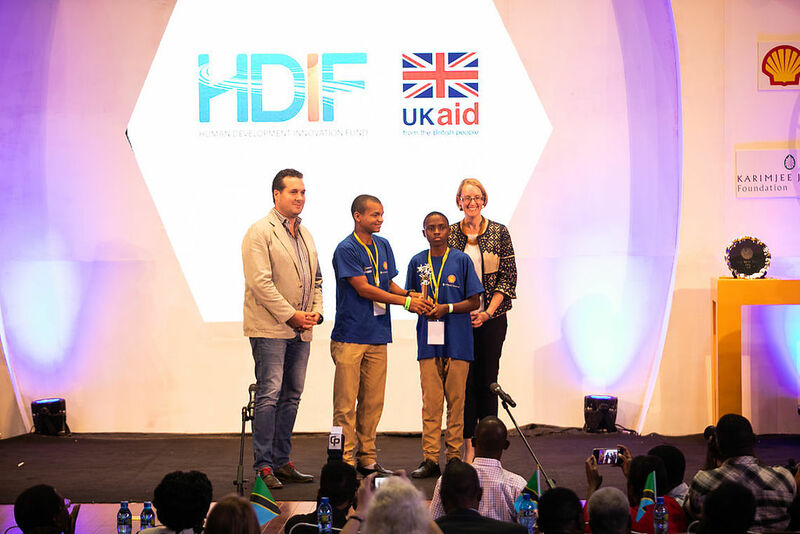 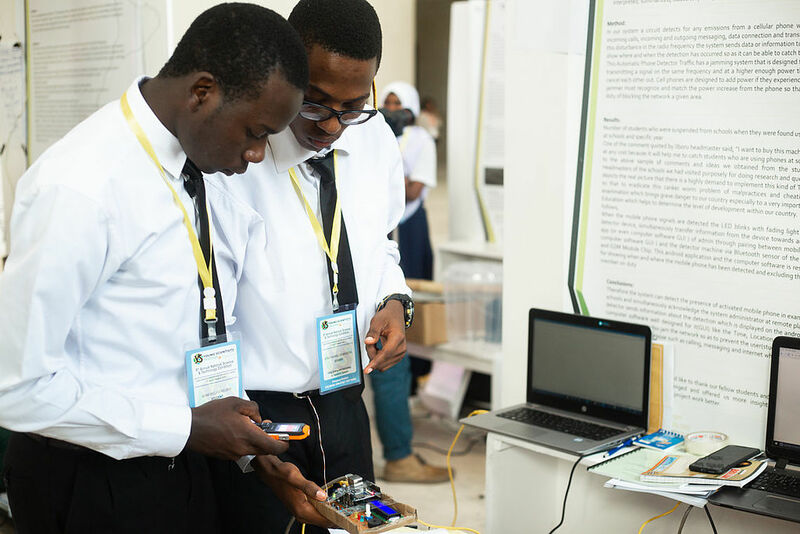 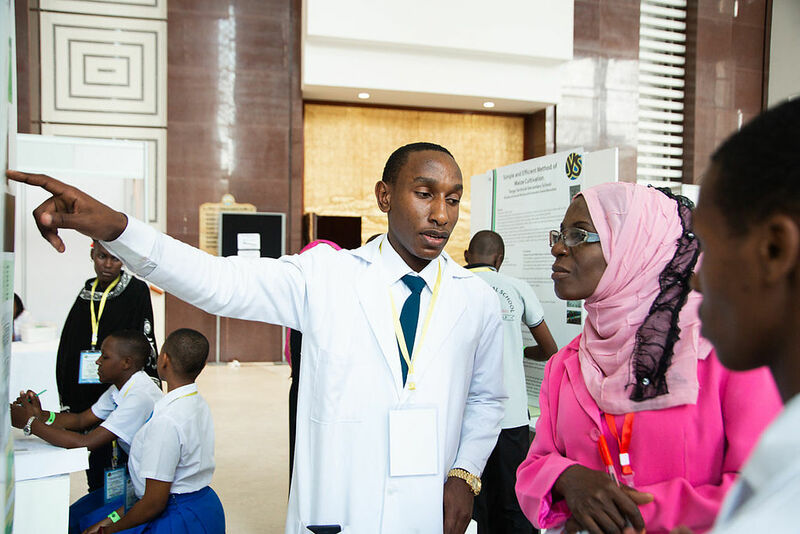 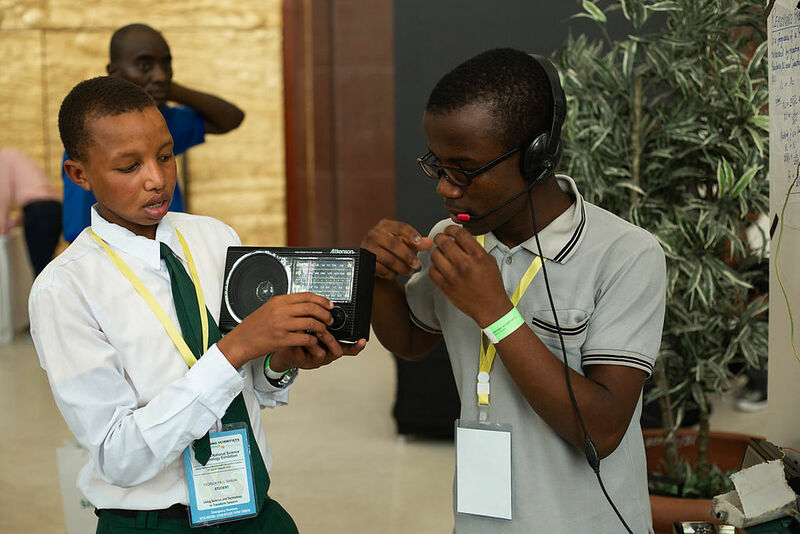 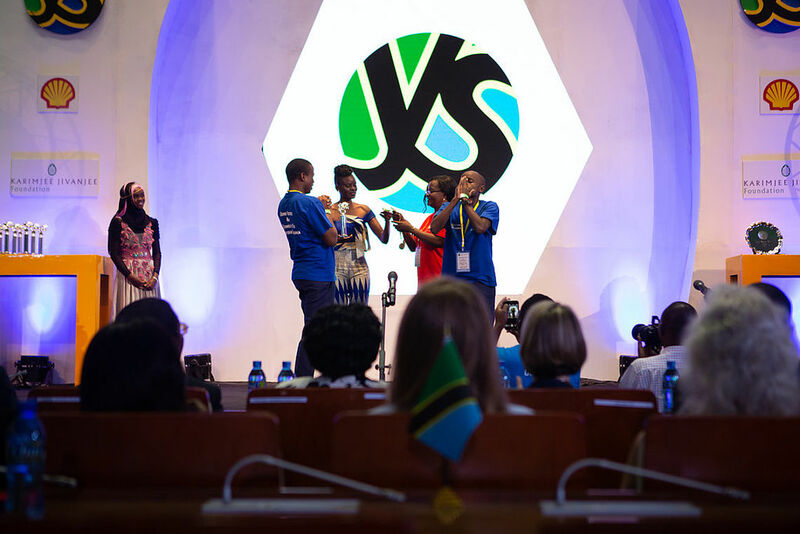 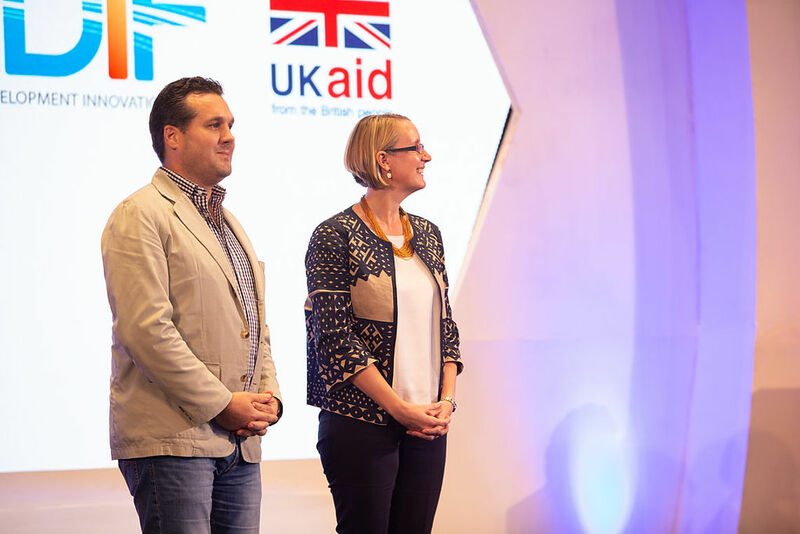 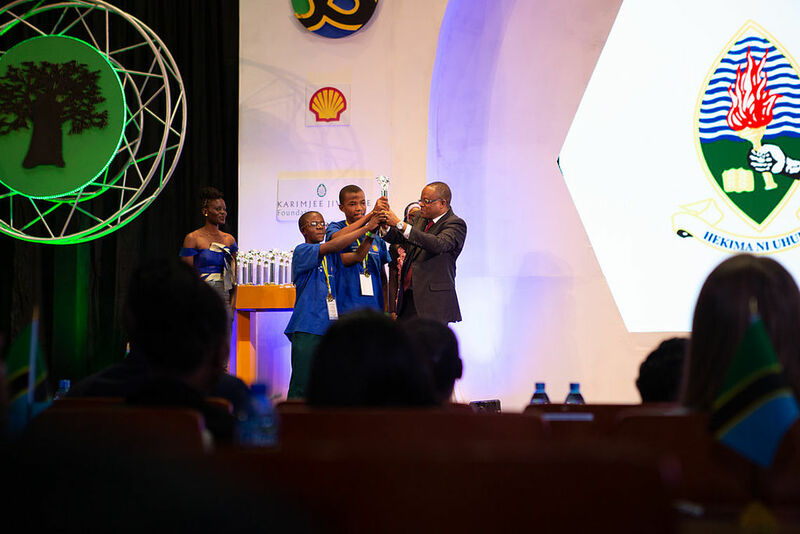 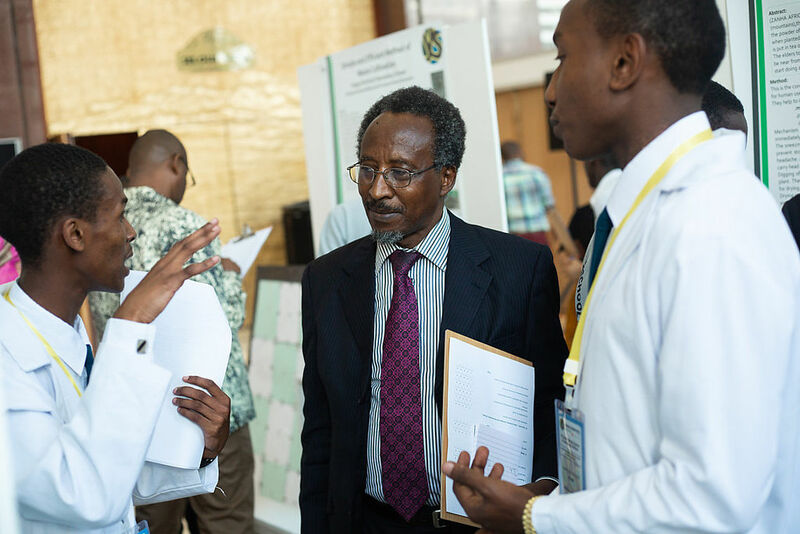 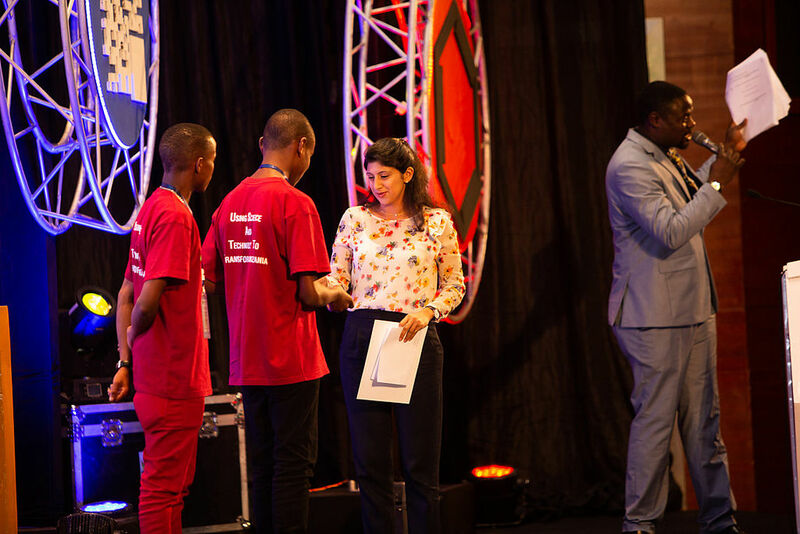 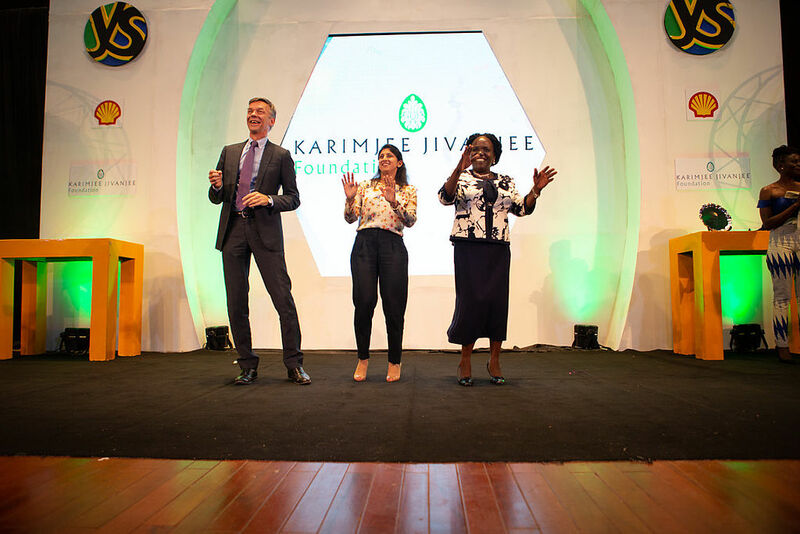 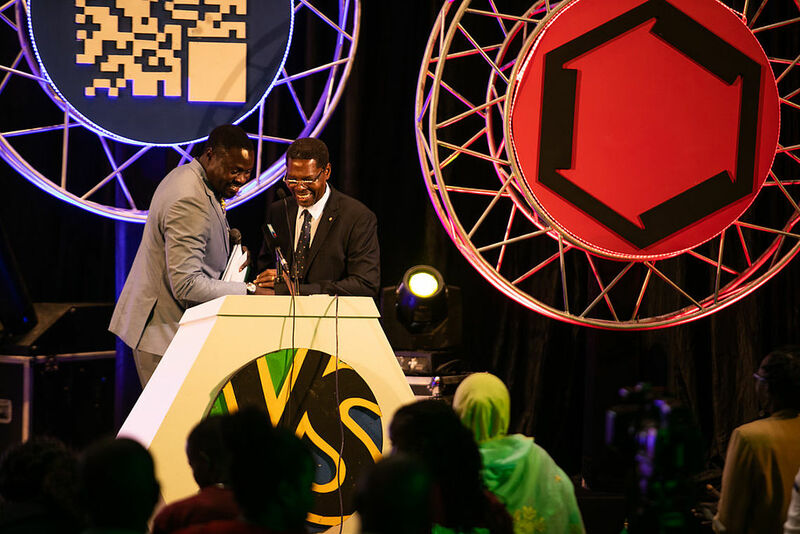 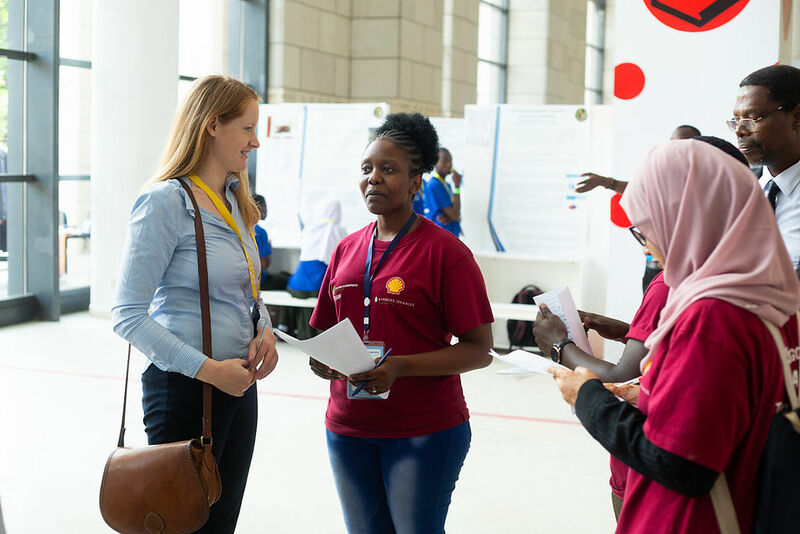 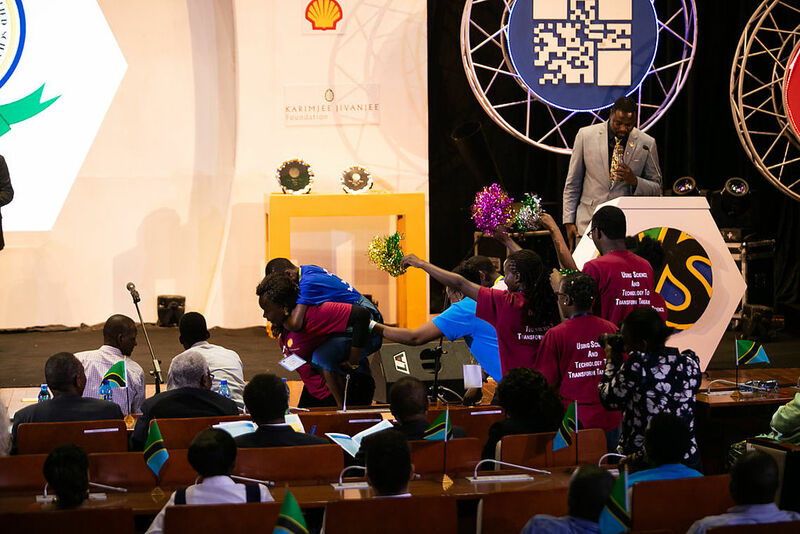 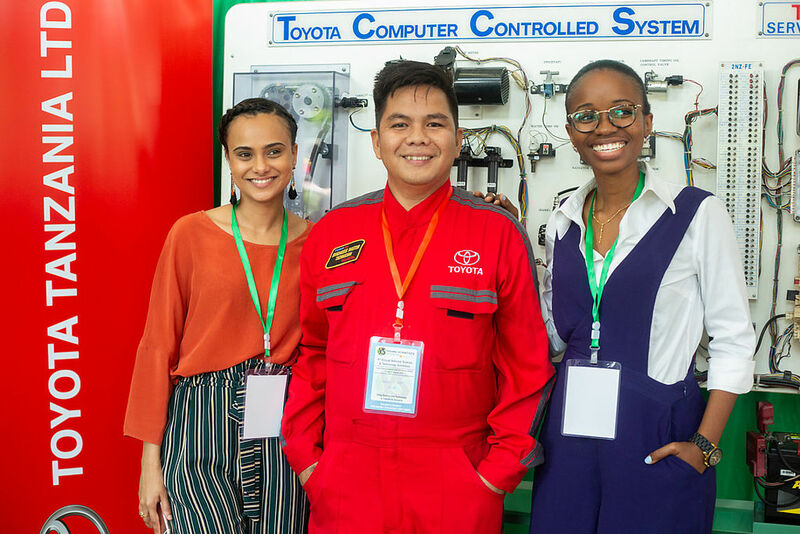 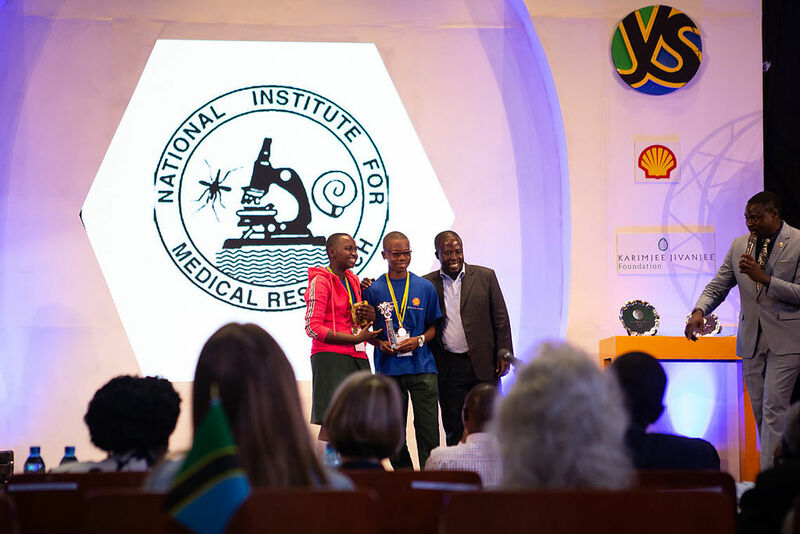 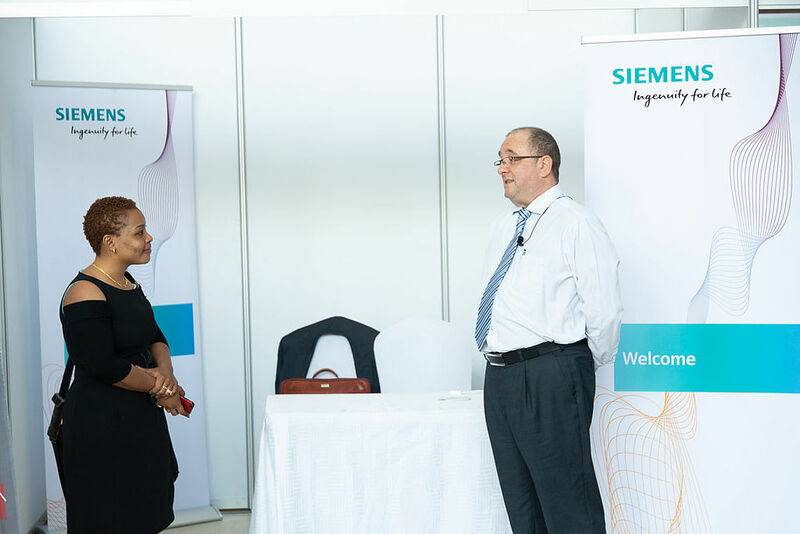 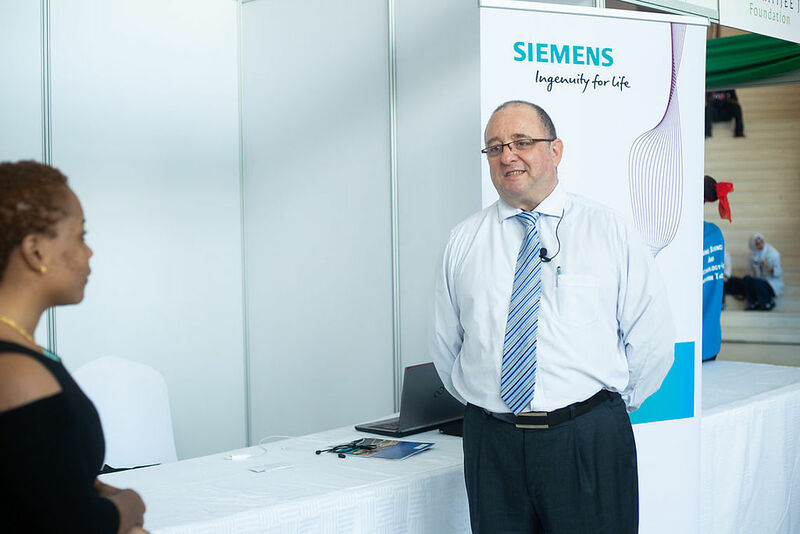 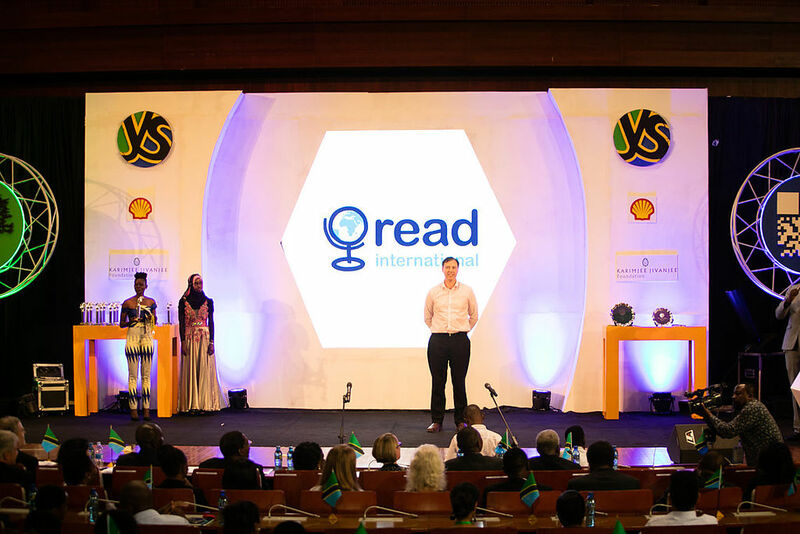 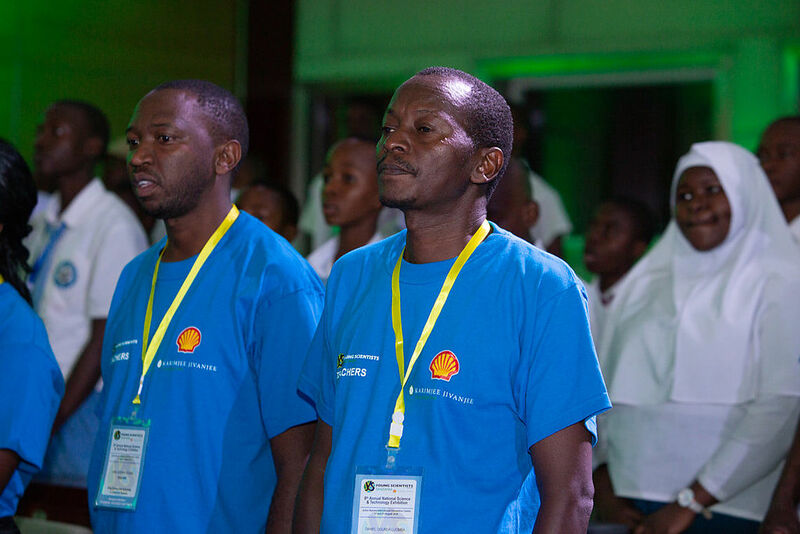 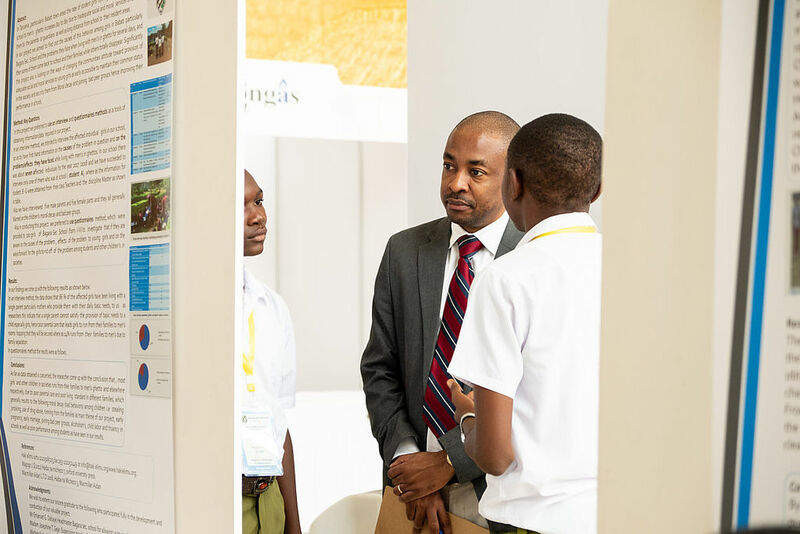 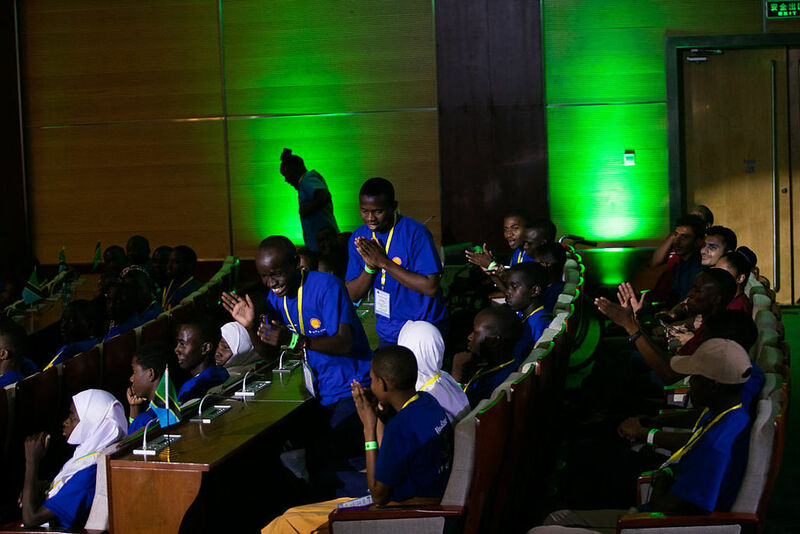 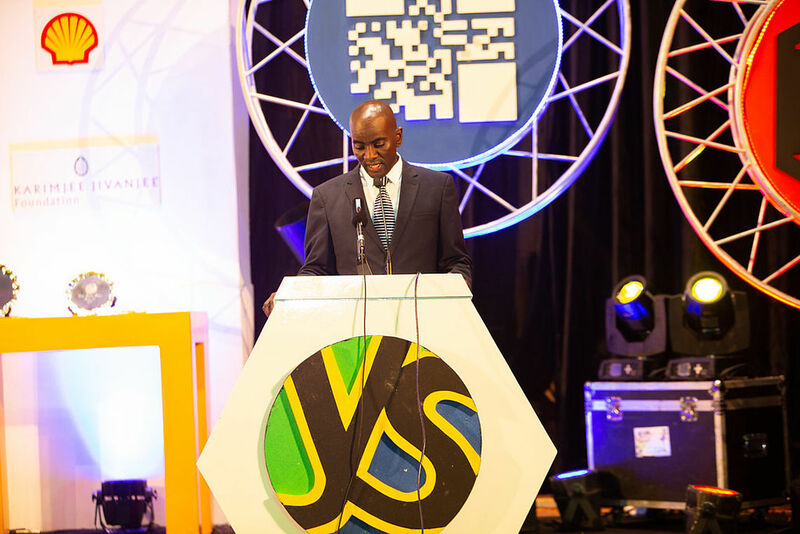 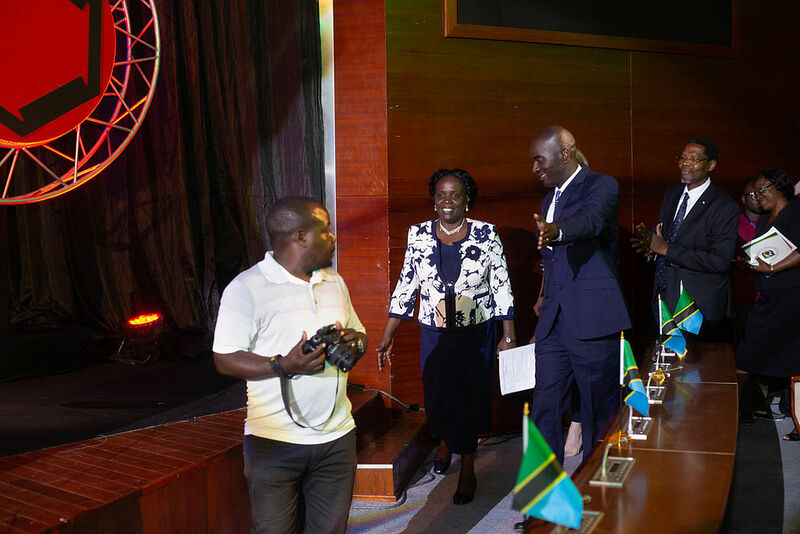 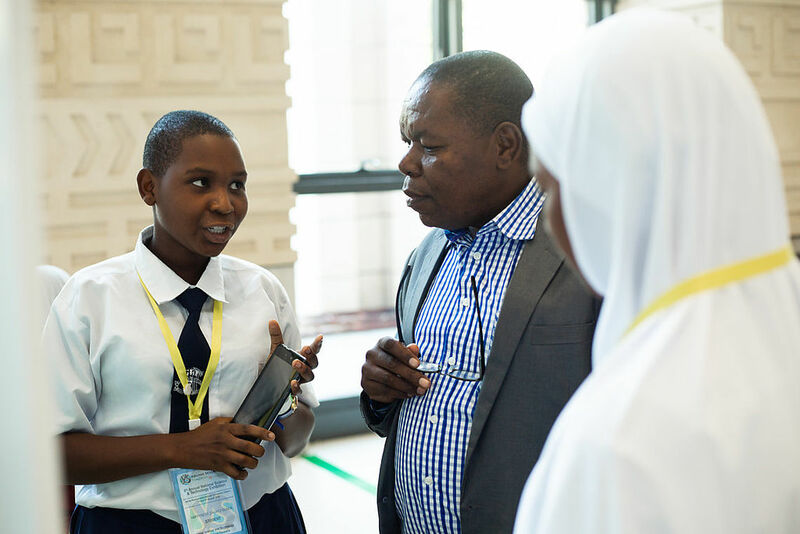 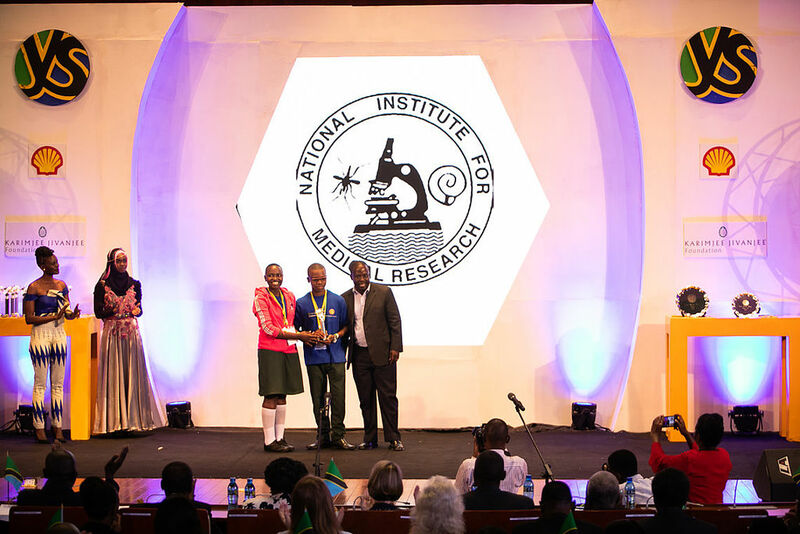 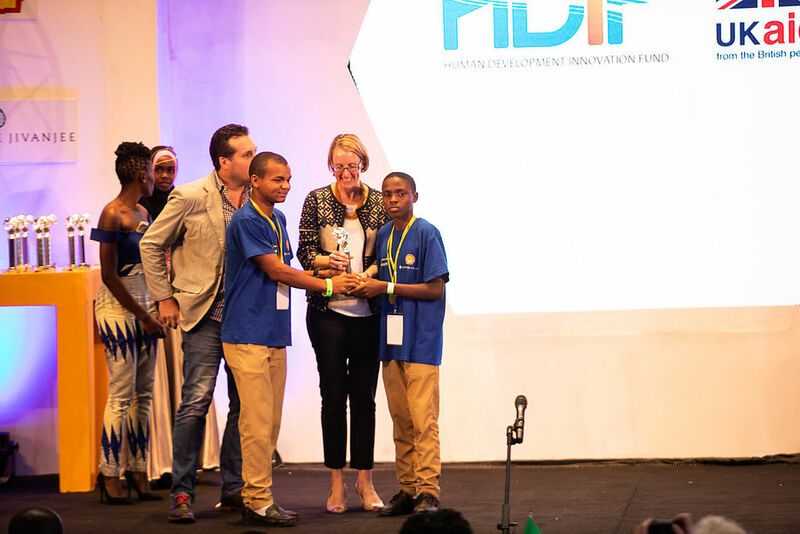 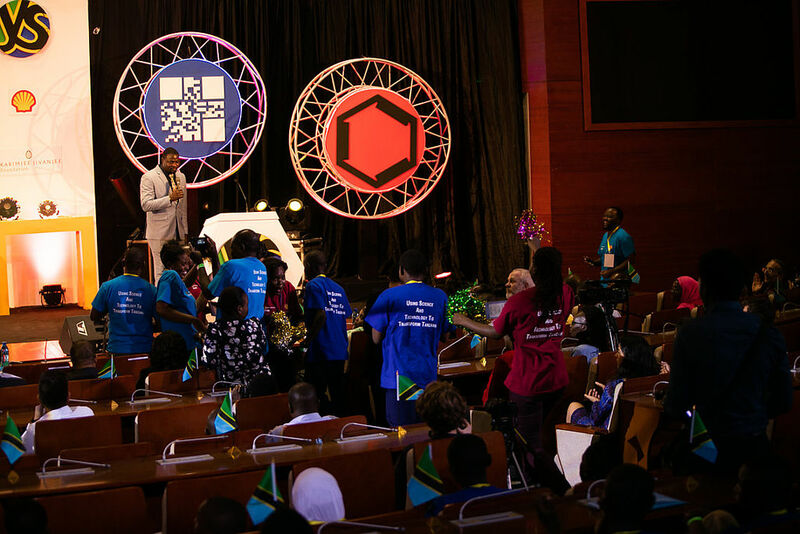 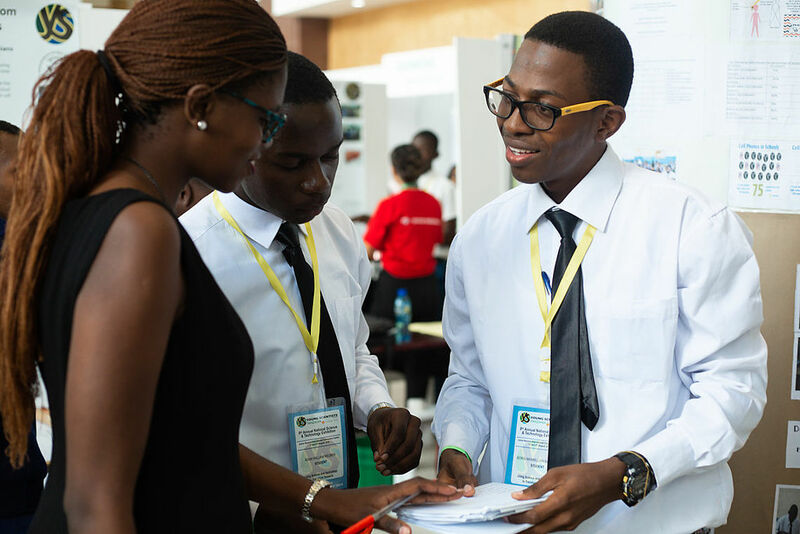 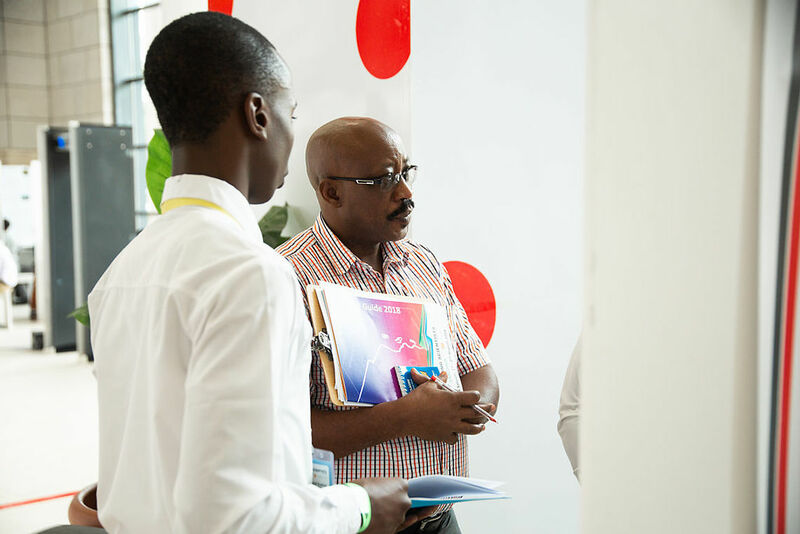 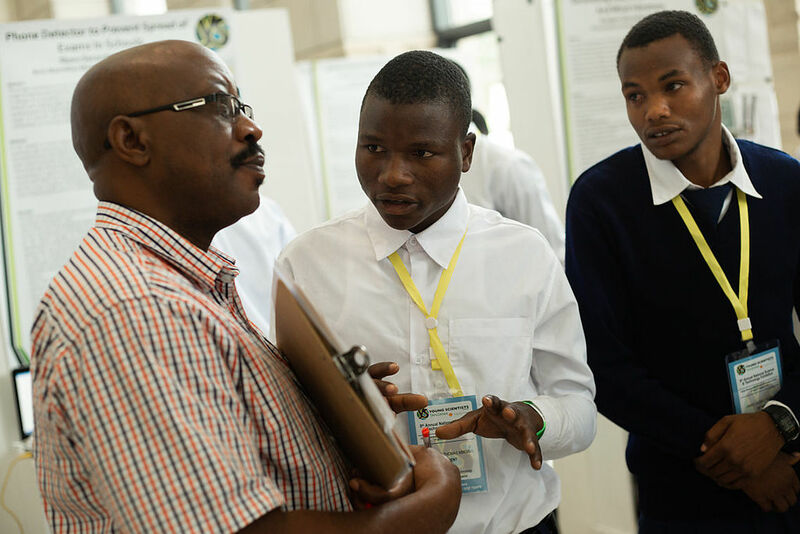 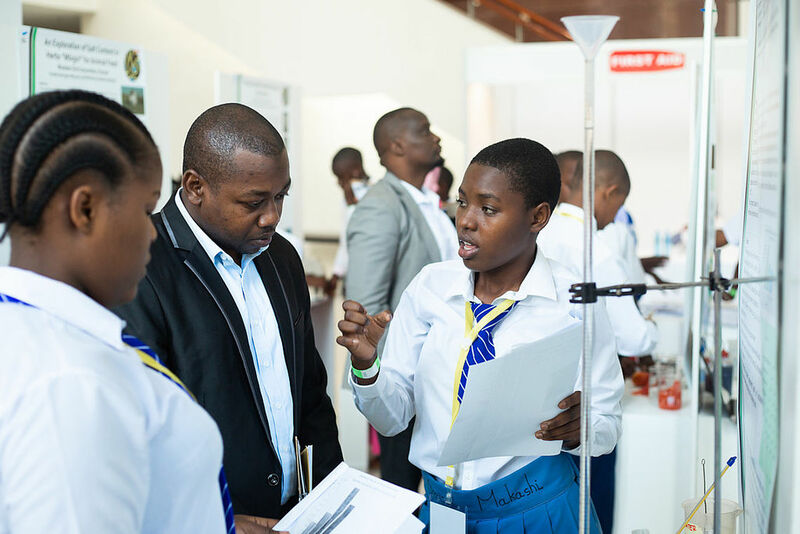 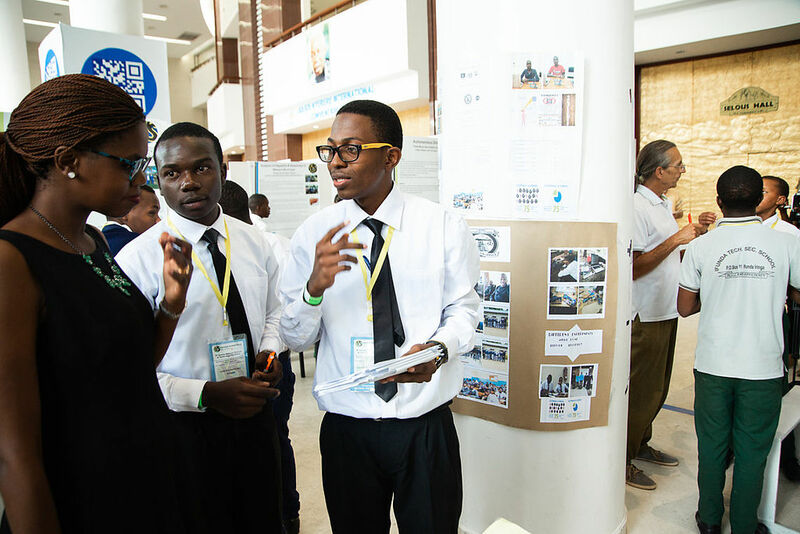 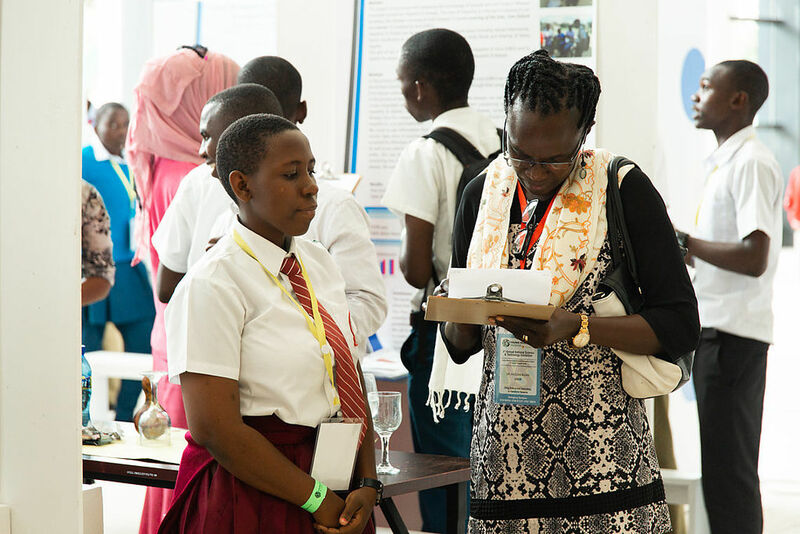 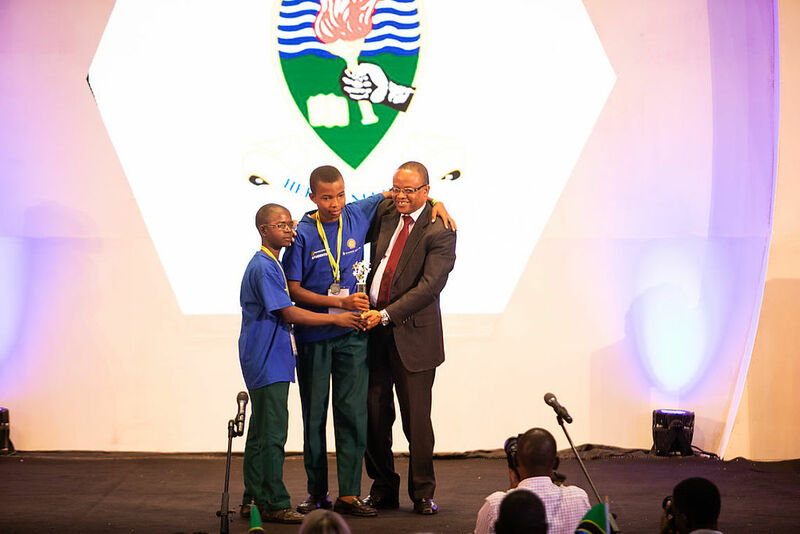 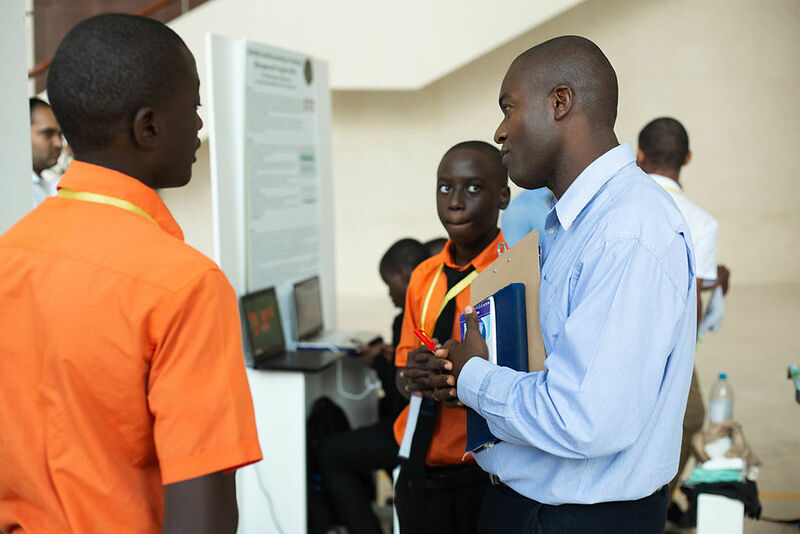 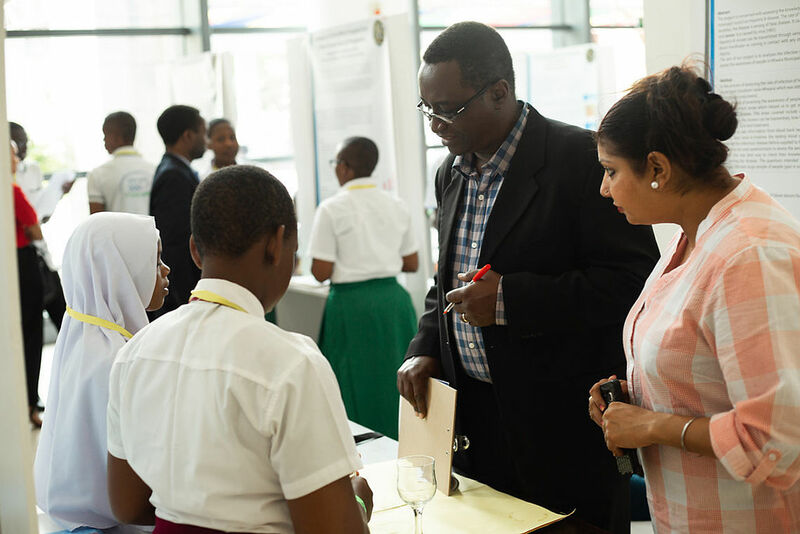 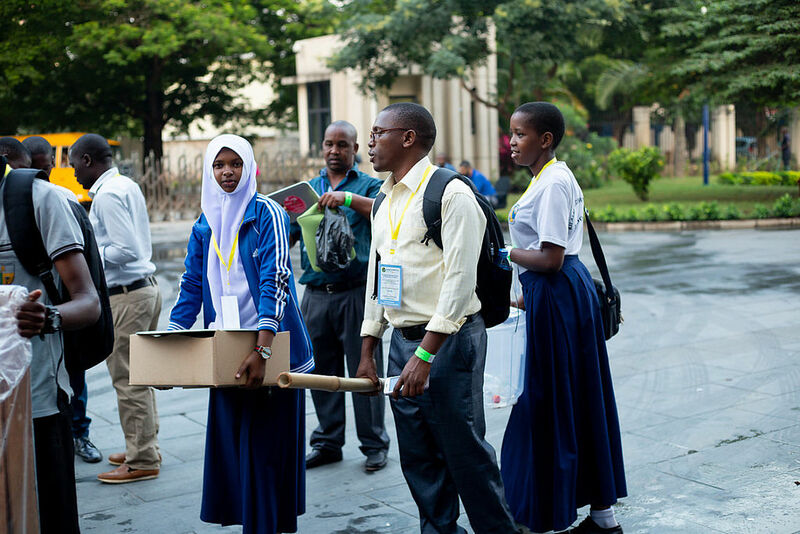 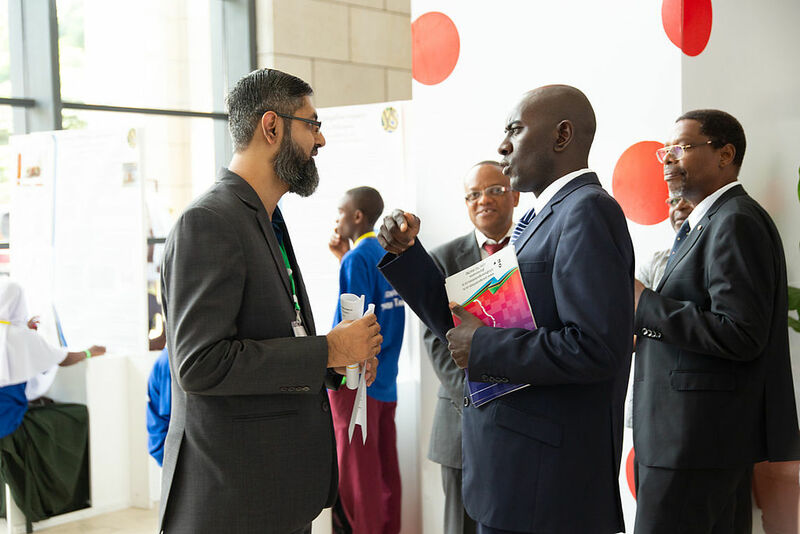 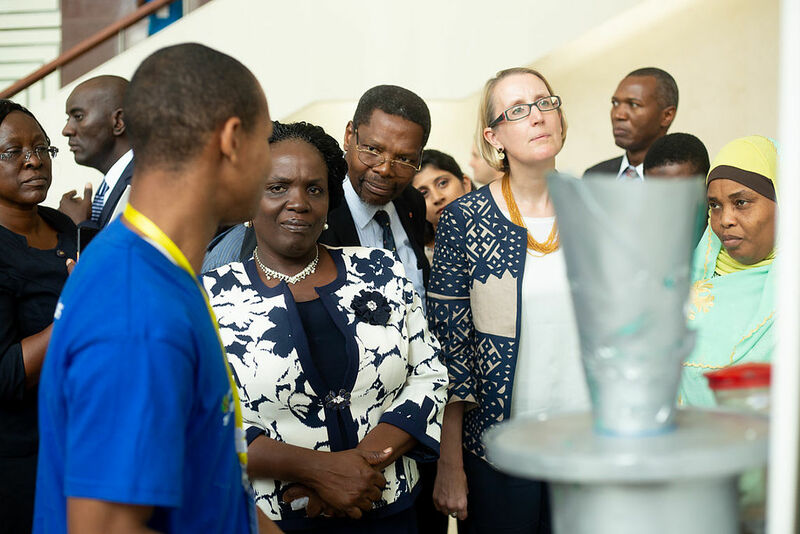 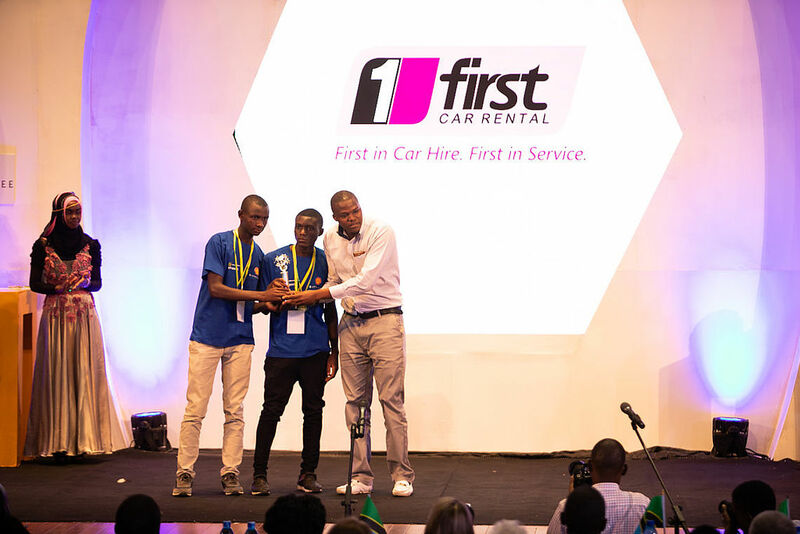 The first is a comprehensive Science Outreach Programme covering all regions in Tanzania and the second is an attractive high profile Annual YST Exhibition and competition in which secondary students showcase their research. 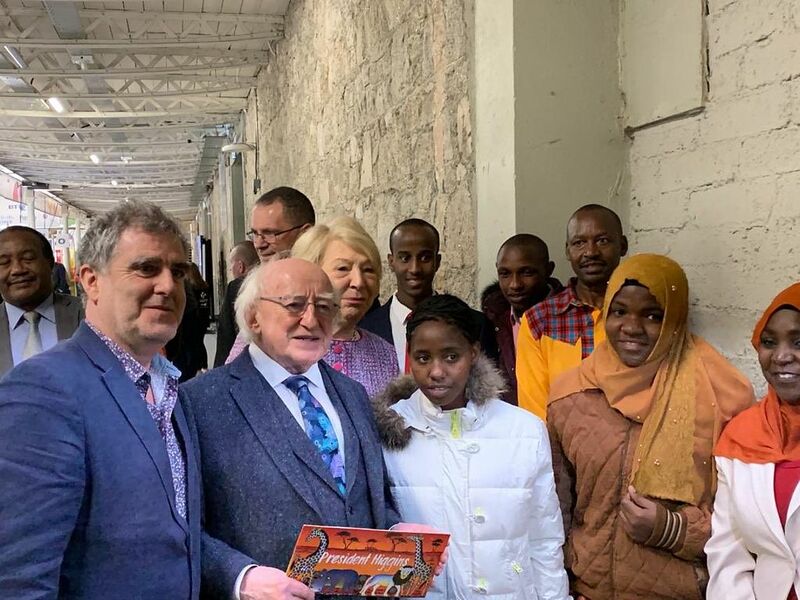 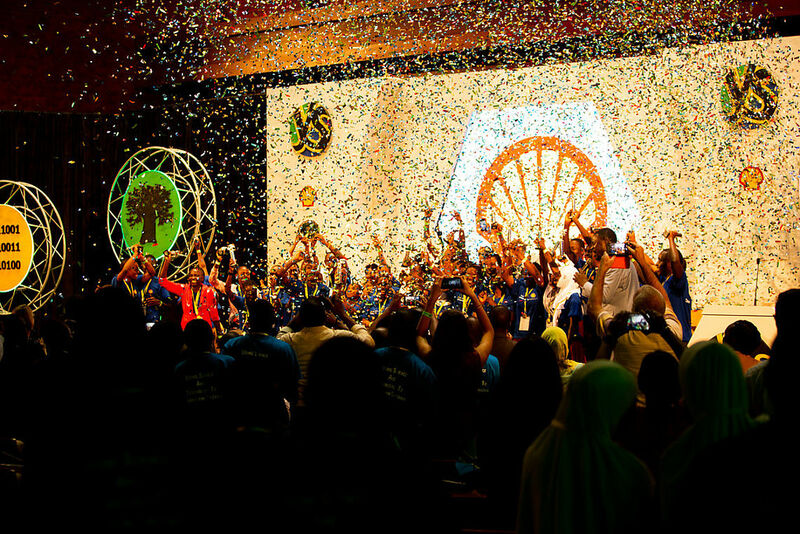 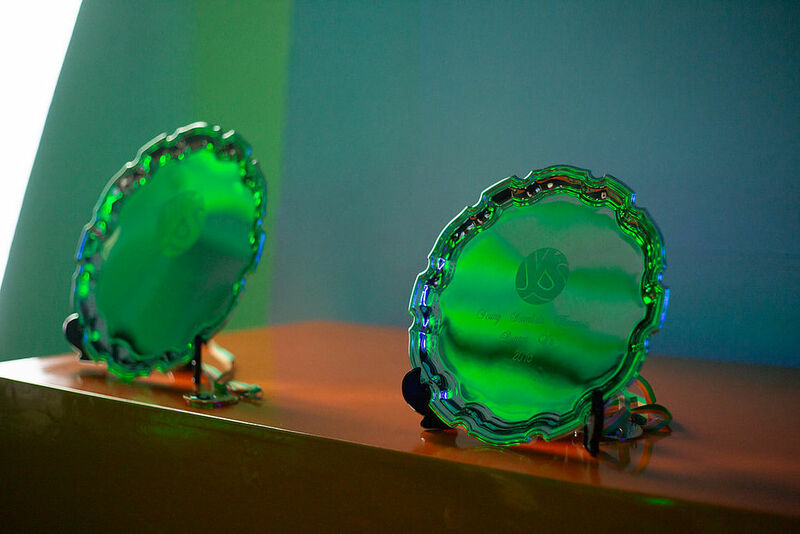 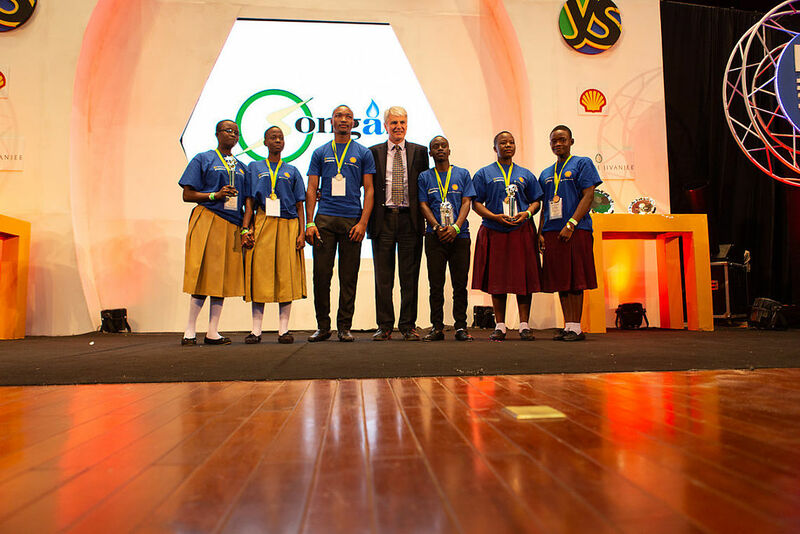 The Annual YST Exhibition component is based on the Young Scientist model in Ireland. 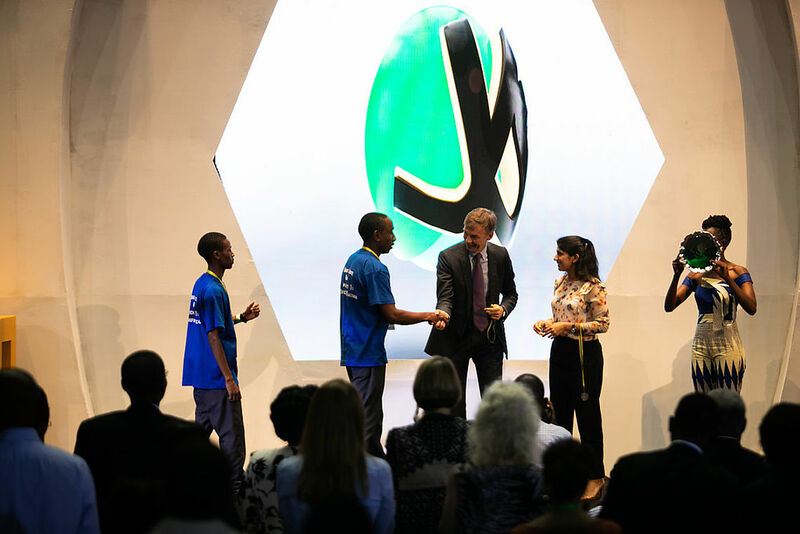 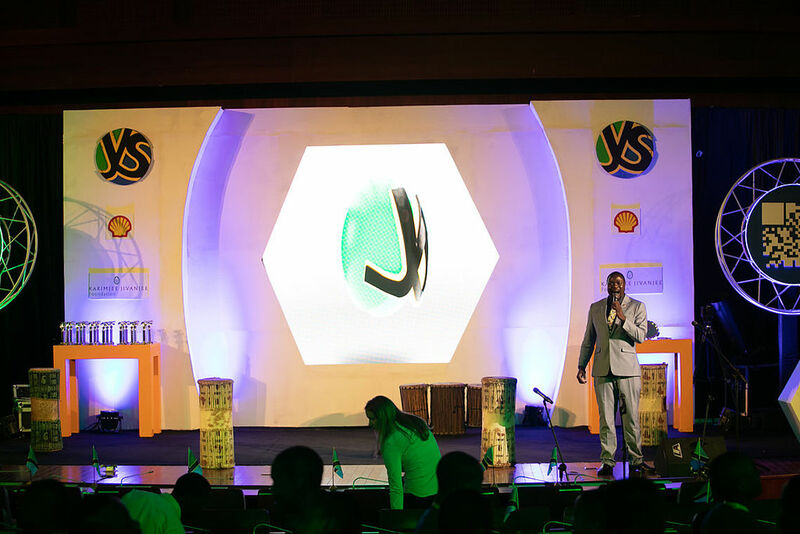 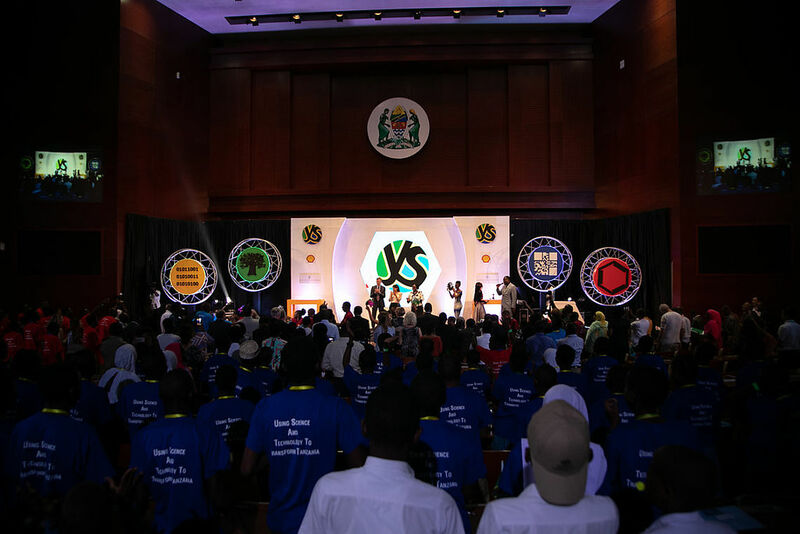 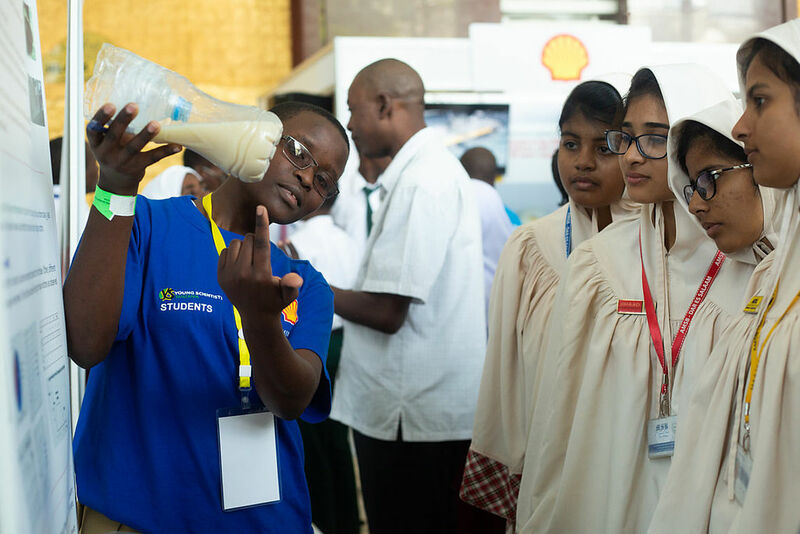 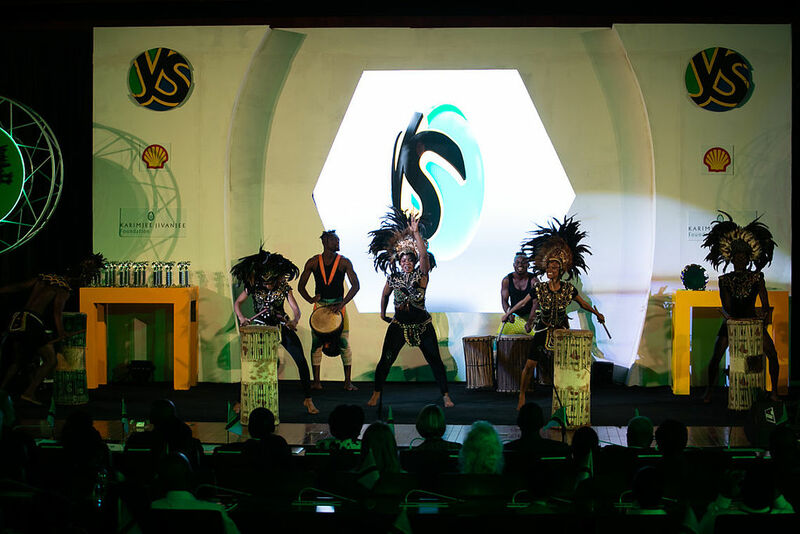 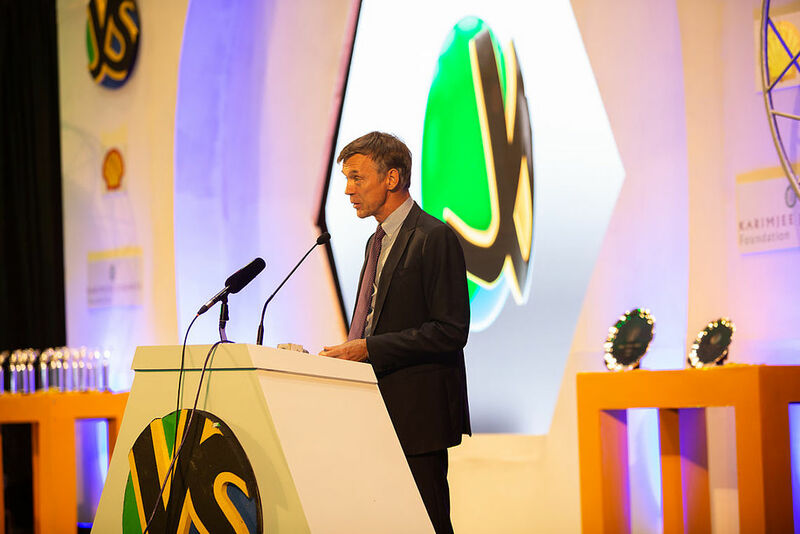 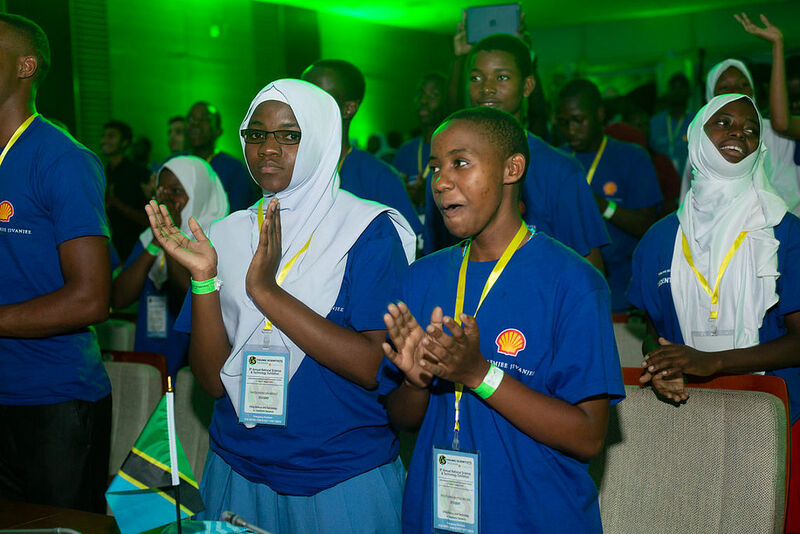 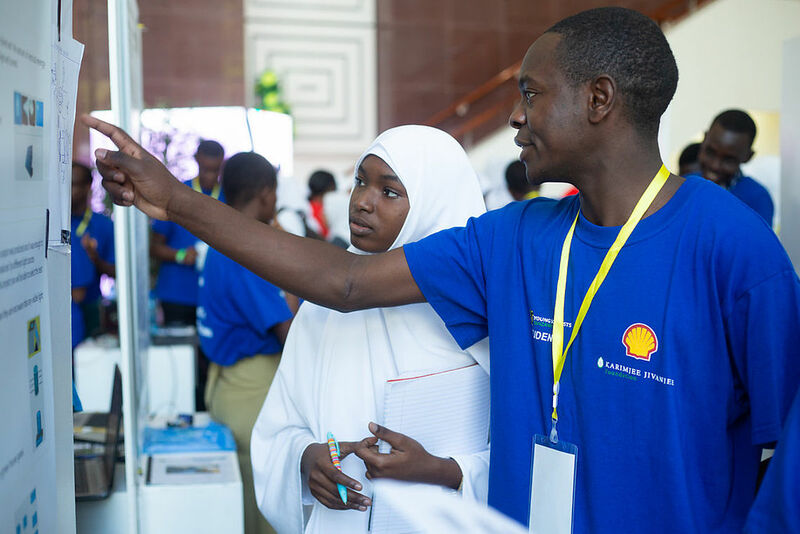 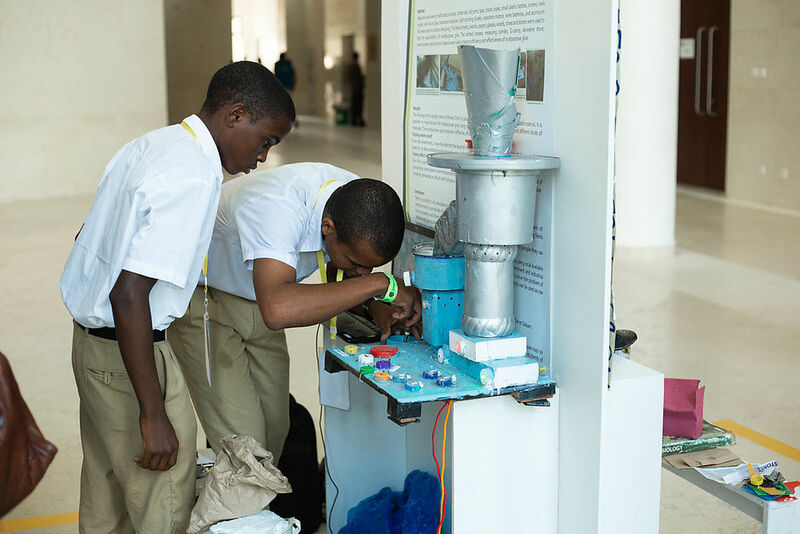 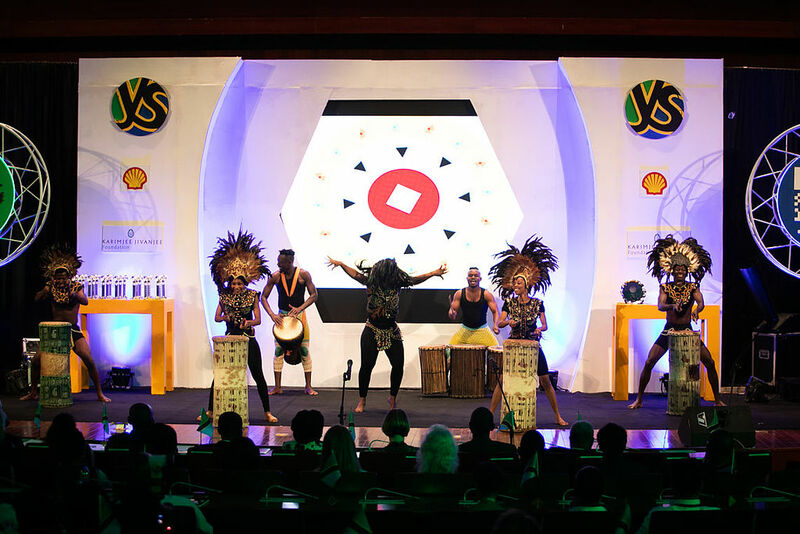 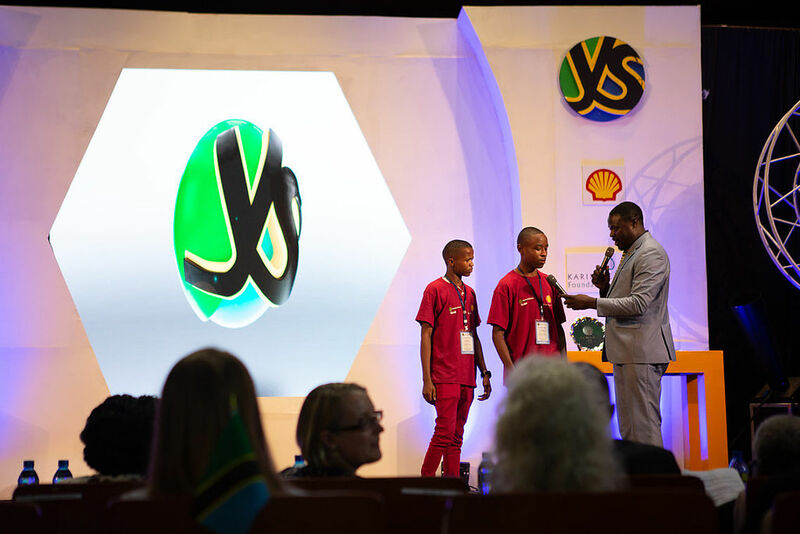 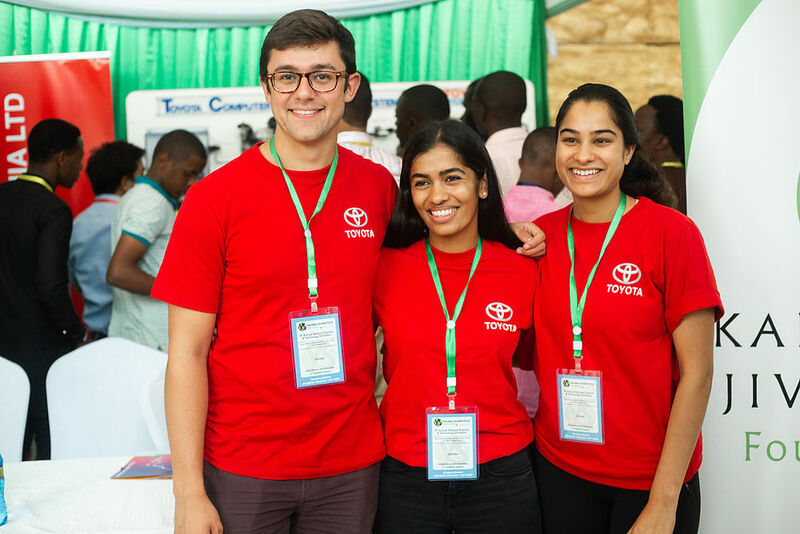 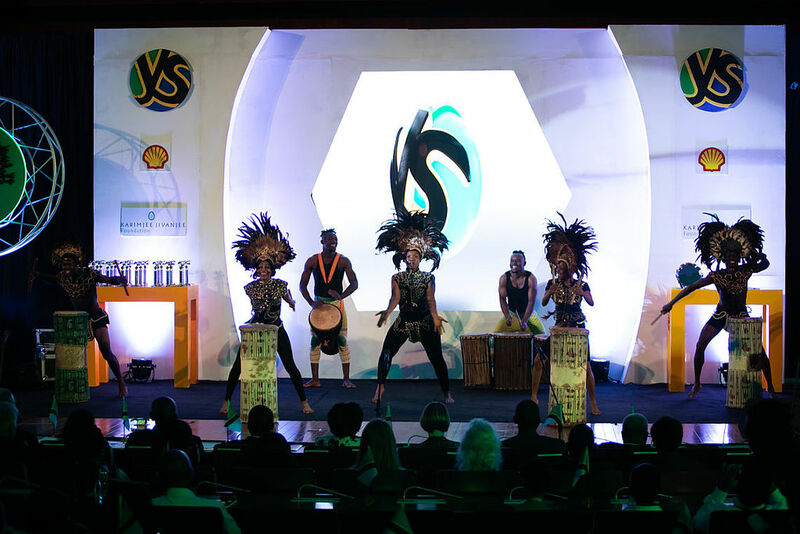 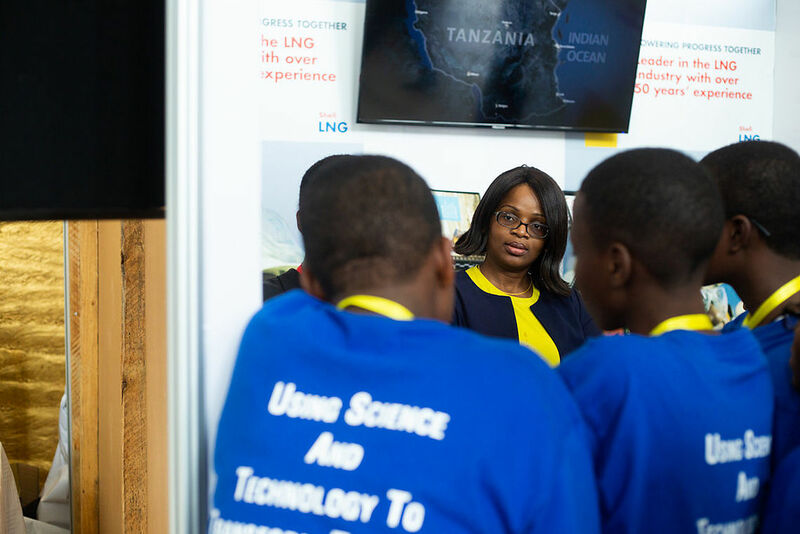 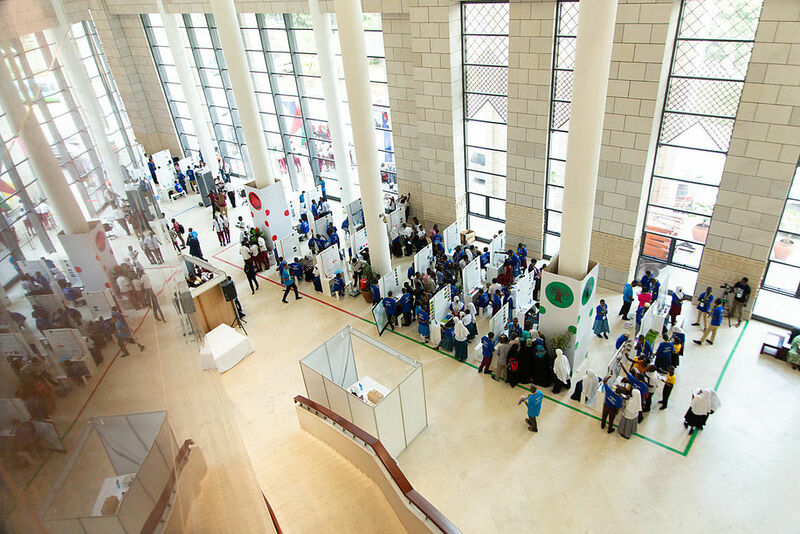 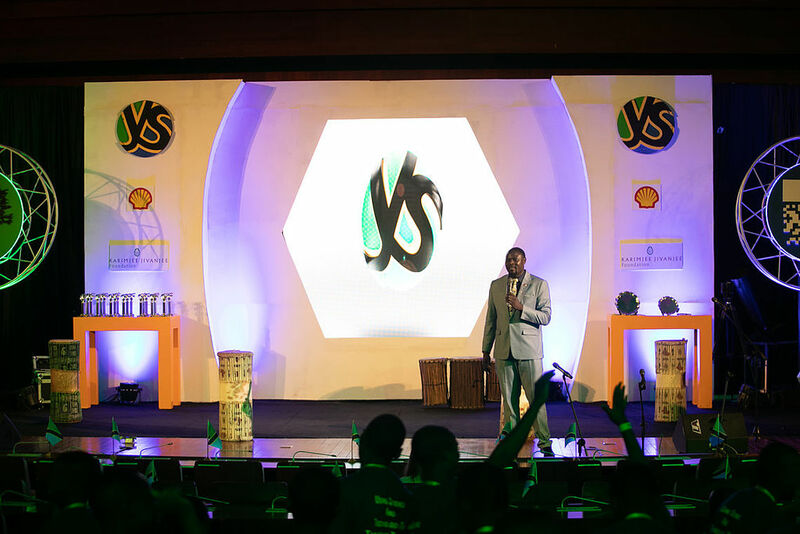 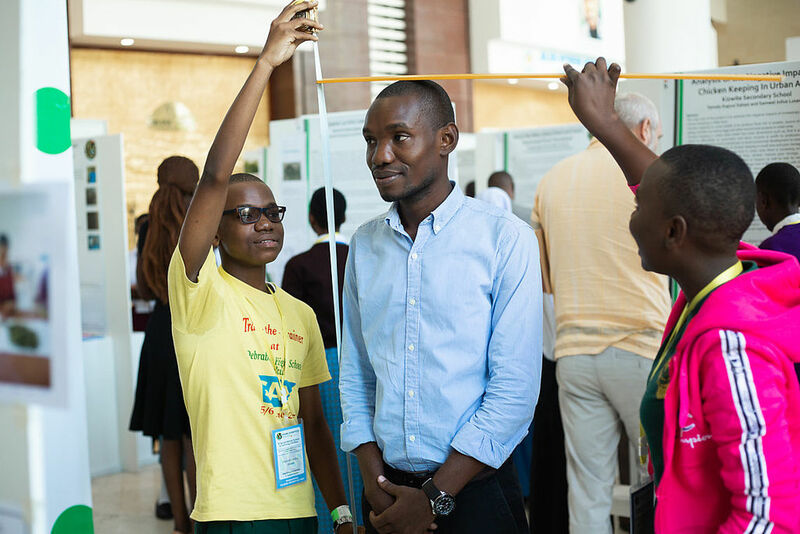 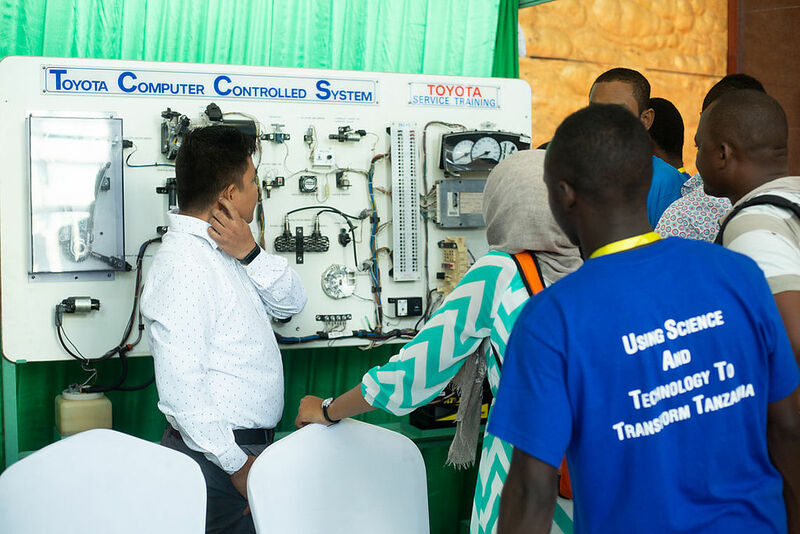 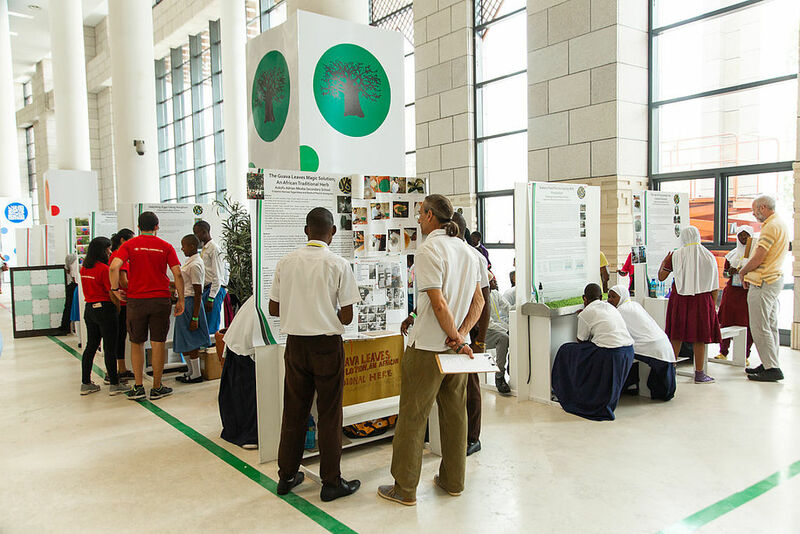 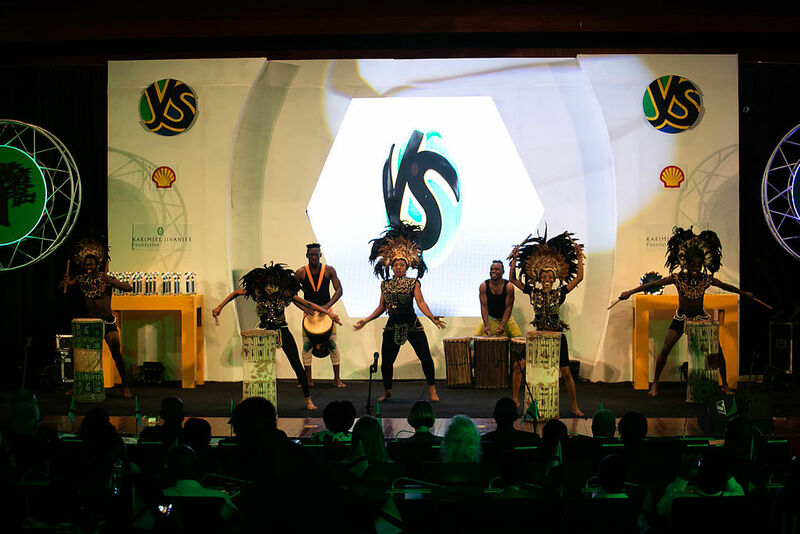 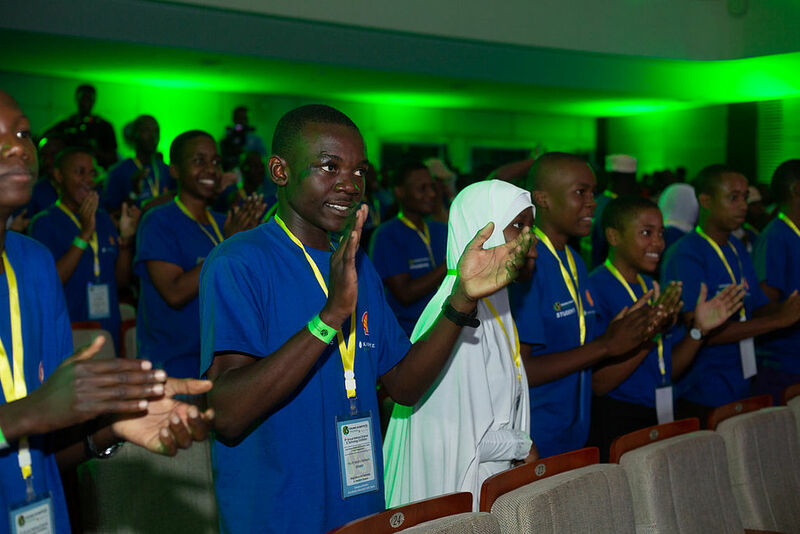 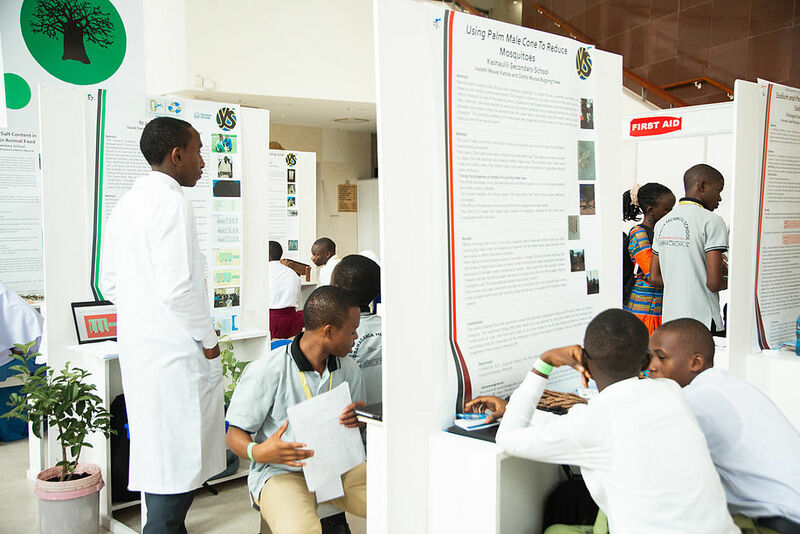 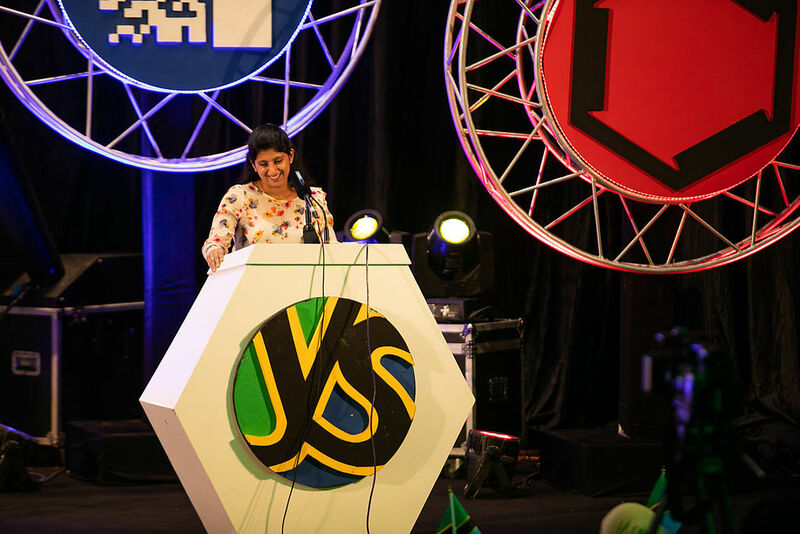 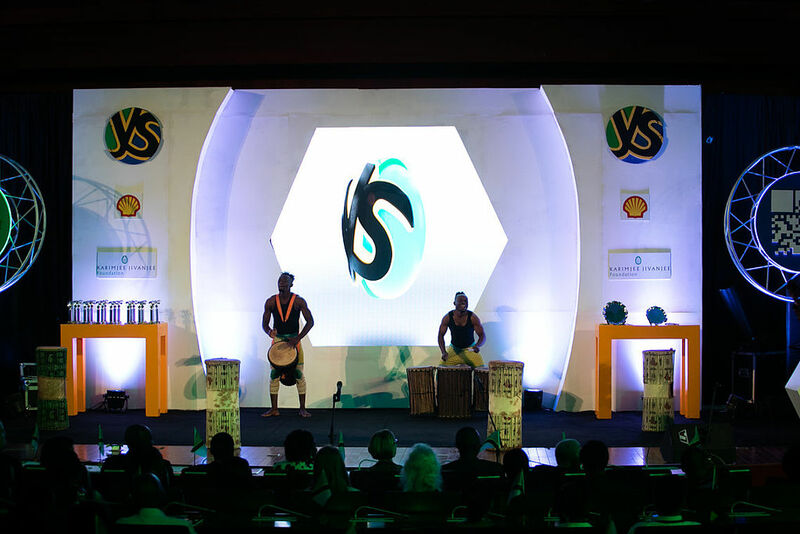 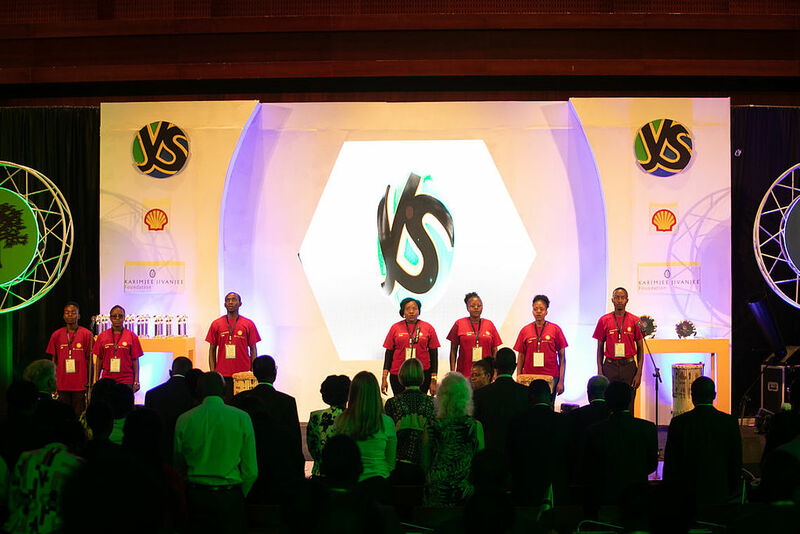 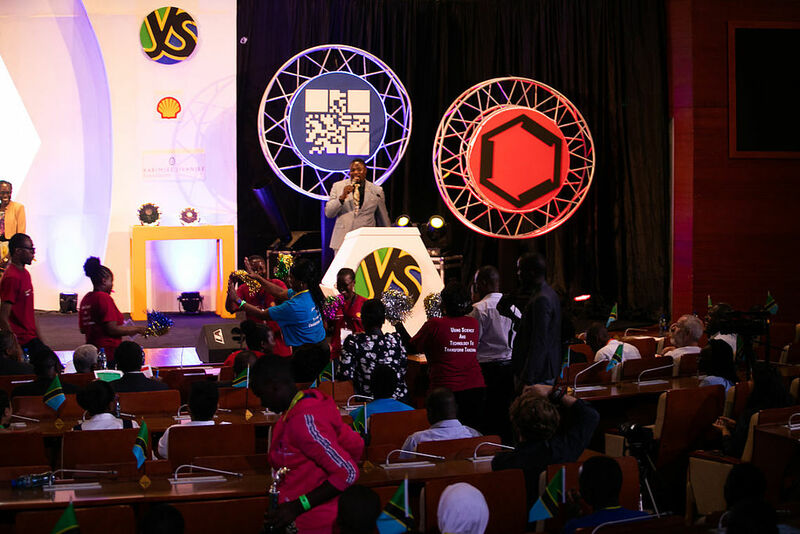 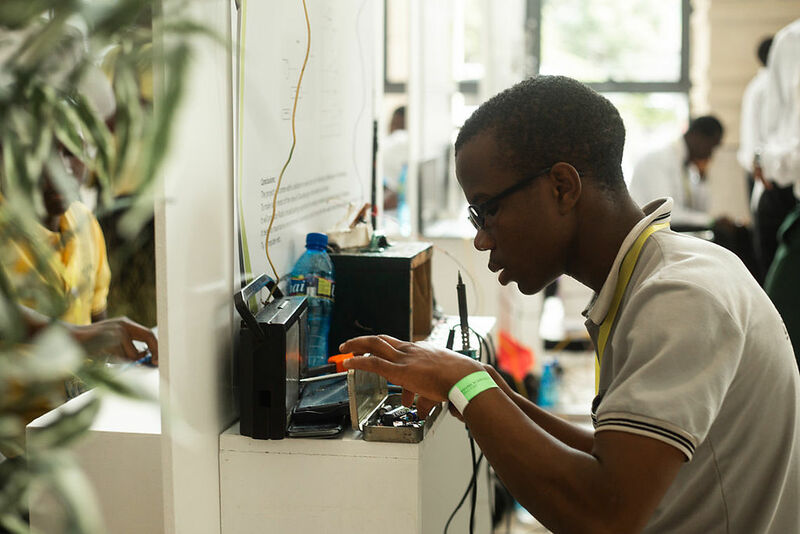 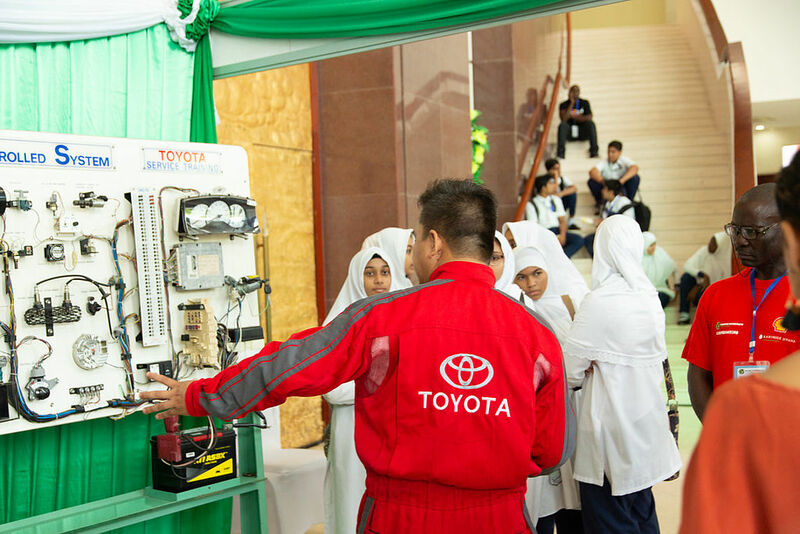 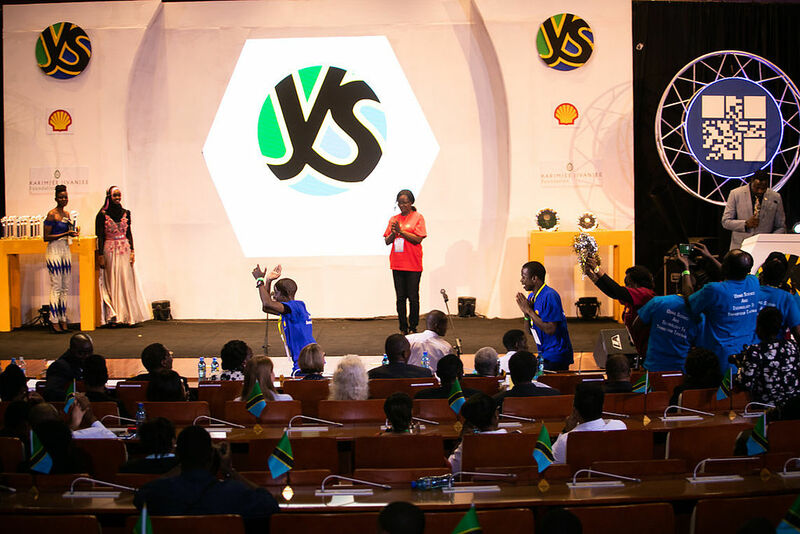 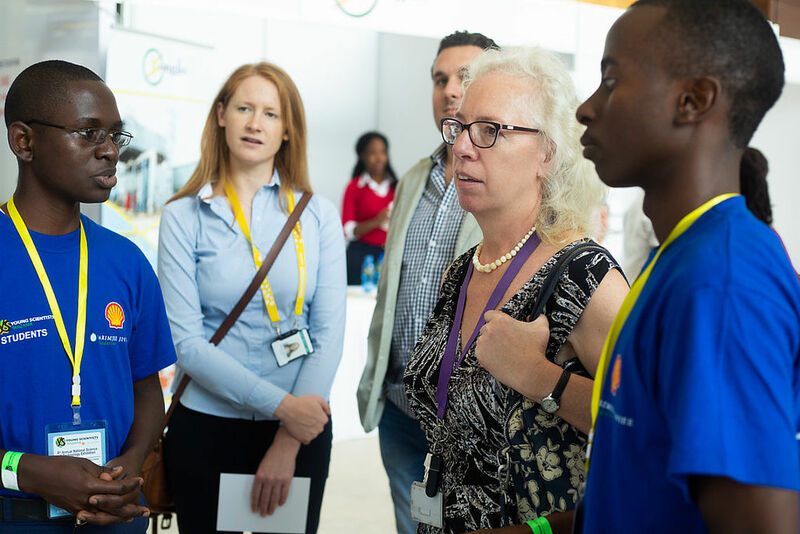 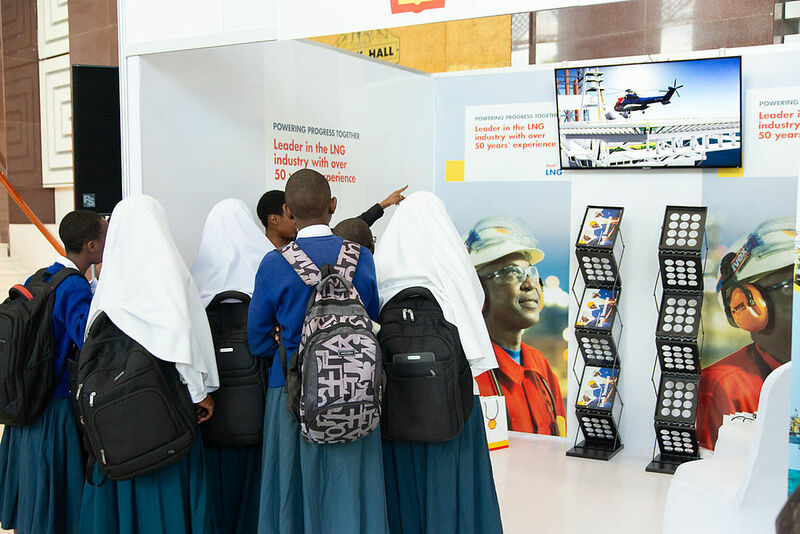 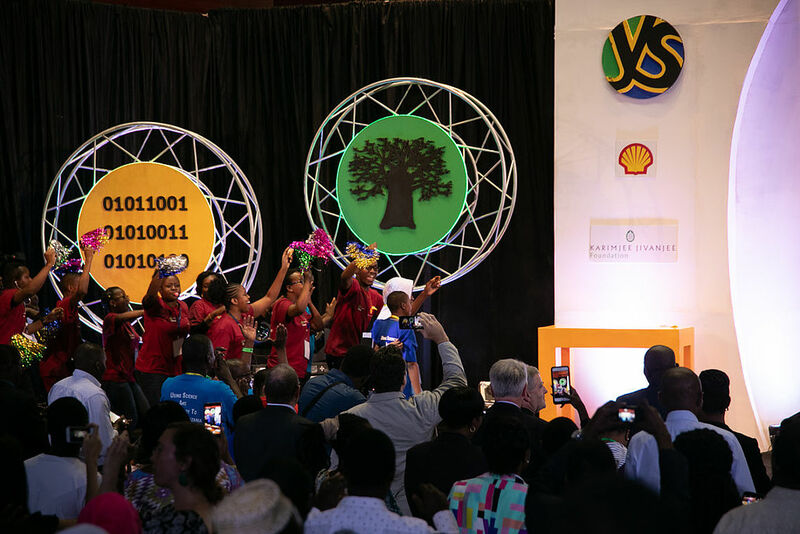 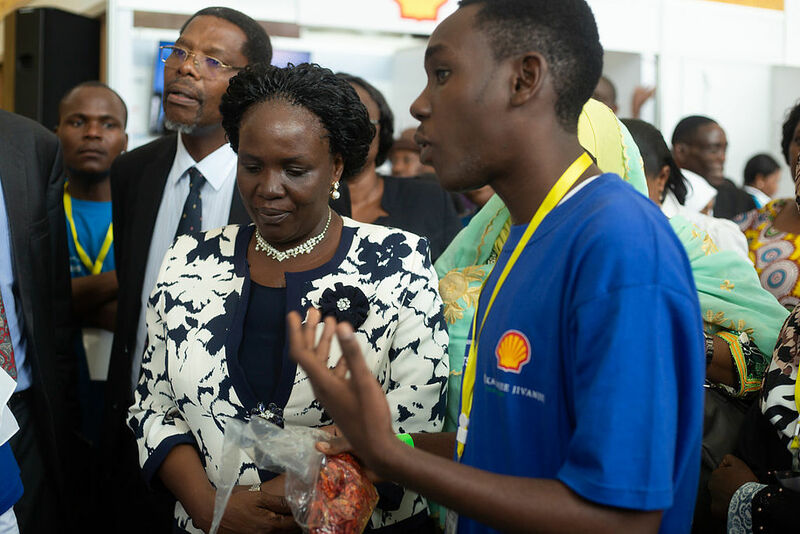 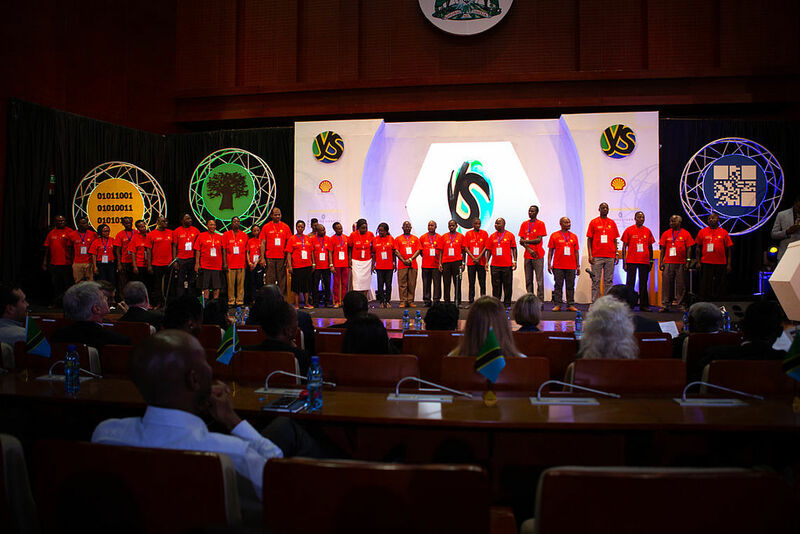 In Tanzania the Annual YST Exhibition is used to showcase the success of the of the students involved in the Science Outreach Programme. 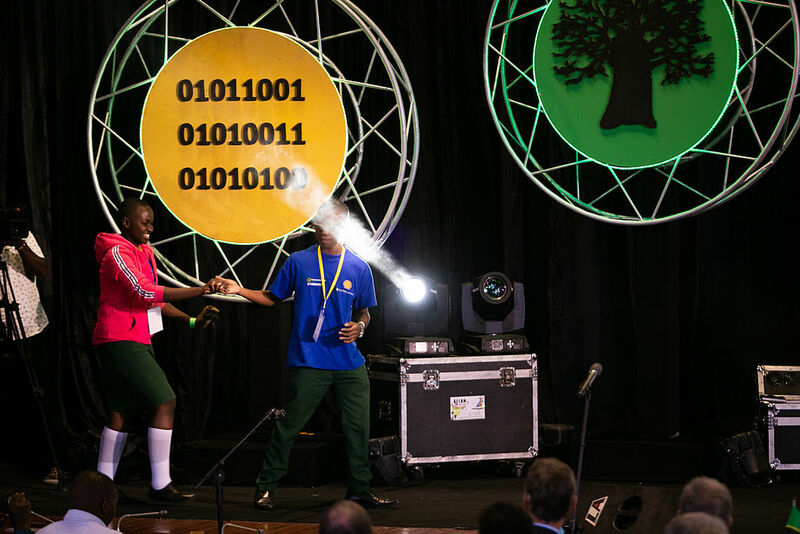 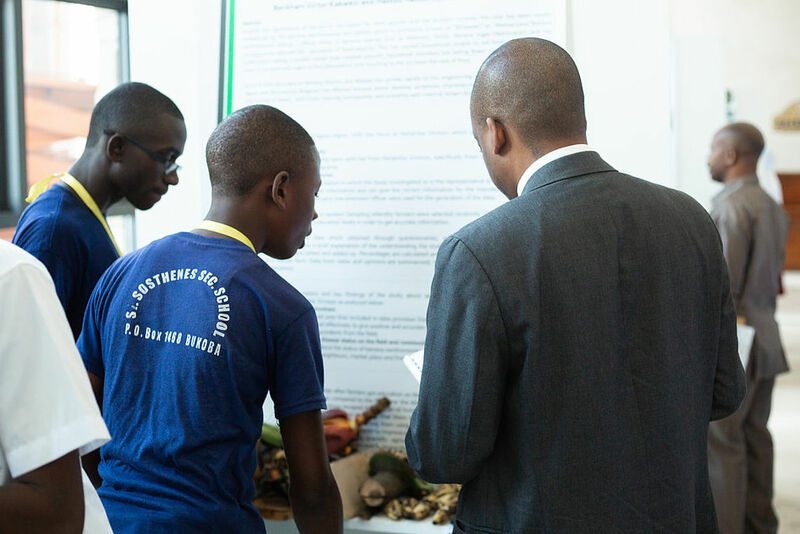 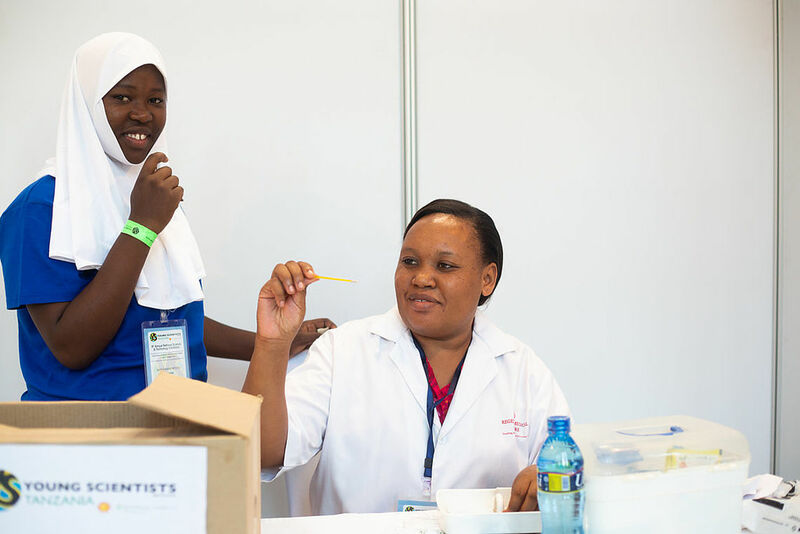 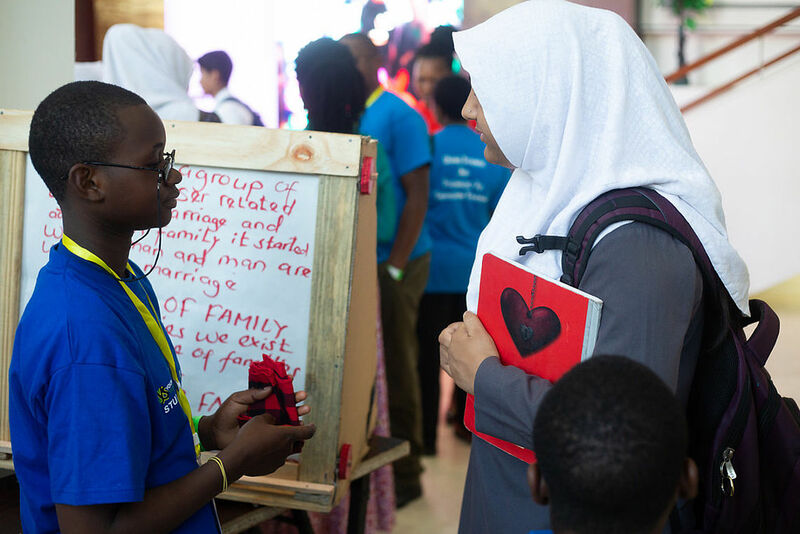 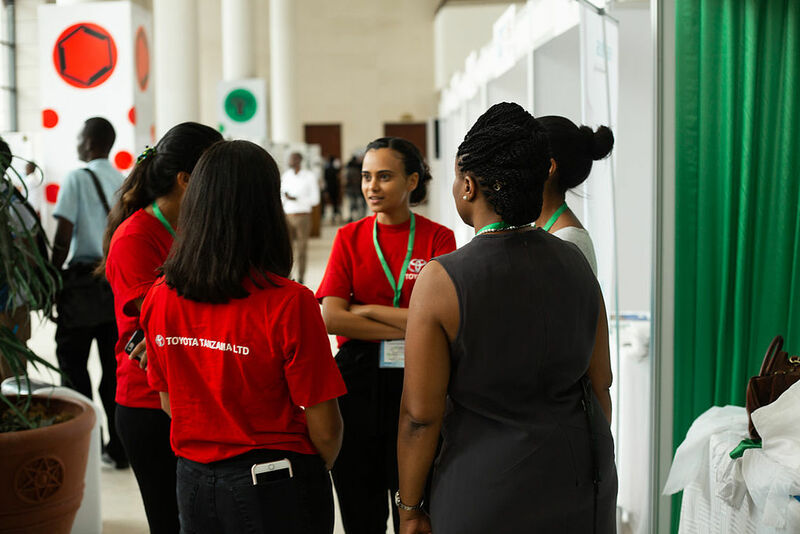 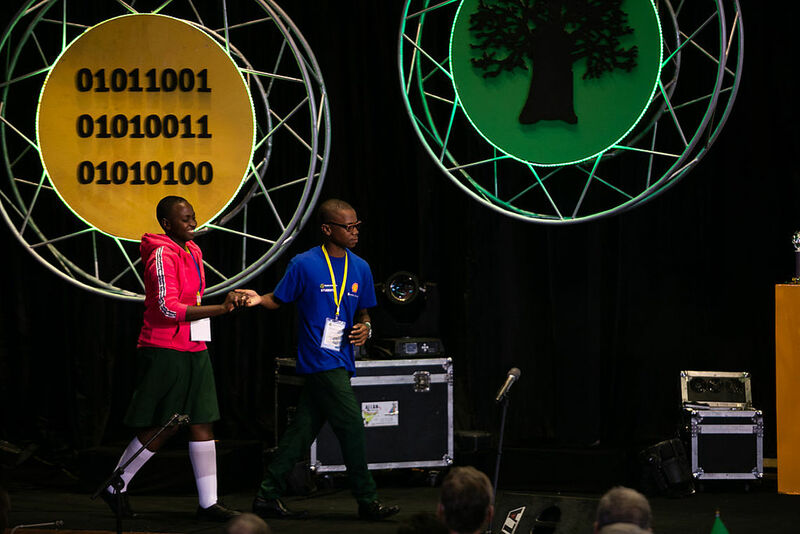 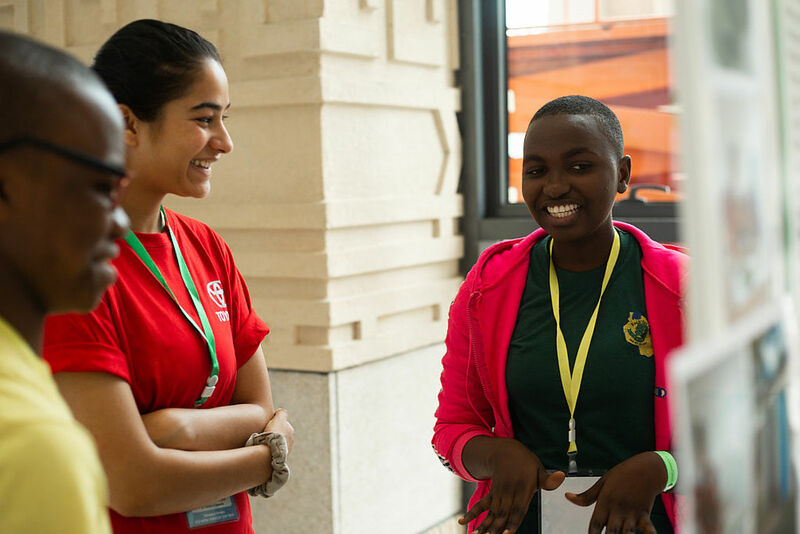 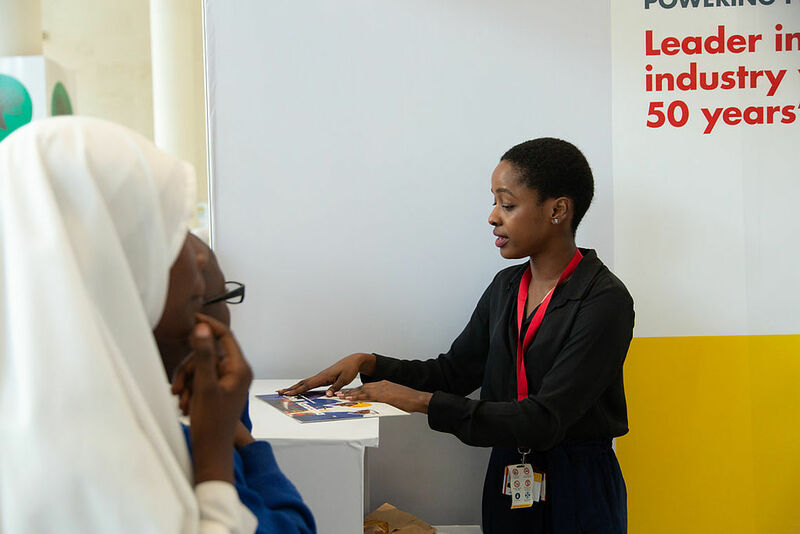 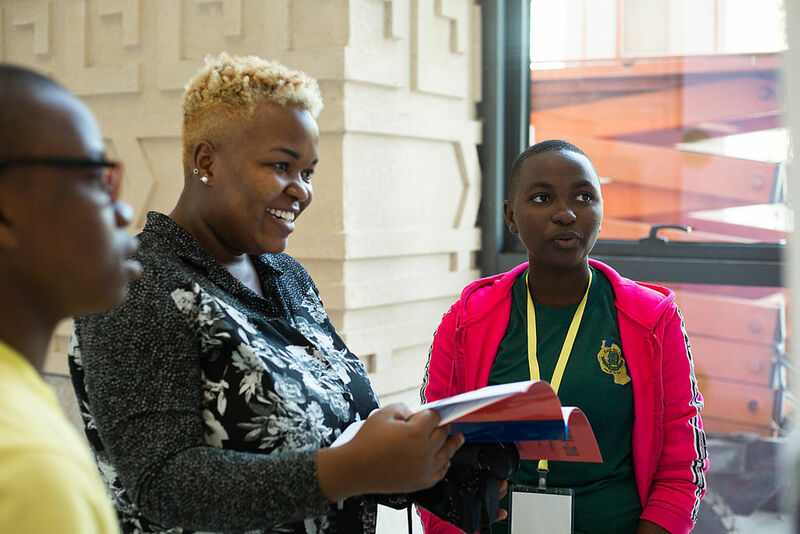 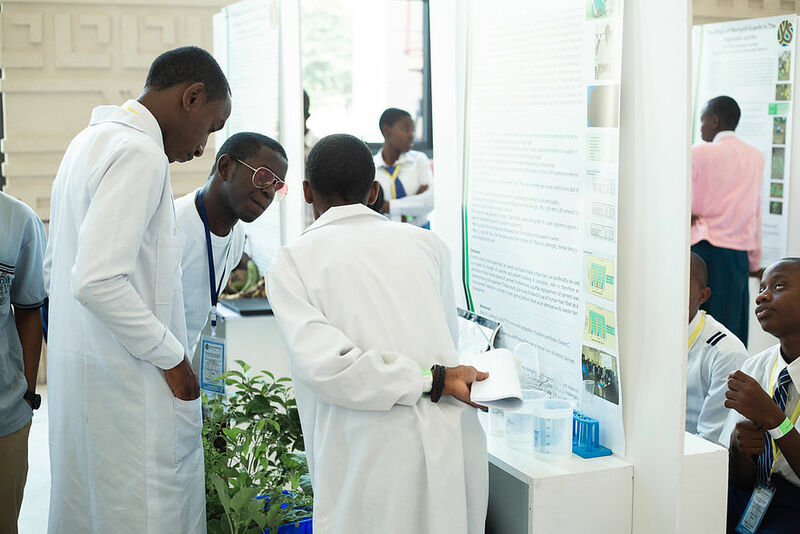 The Science Outreach Programme is an indigenous independent programme developed by YST to add value to the YST Exhibition and in doing so, develops a much-needed Science Culture in Tanzania. 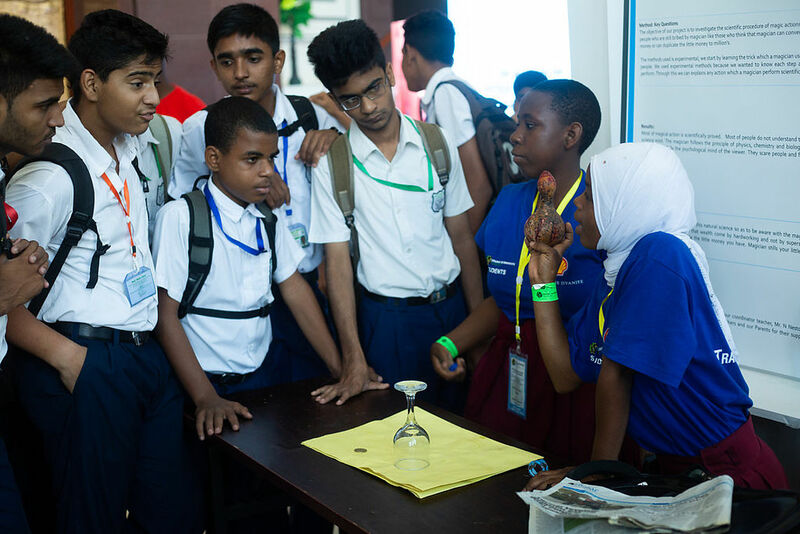 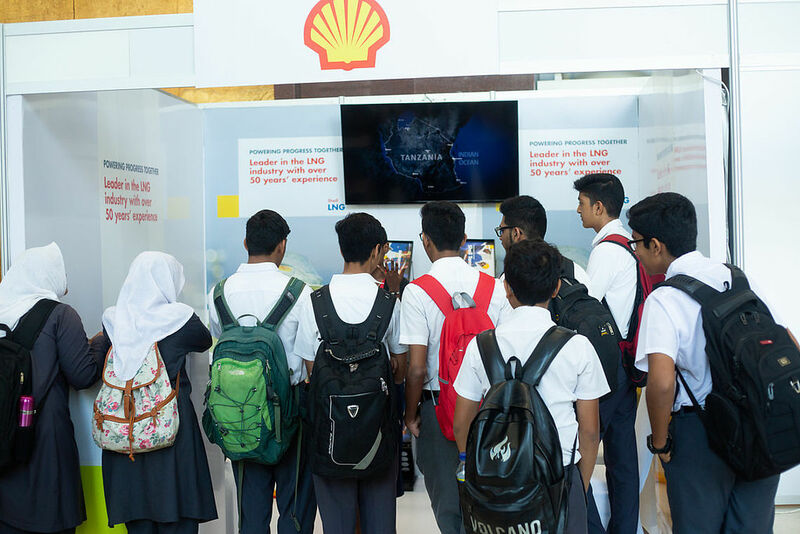 The Science Outreach Programme is the key component of YST as it builds much needed scientific capacity among young secondary level students and their teachers. 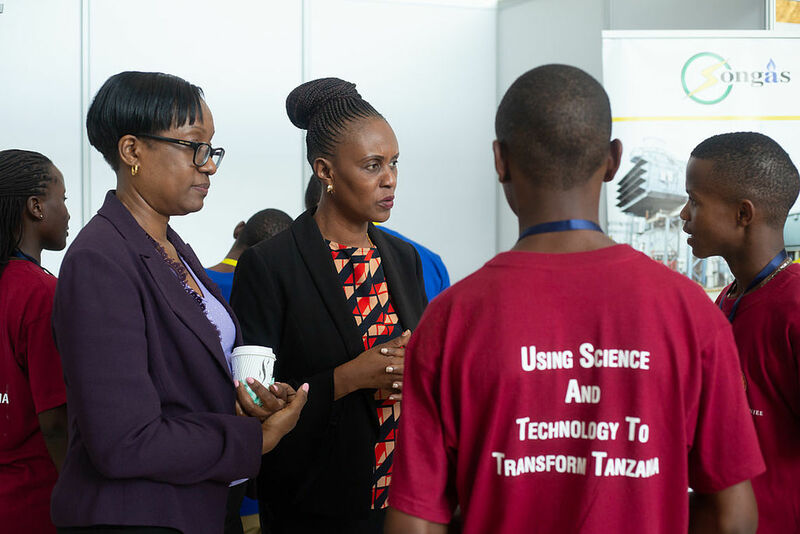 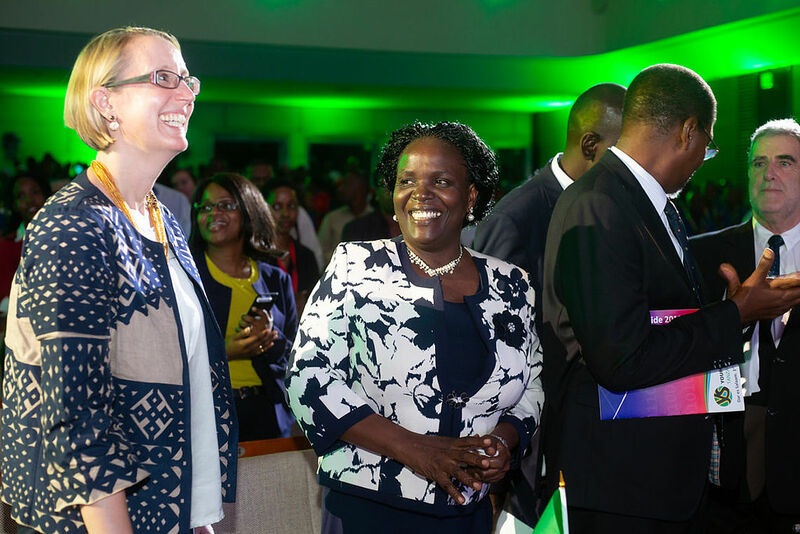 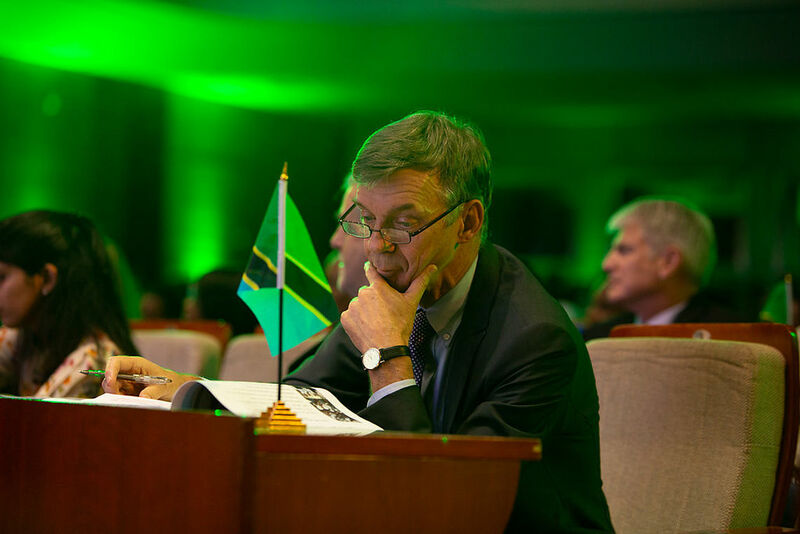 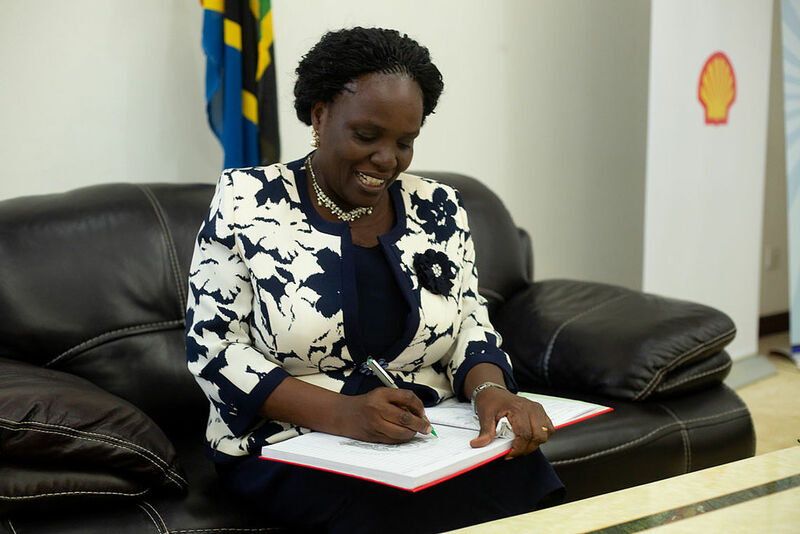 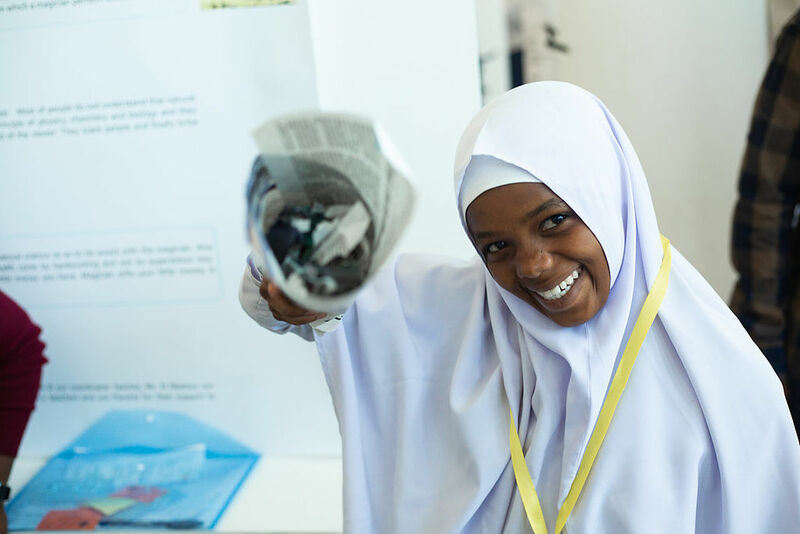 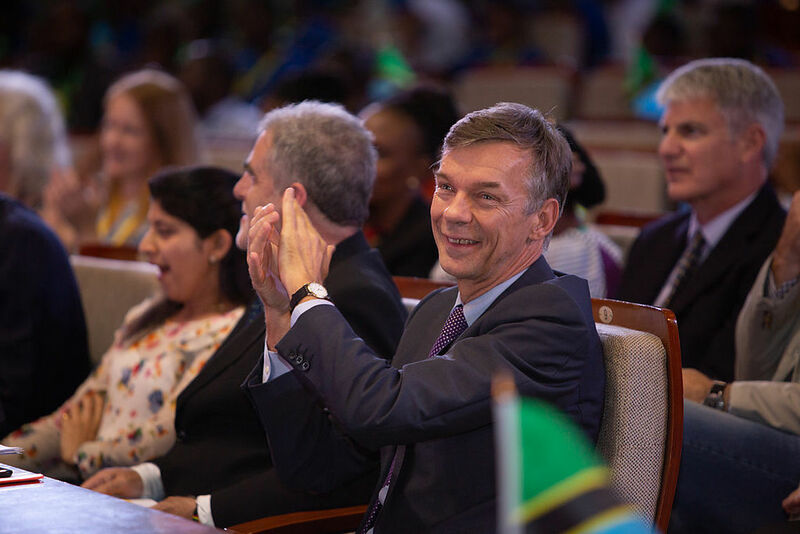 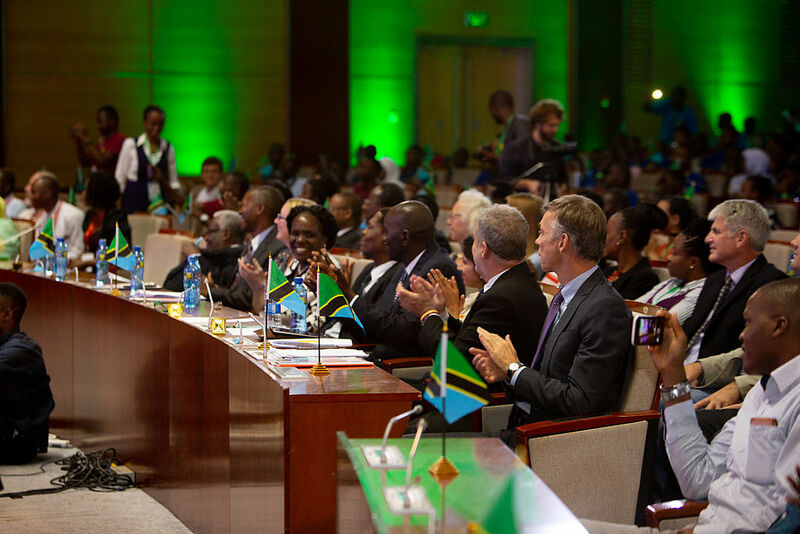 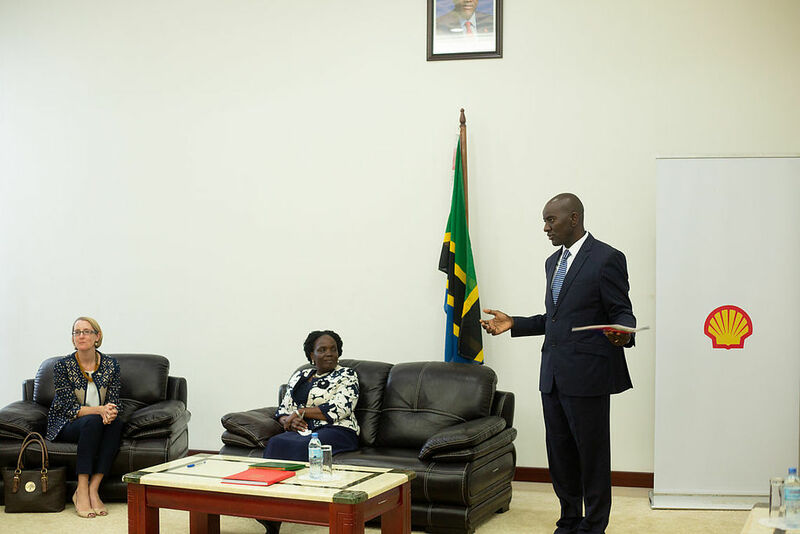 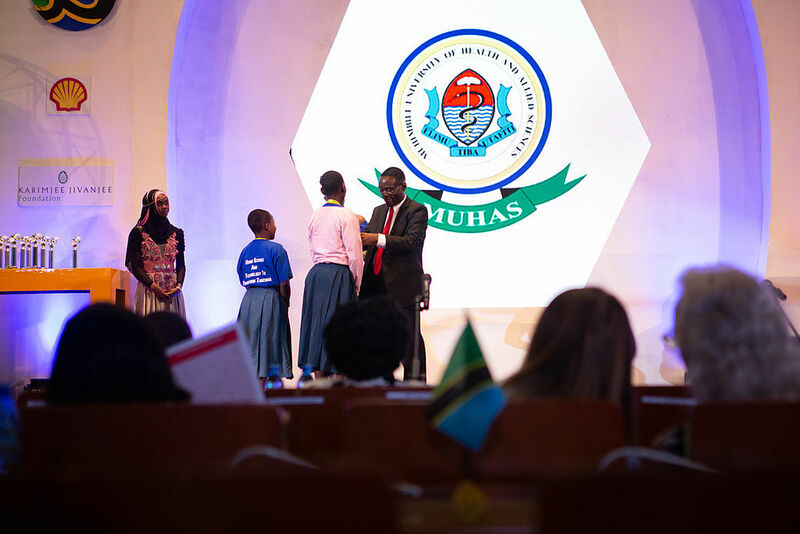 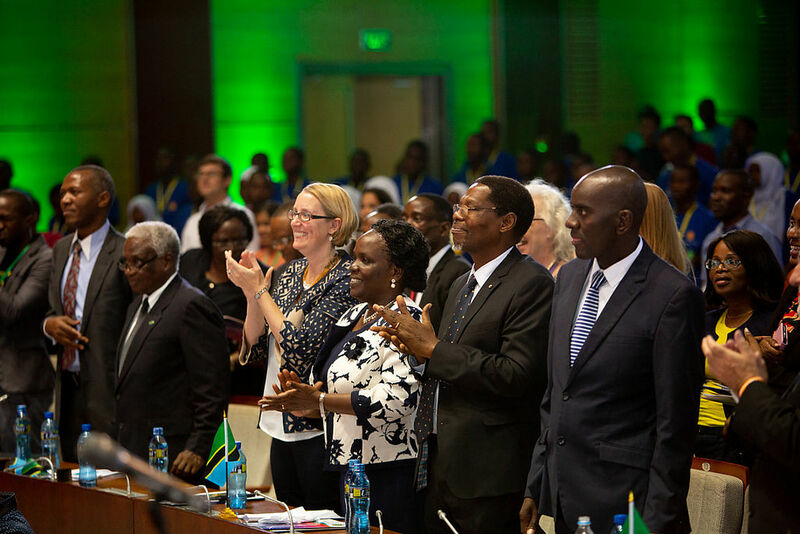 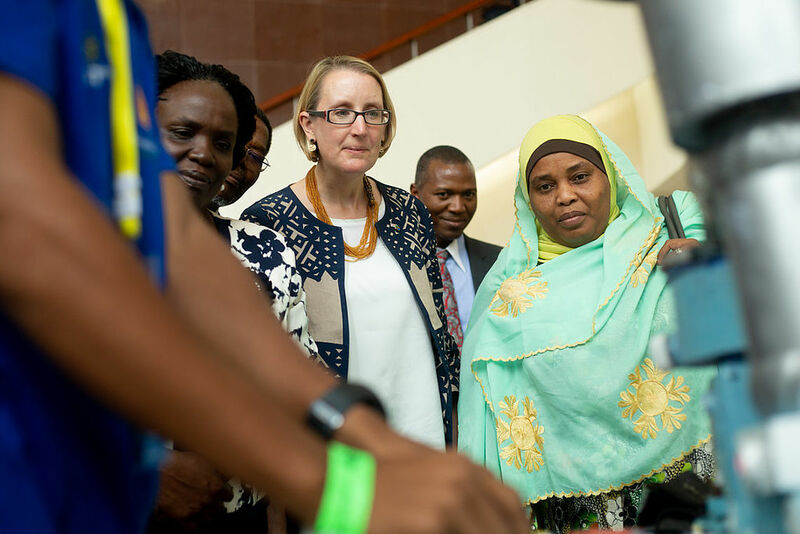 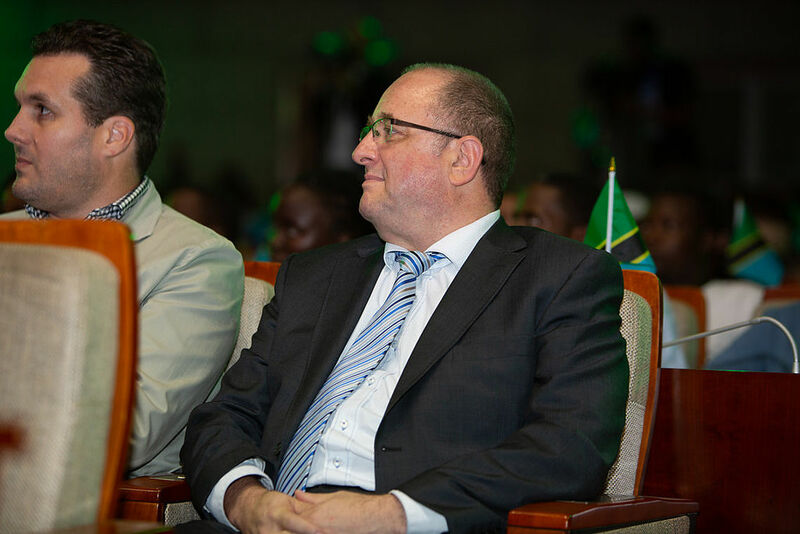 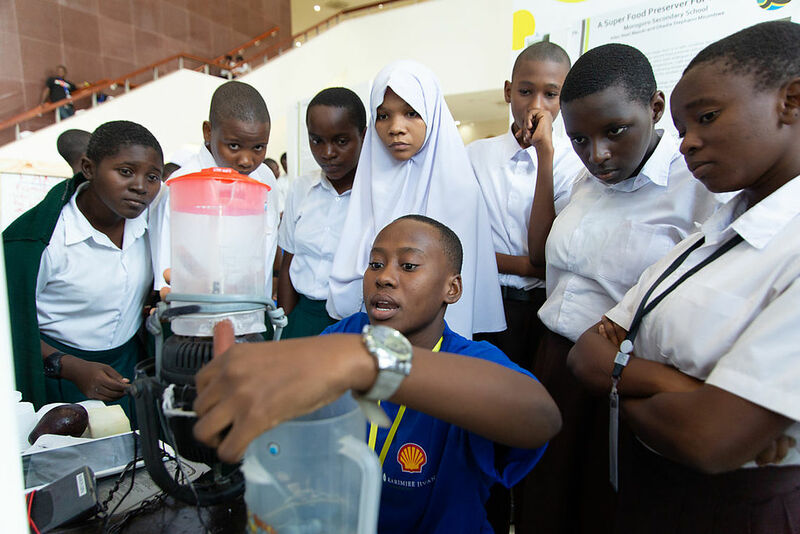 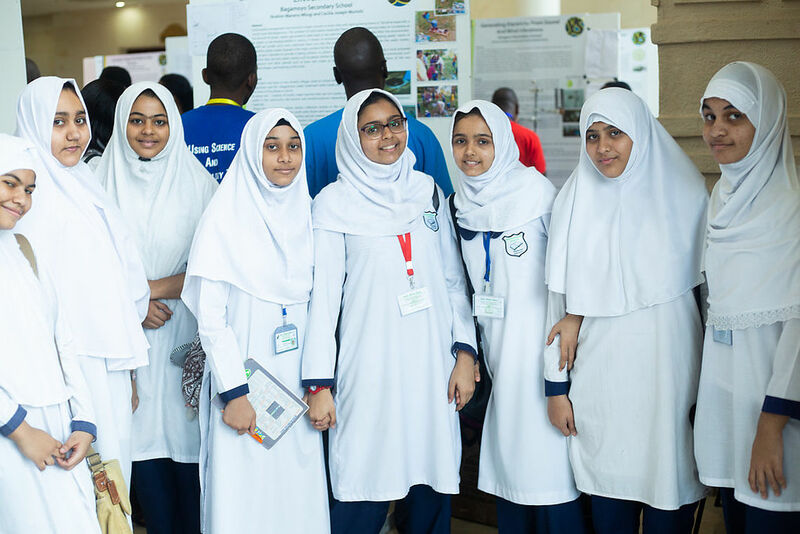 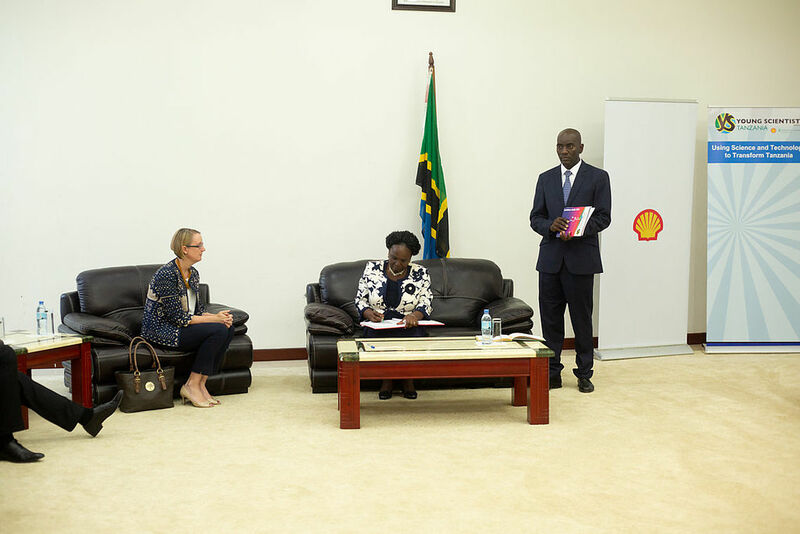 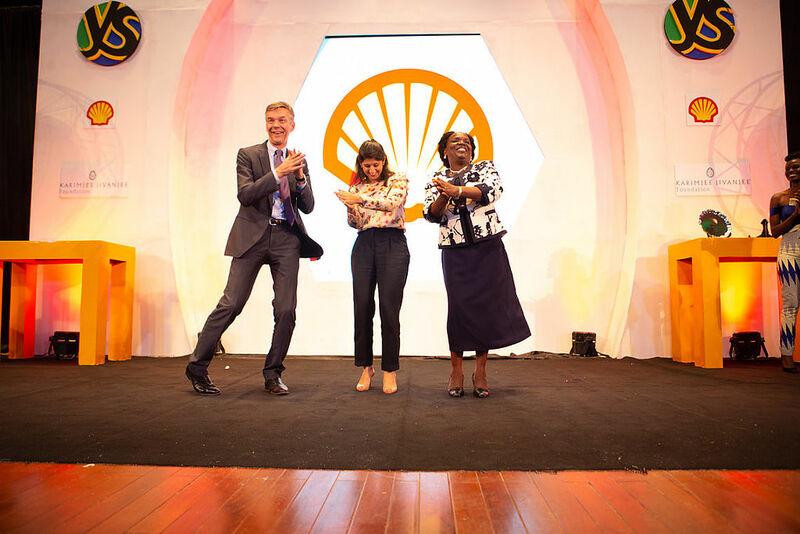 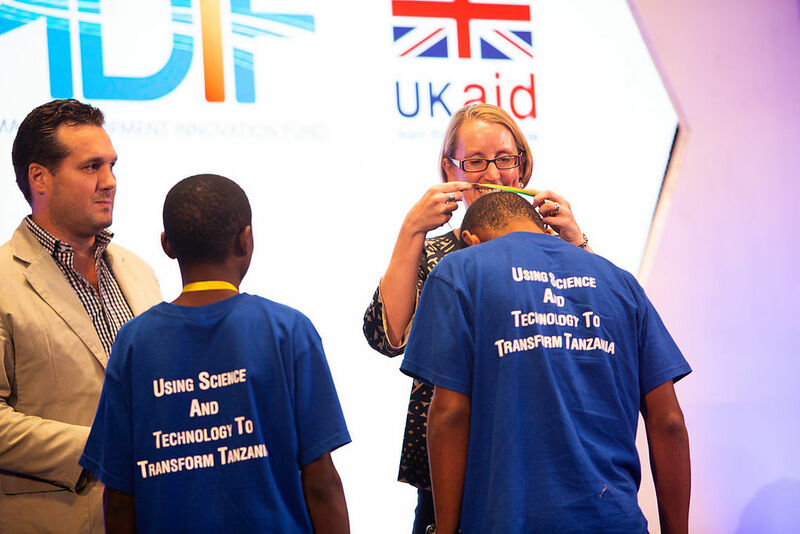 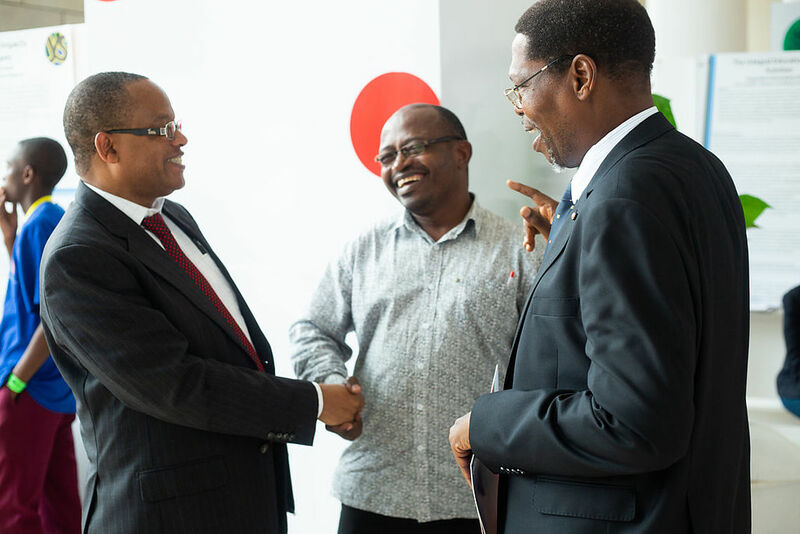 The Science Outreach Programme augments the Tanzania National five-year development plan as published by the Ministry Of Finance And Planning and the African Union, Continental Education Strategy Plan (CESA 2015-2025). 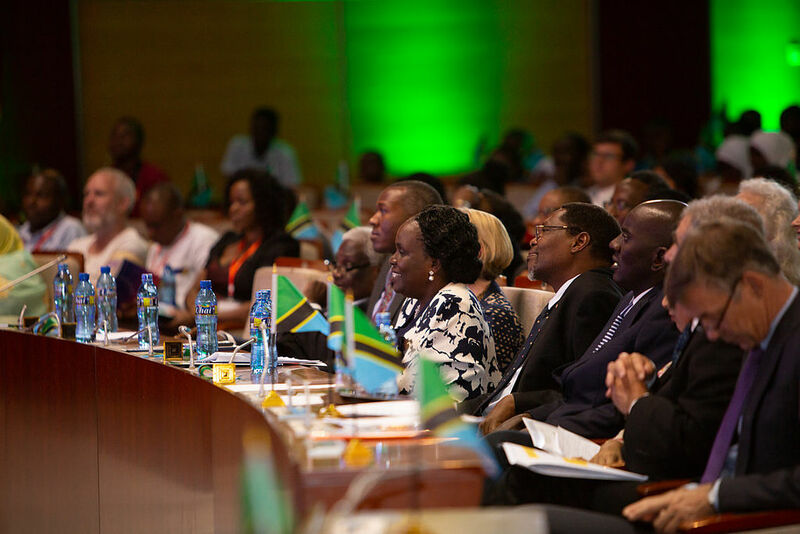 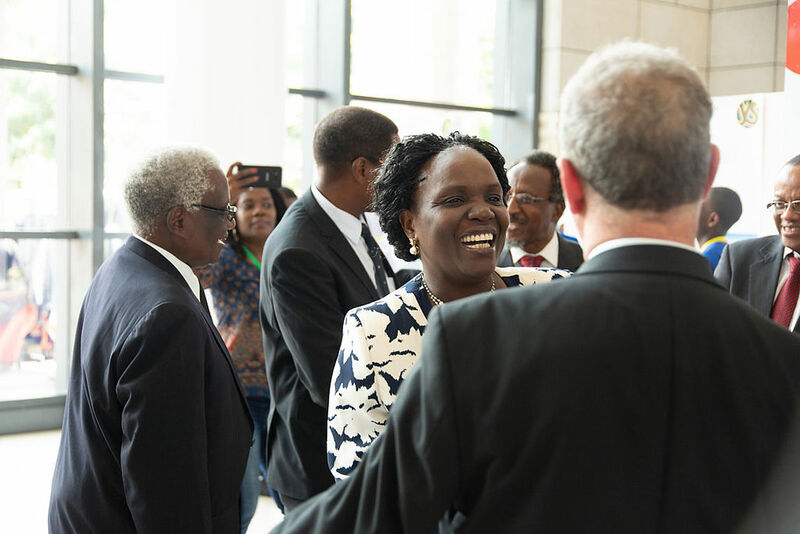 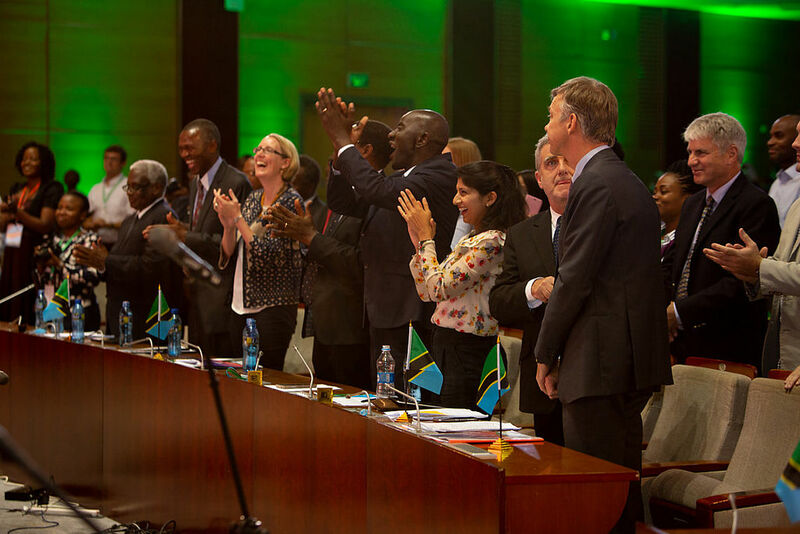 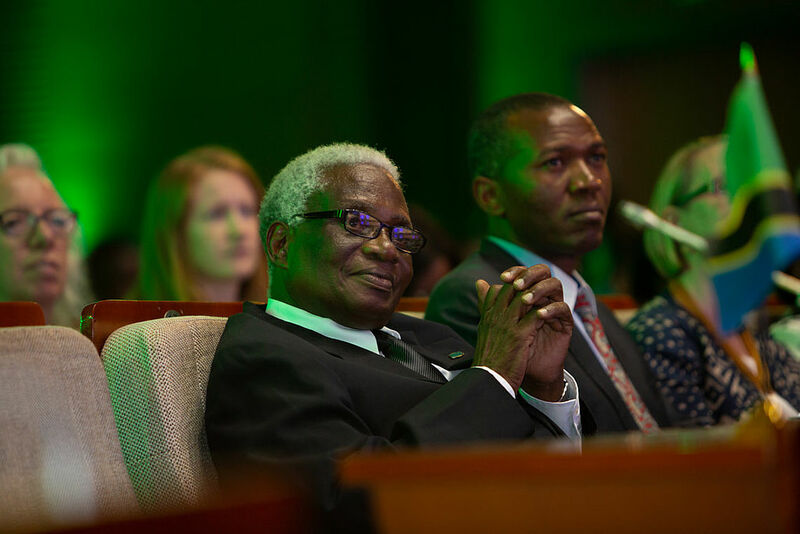 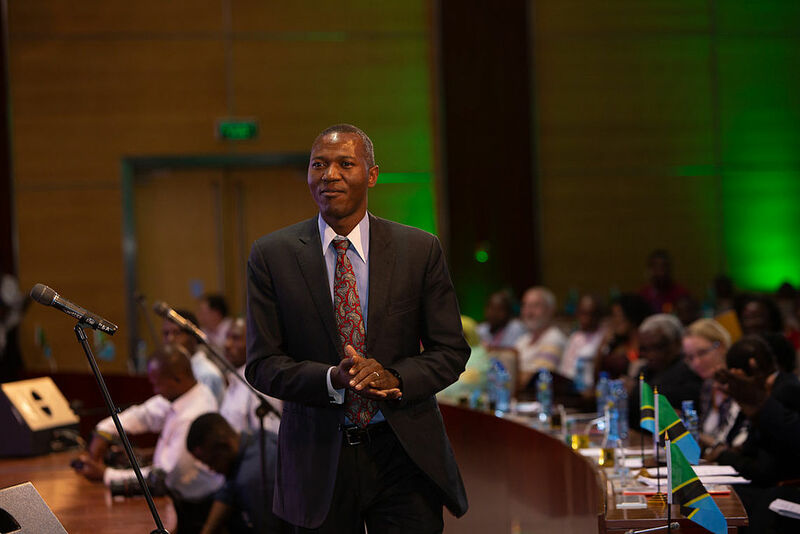 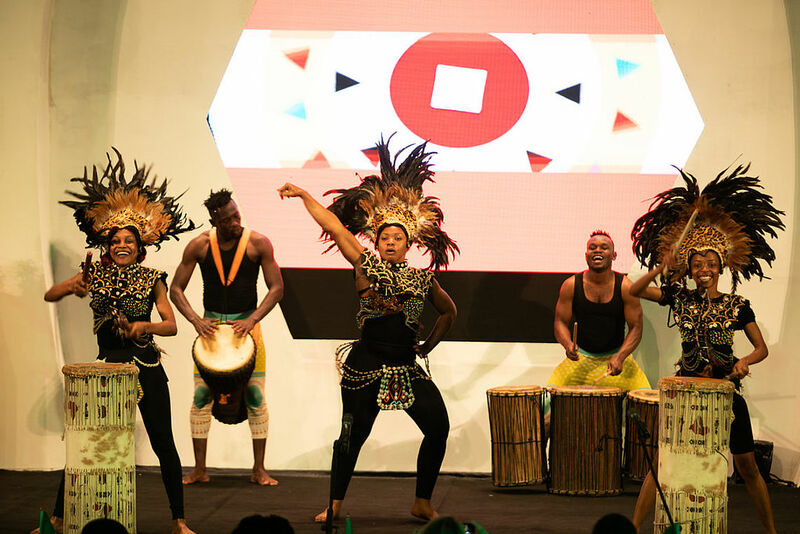 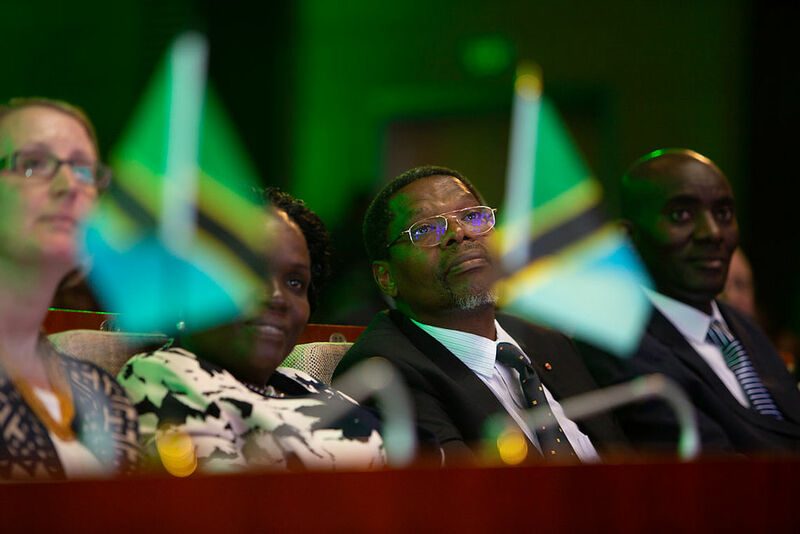 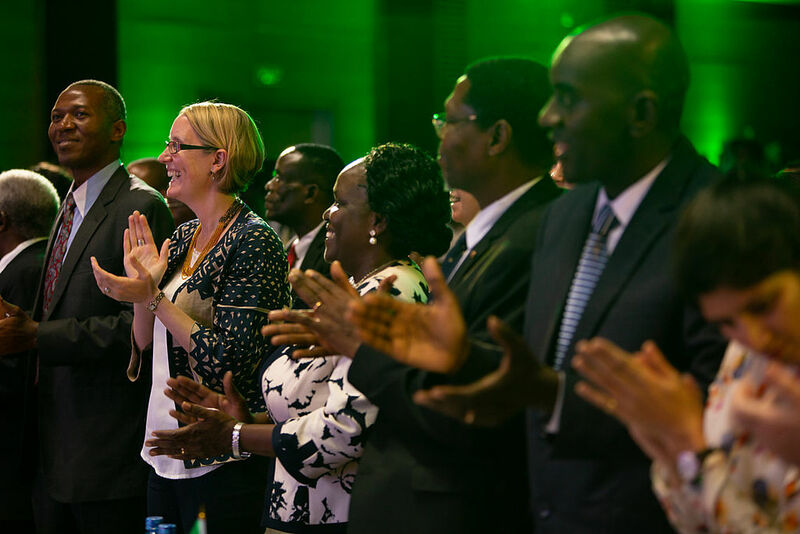 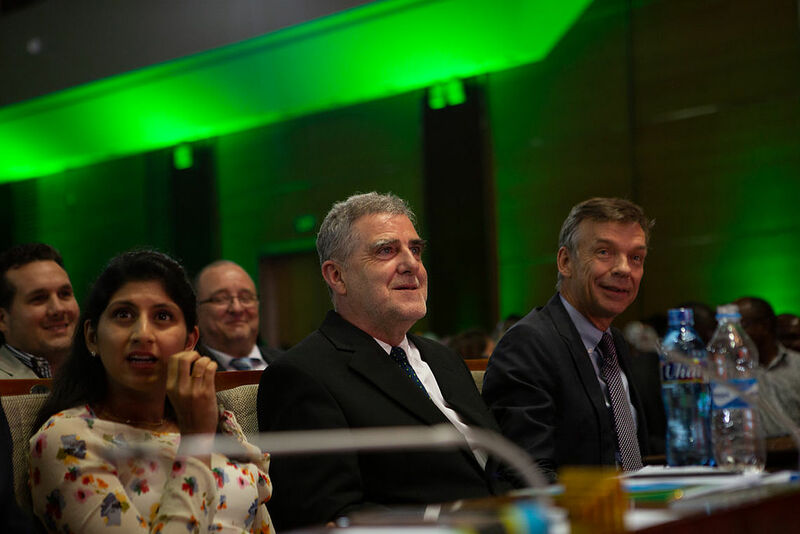 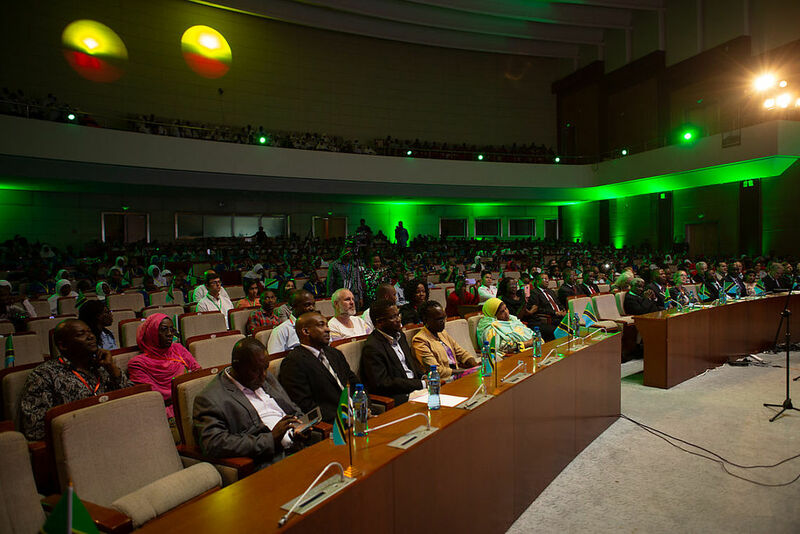 CESA 2015-2025, strategic objectives is to fully reorient African education and training systems towards the achievement of the African Union’s vision and Agenda 2063. 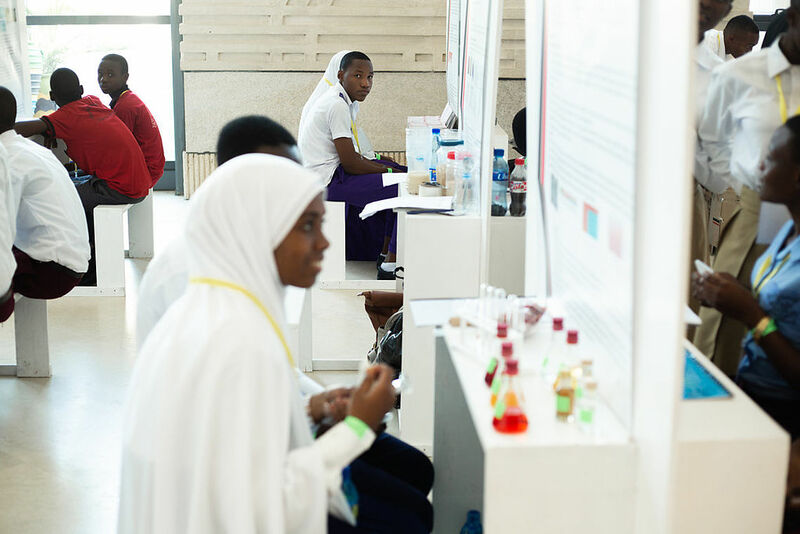 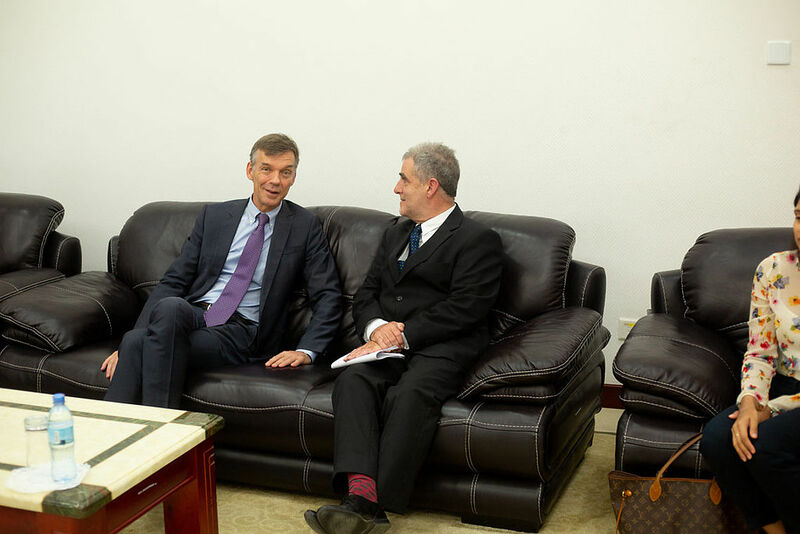 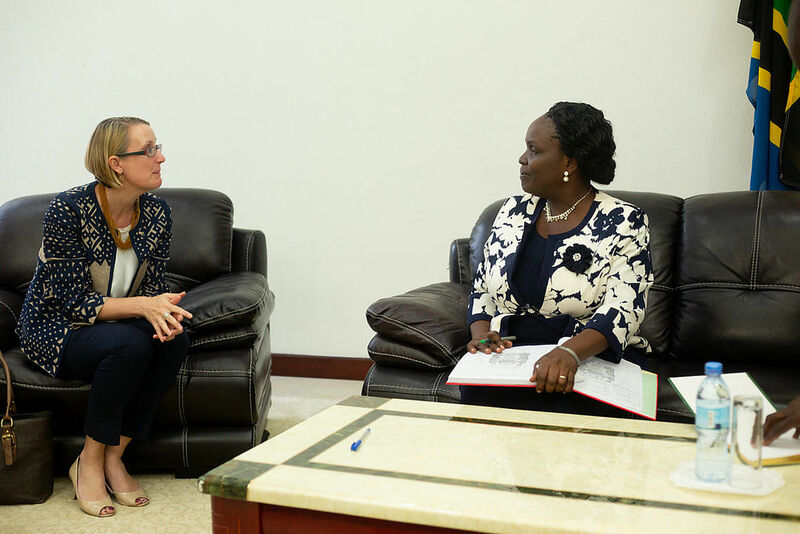 It plans to achieve this by strengthening the science and math curricula in youth training and by disseminating scientific knowledge and culture in society. 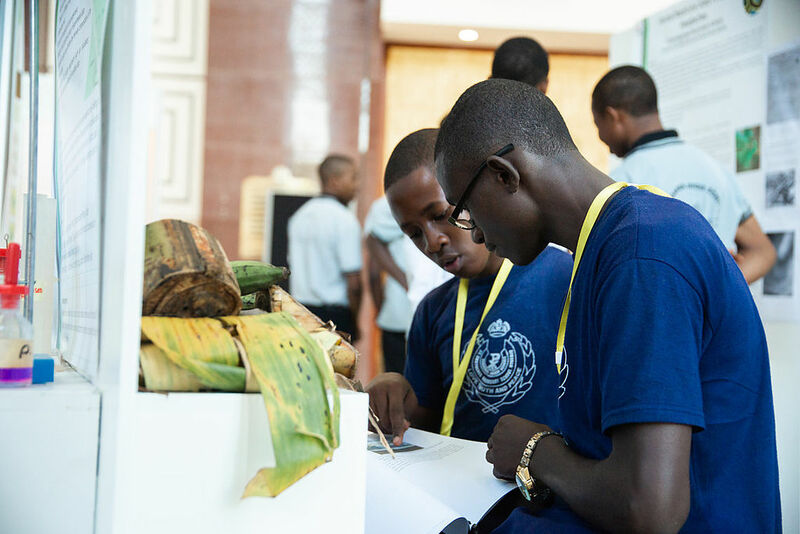 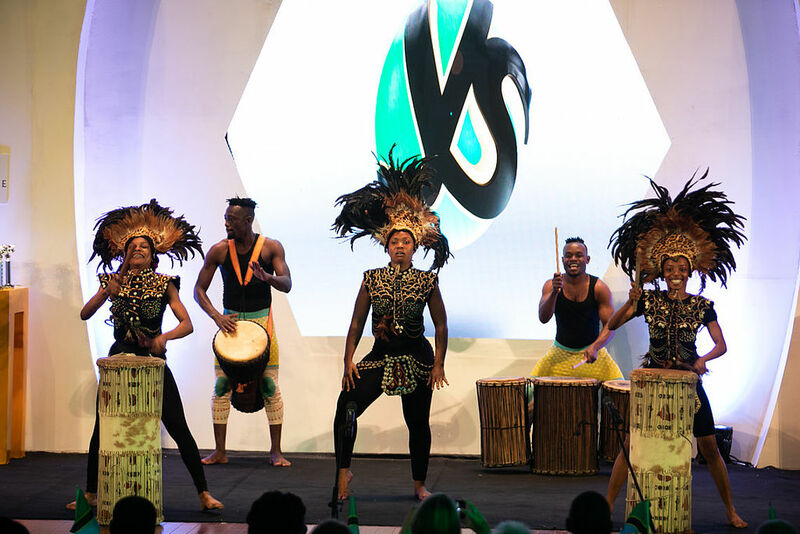 h) Promoting indigenous scientific knowledge and culture. 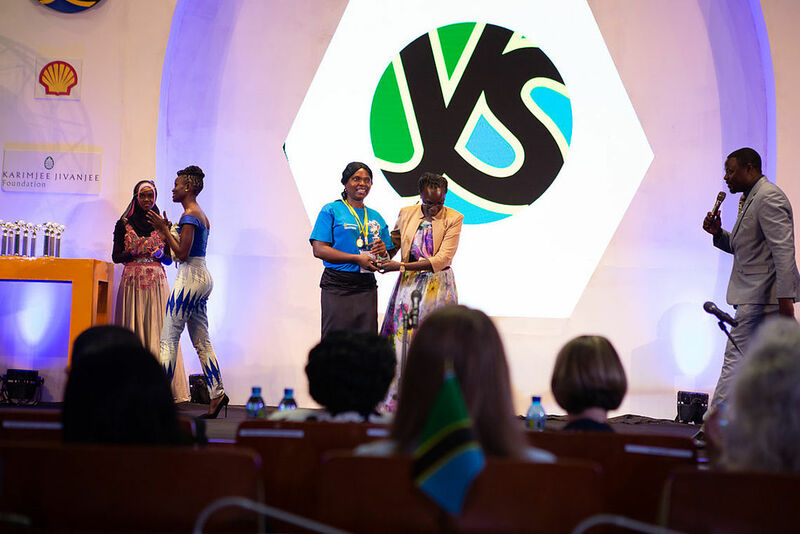 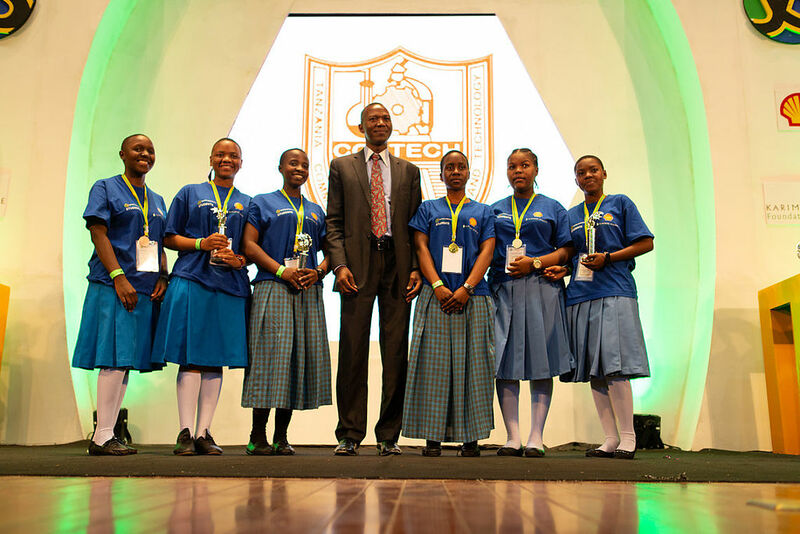 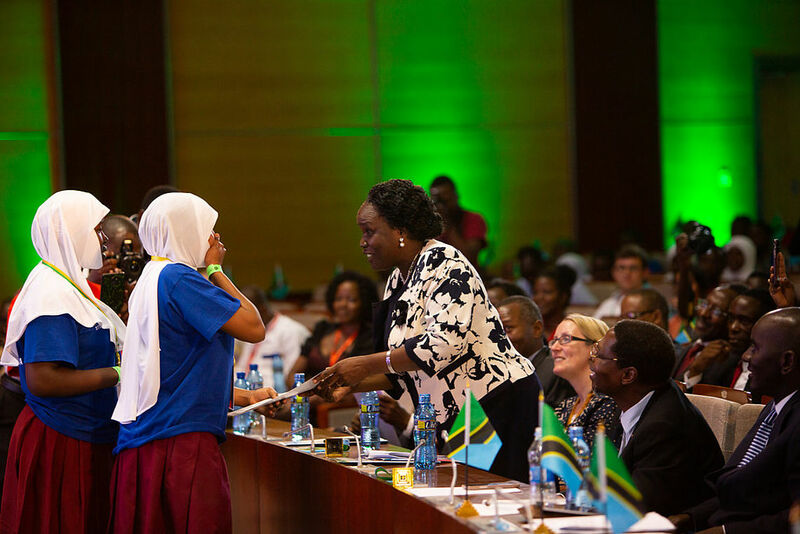 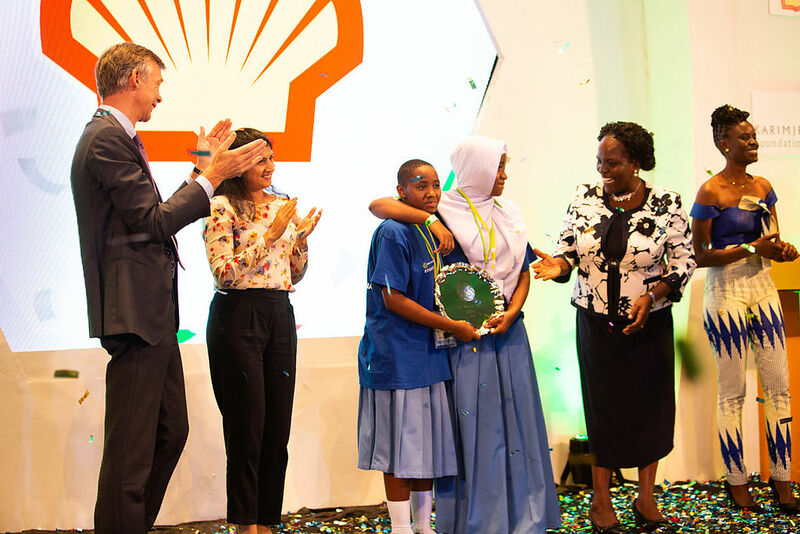 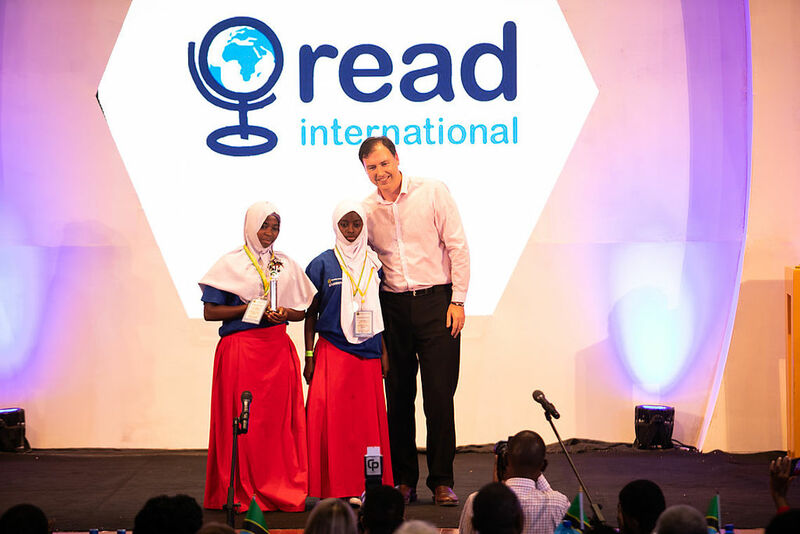 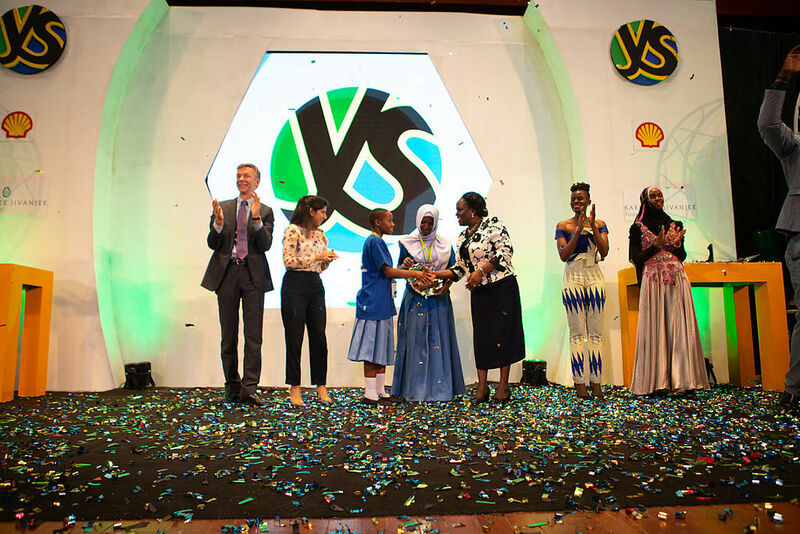 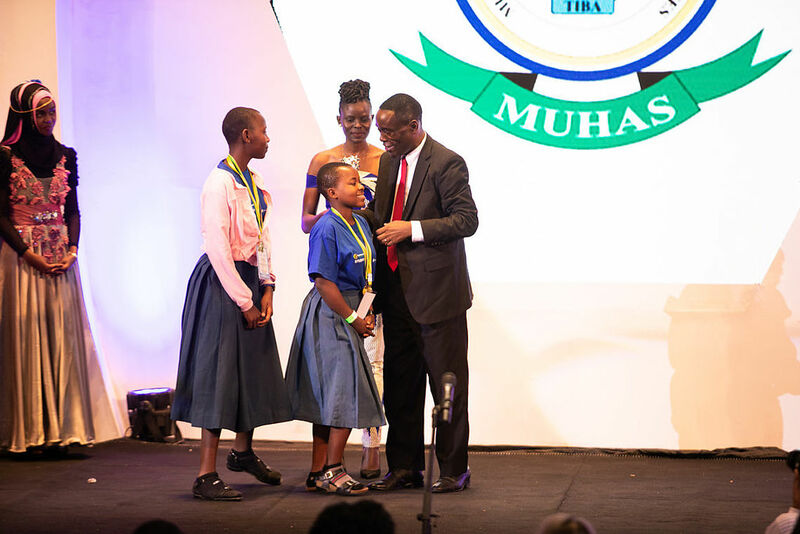 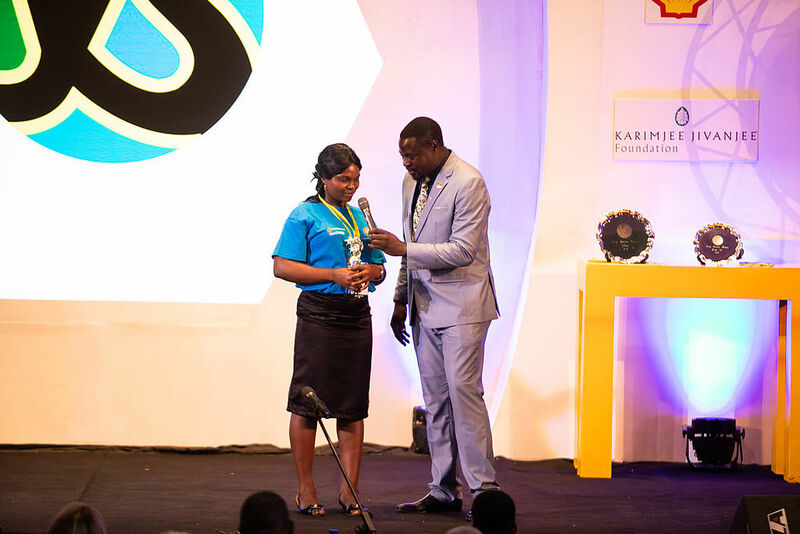 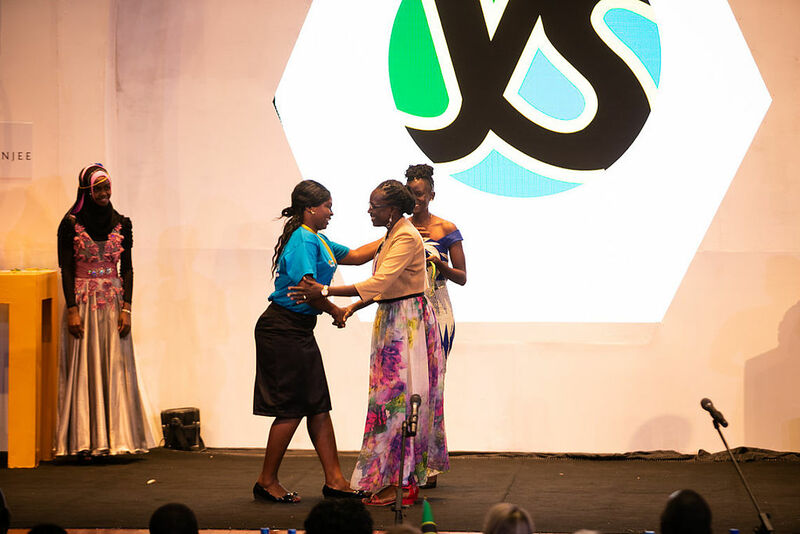 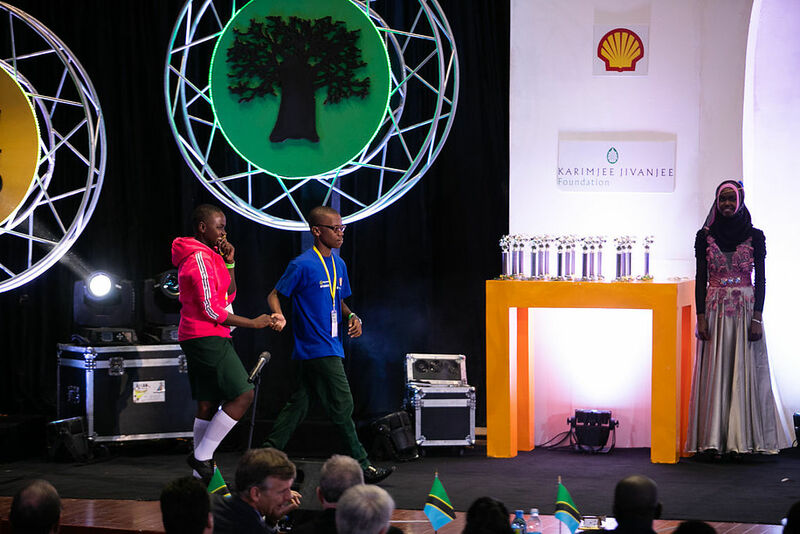 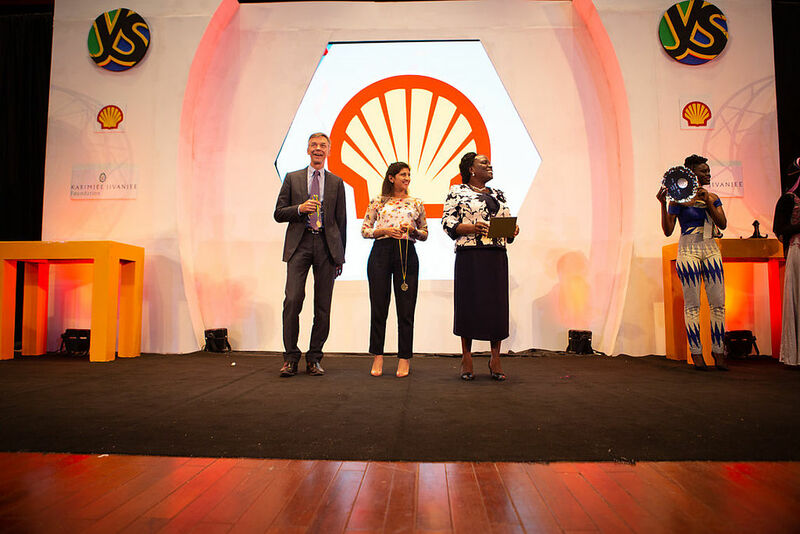 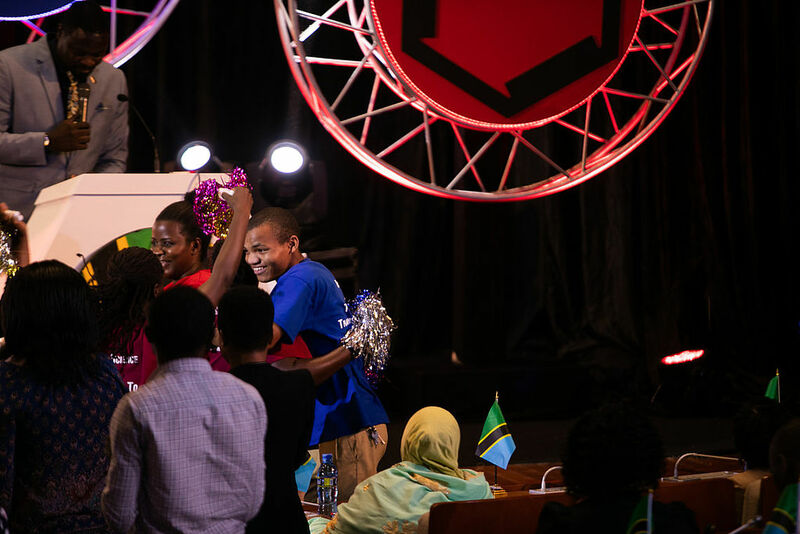 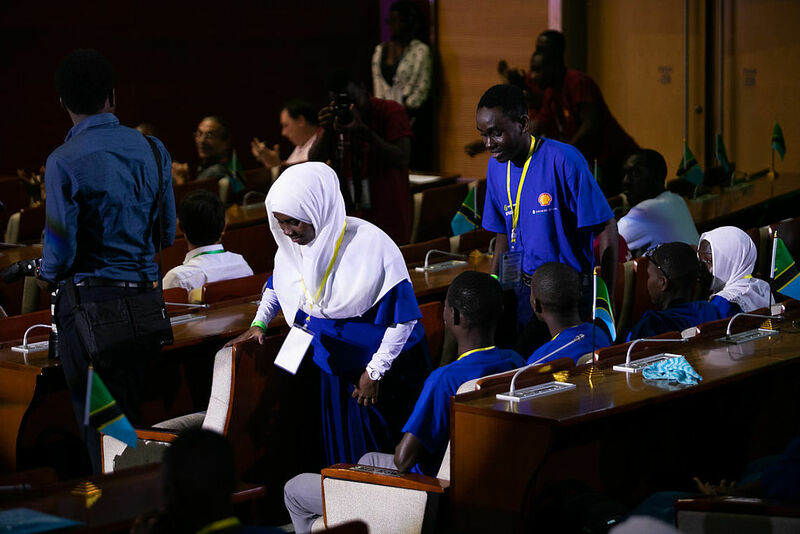 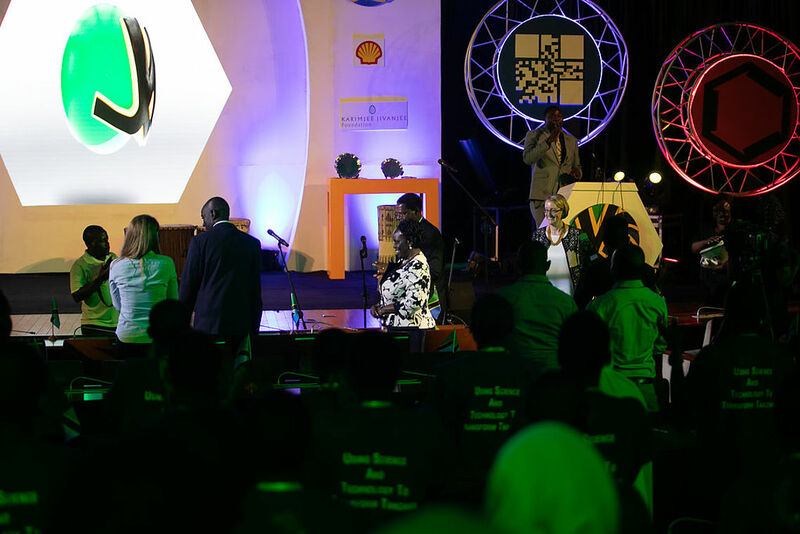 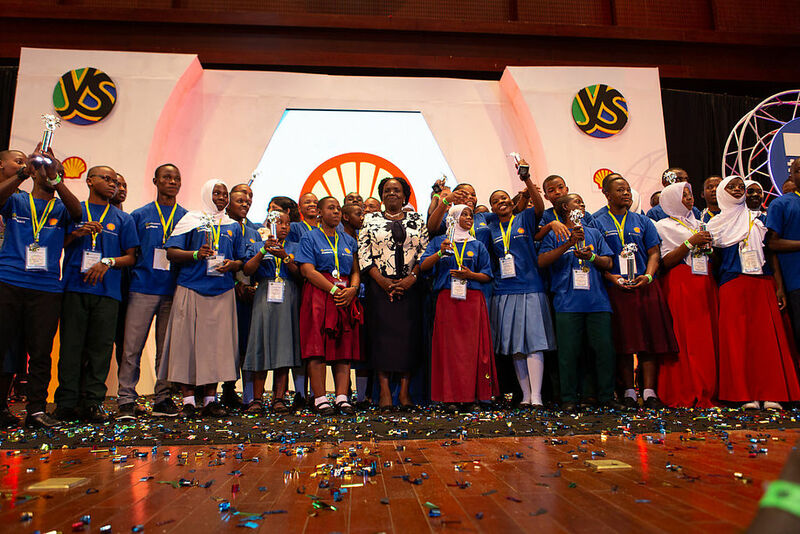 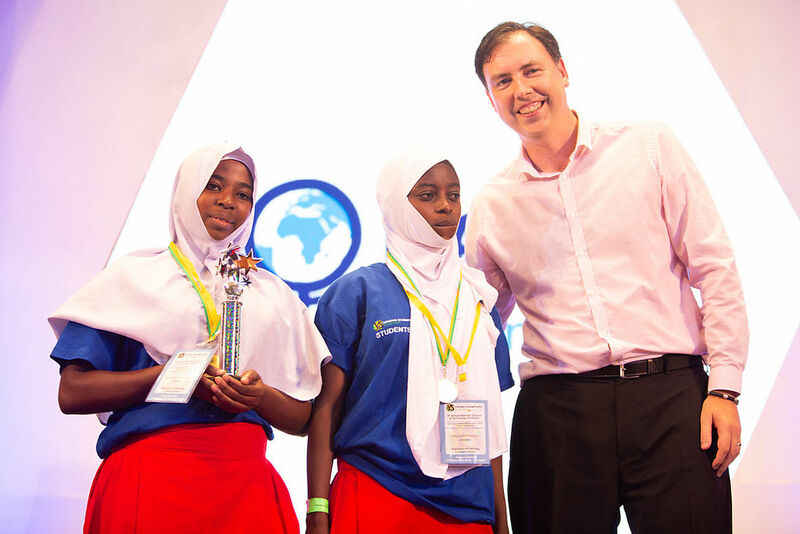 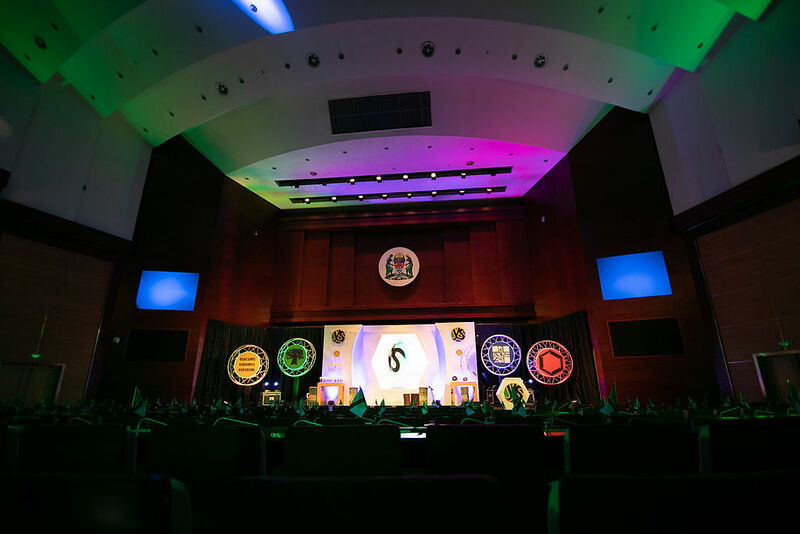 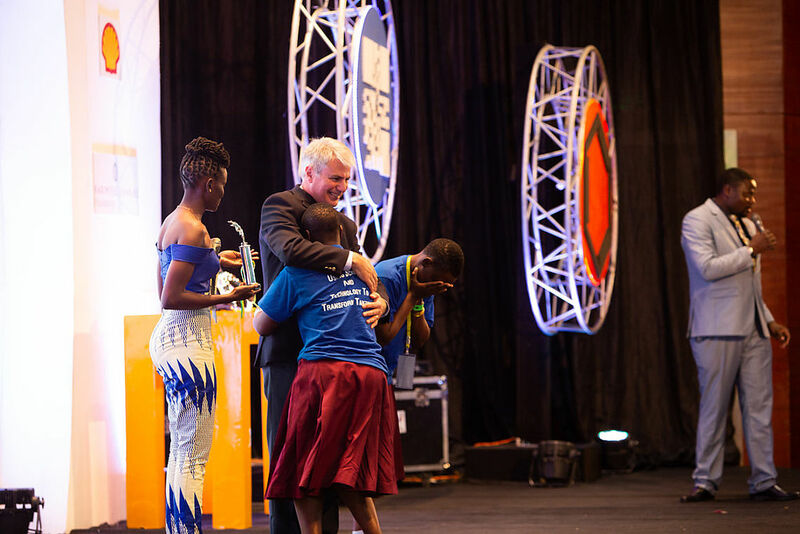 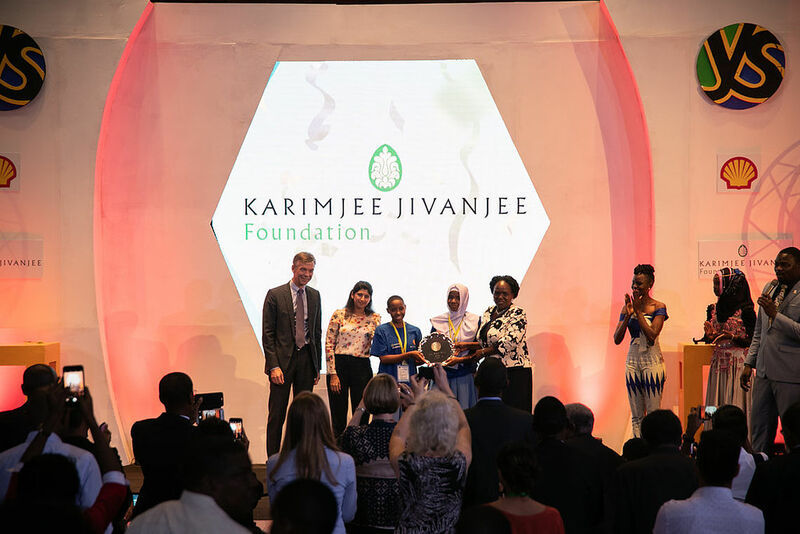 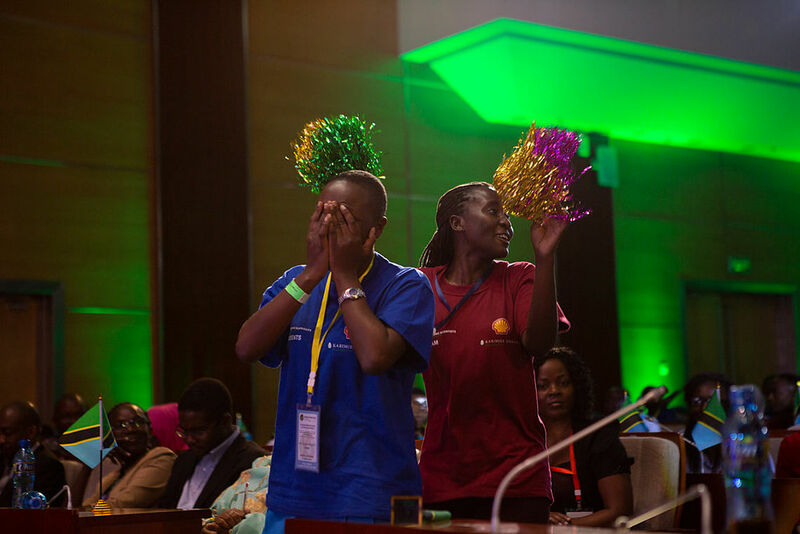 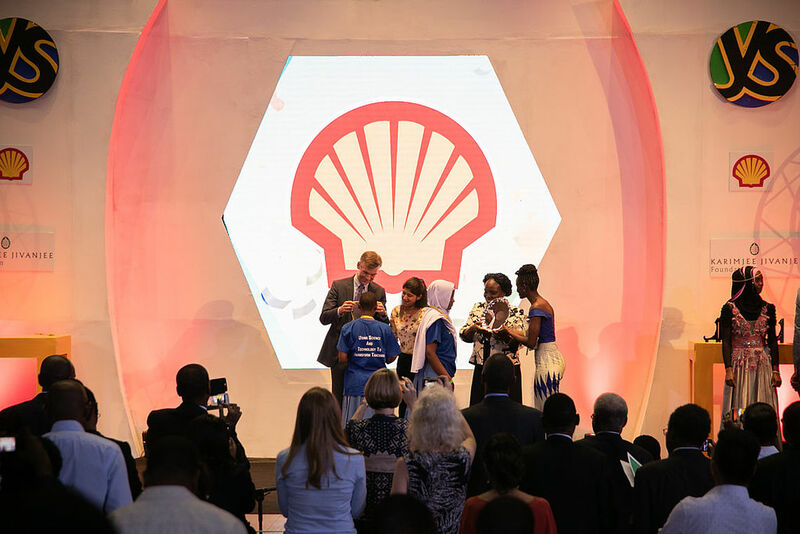 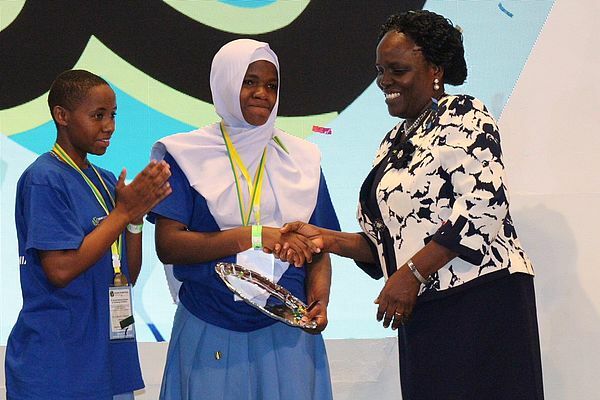 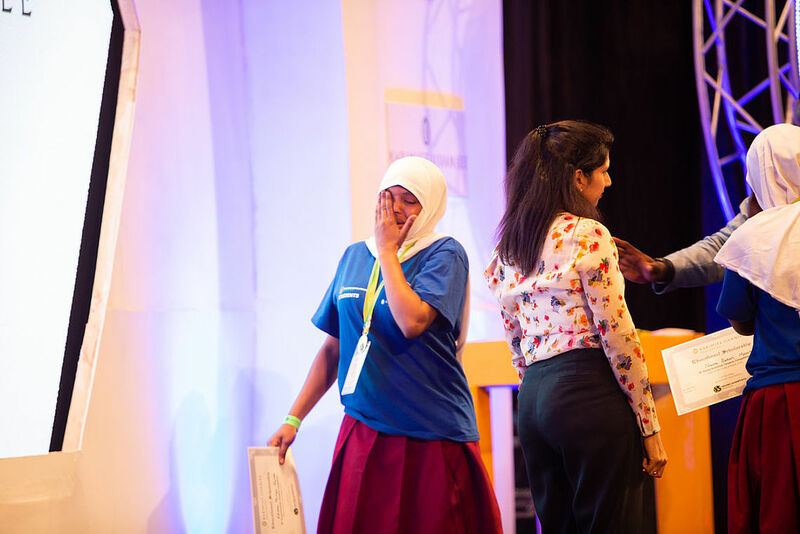 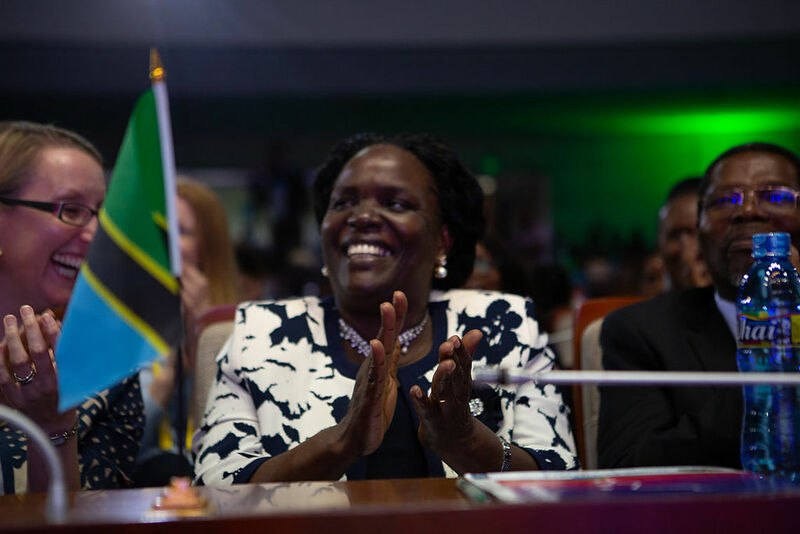 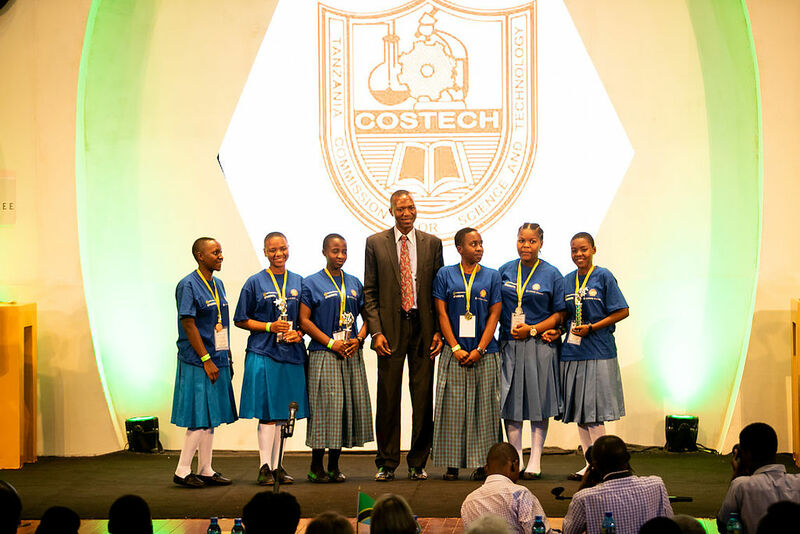 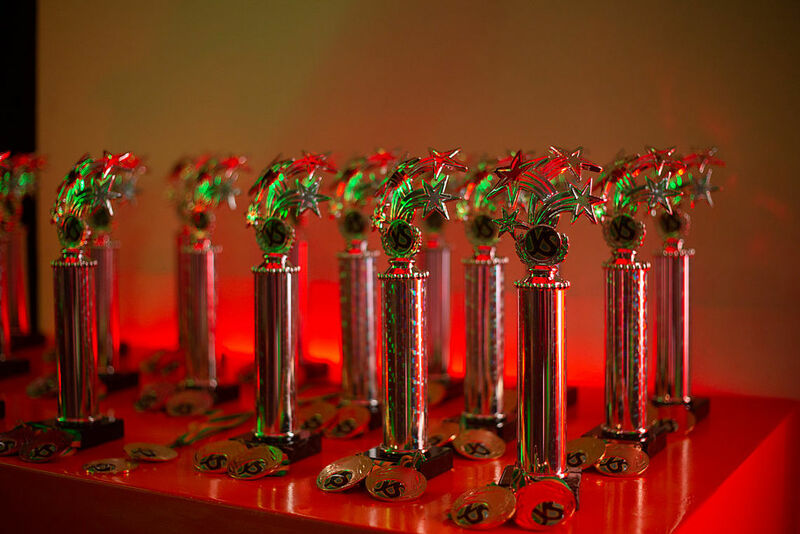 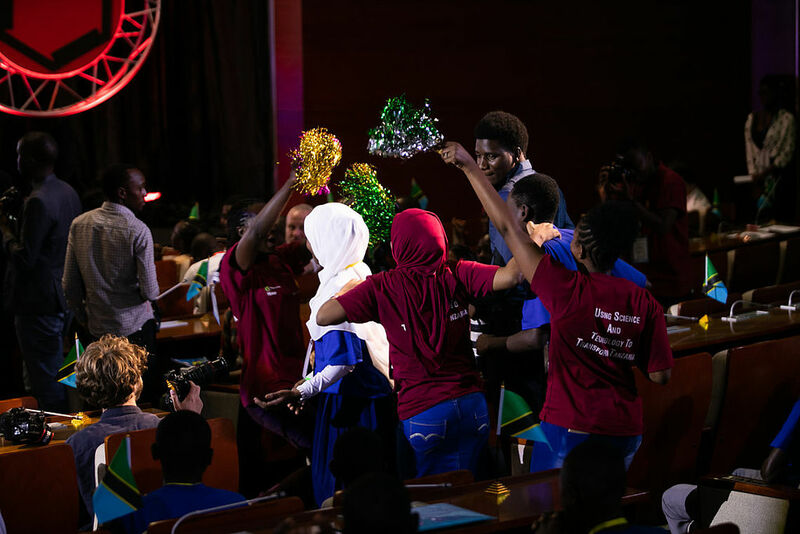 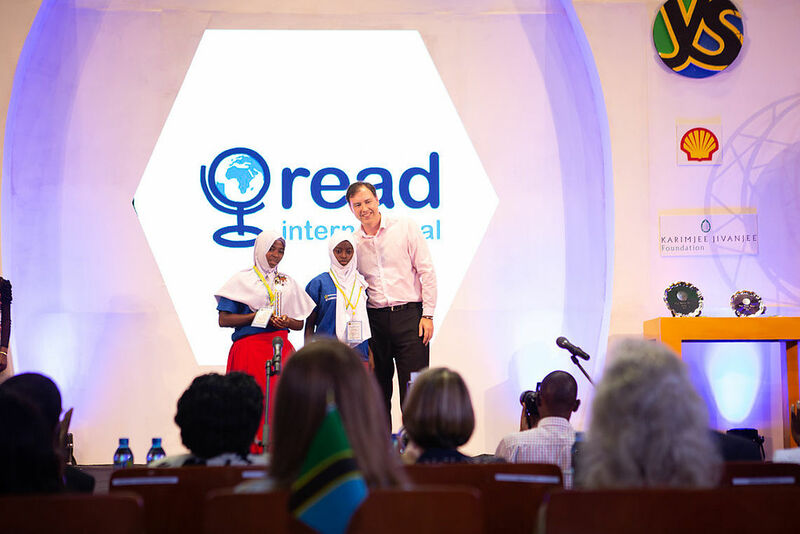 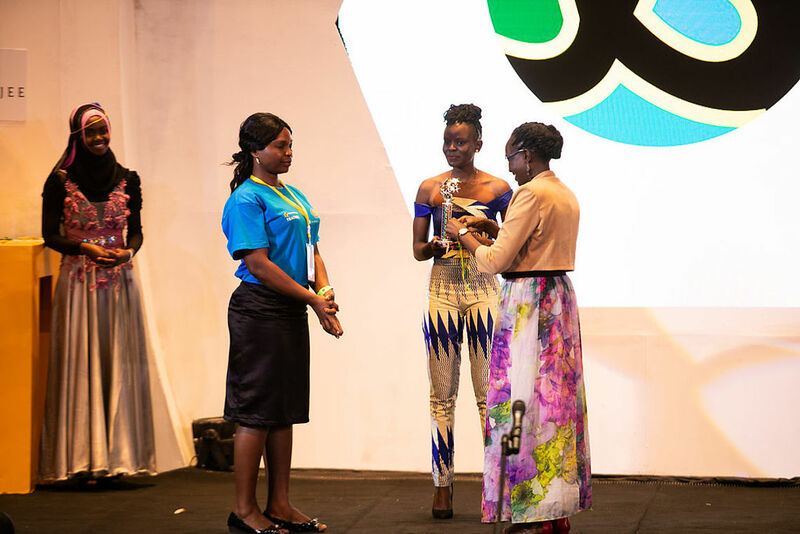 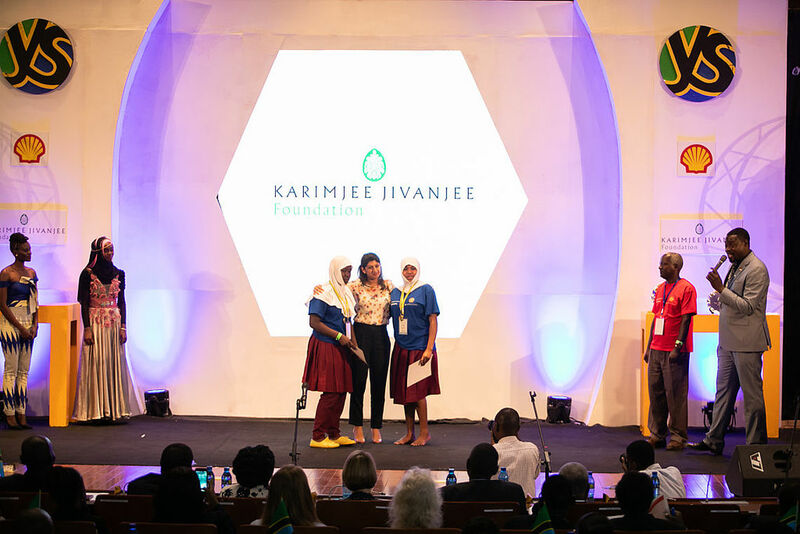 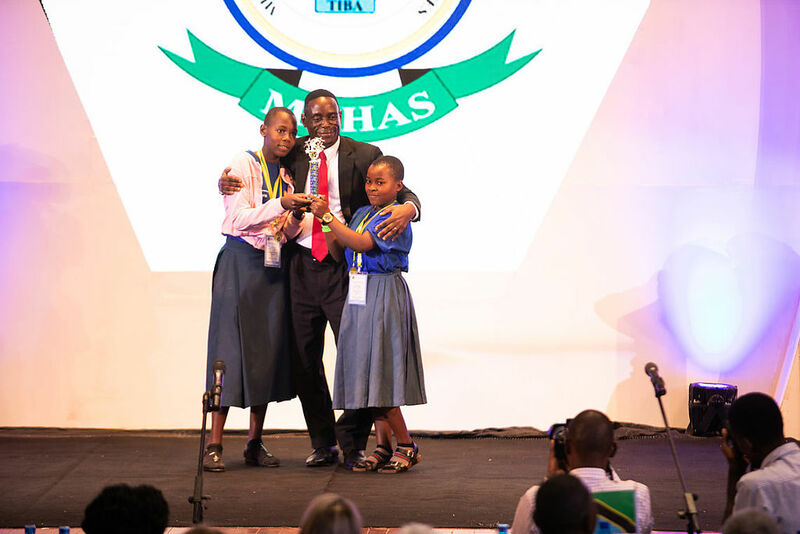 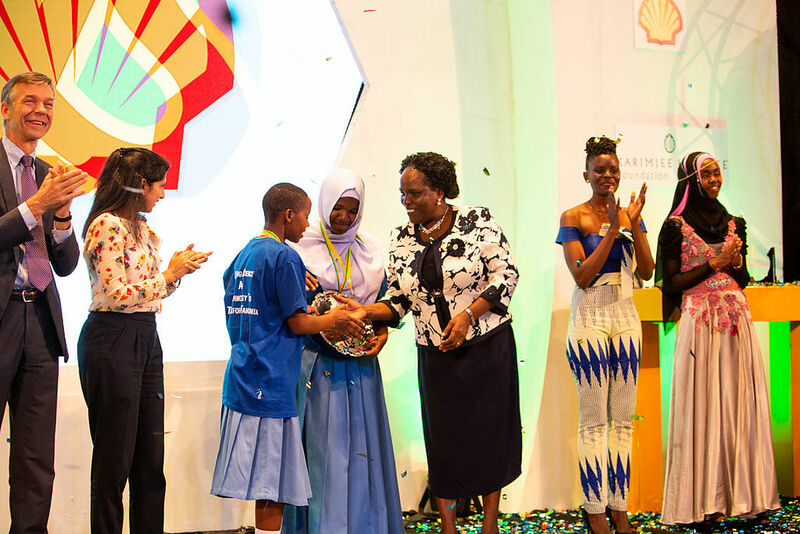 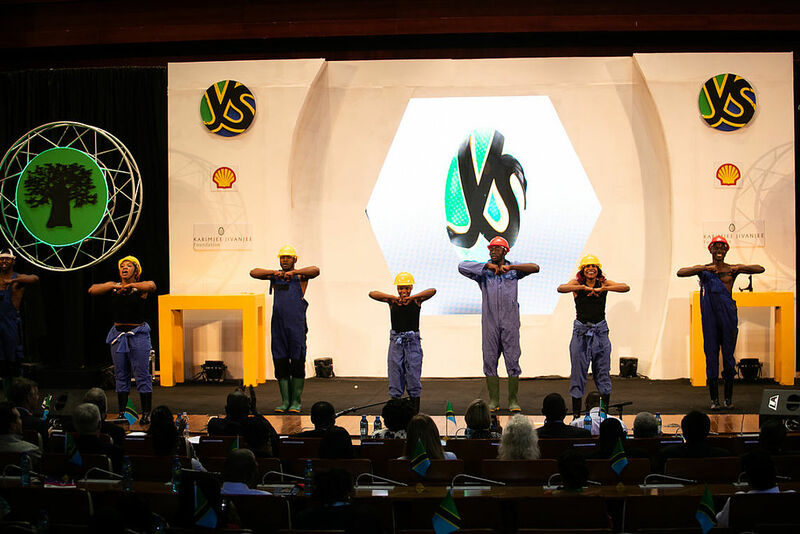 Farida Kwingwa Mnyazi and Wilhelmina Martin Msoma from Msalato Girls Secondary School in Dodoma emerged as the overall winners of YST 2018. 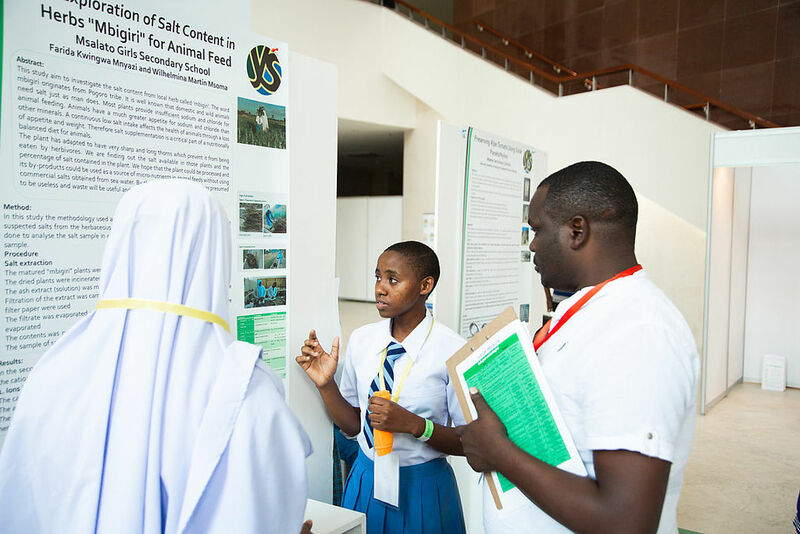 Their project was titles "An Exploration of Salt Content In the herb ''Mbigiri'' Suitable as Animal Feed"
Science Teachers outreach in Lindi by Millandu Kinyonga on 21/02/2019 for Lindi and Mtwara regions. 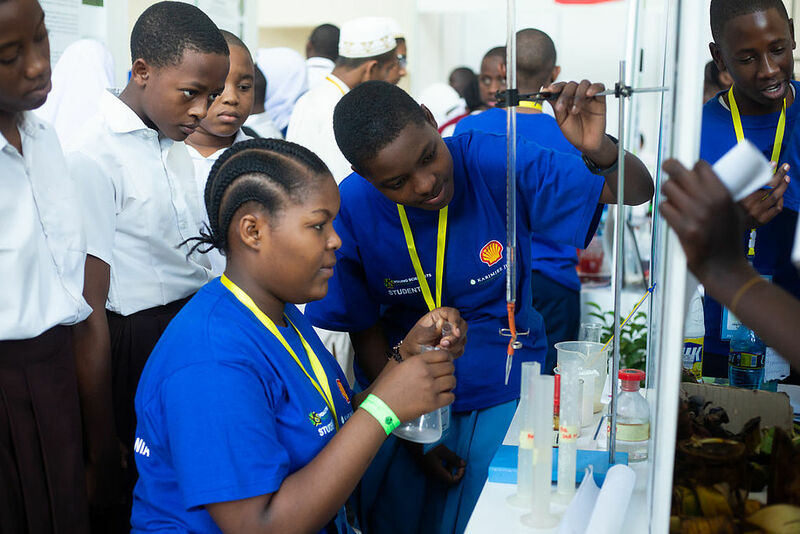 Science Teachers outreach from Arusha, Manyara and Kilimanjaro regions on 21/02/2019 in Arusha by Joseph Clowry. 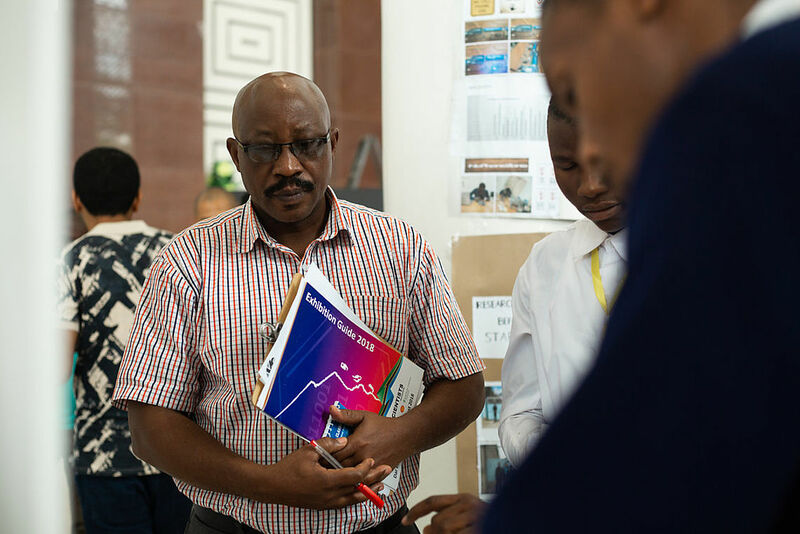 Science Teachers Outreach in Mbeya on 18 February 2019 for Mbeya, Rukwa, Ruvuma and Katavi regions by Joseph Clowy. 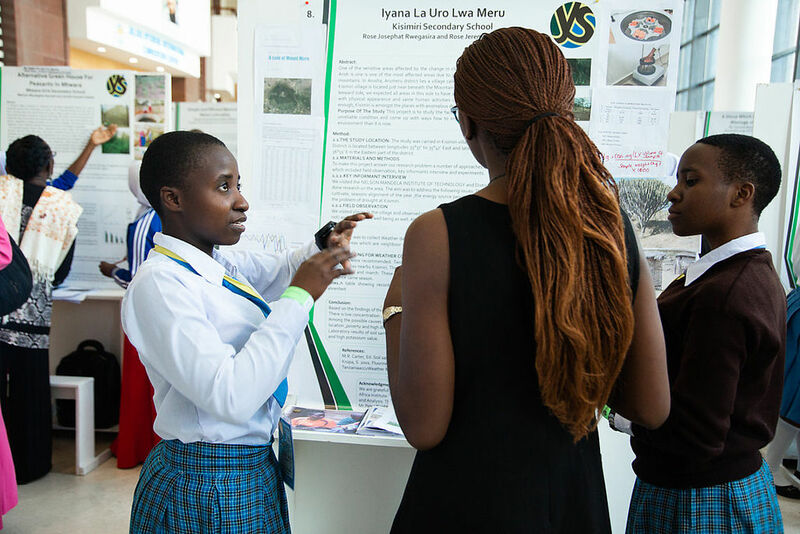 Young Scientists Tanzania would like to acknowledge the support and advice of the YSTE Ireland Limited and NYSA Limited.